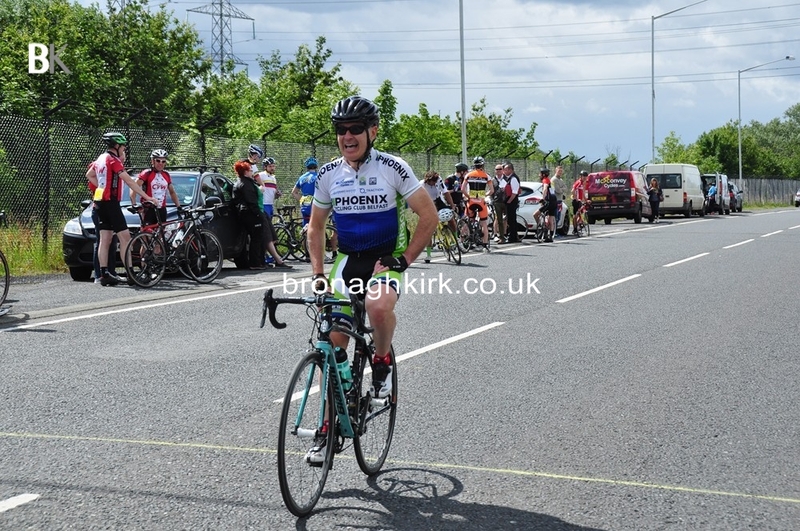 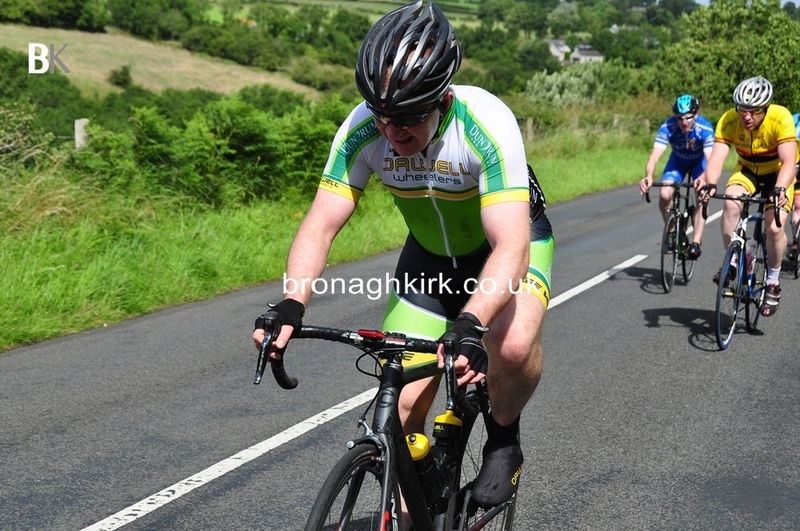 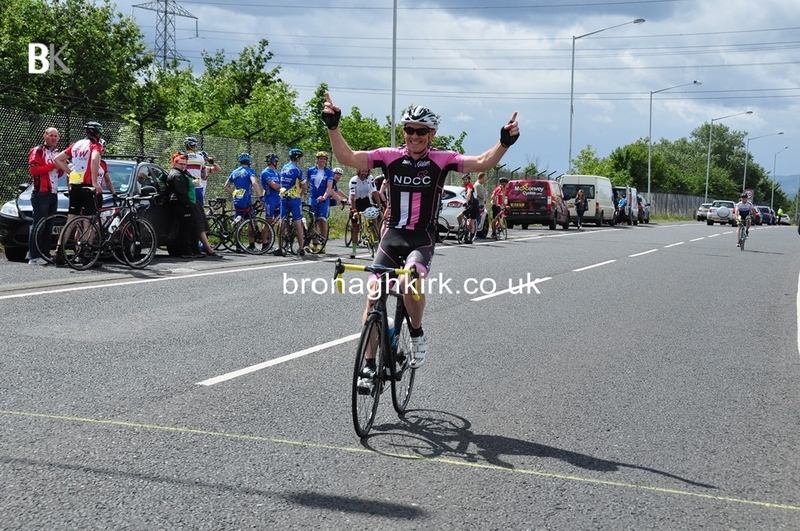 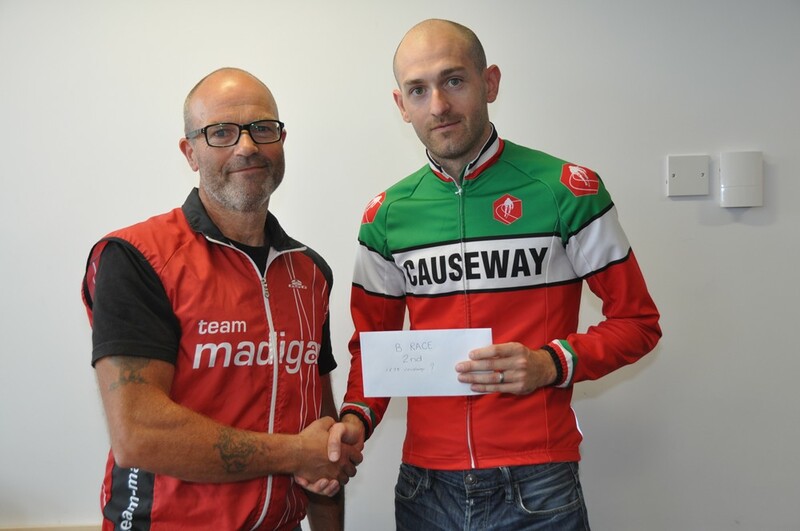 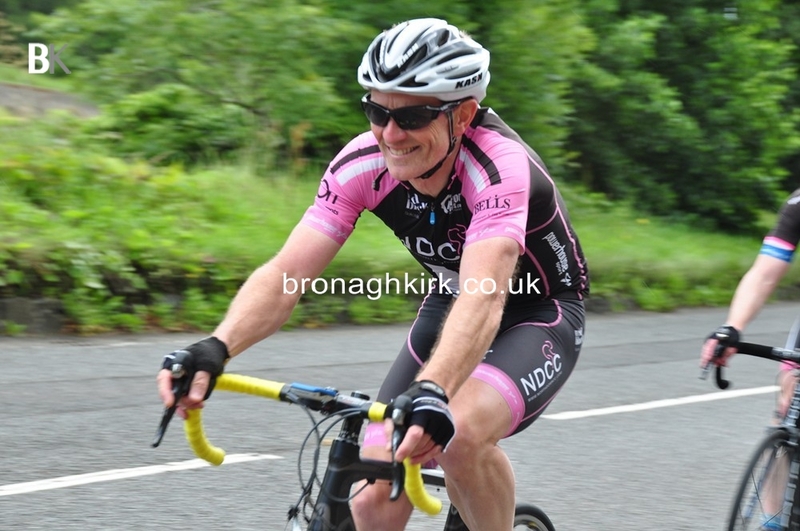 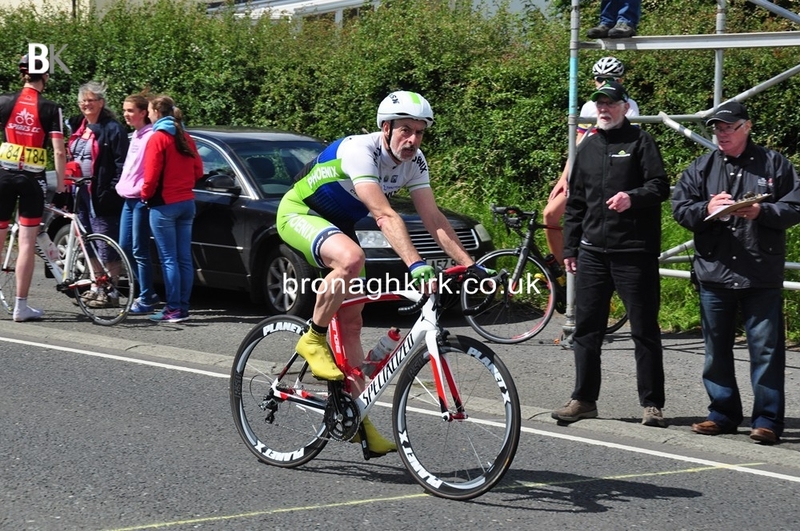 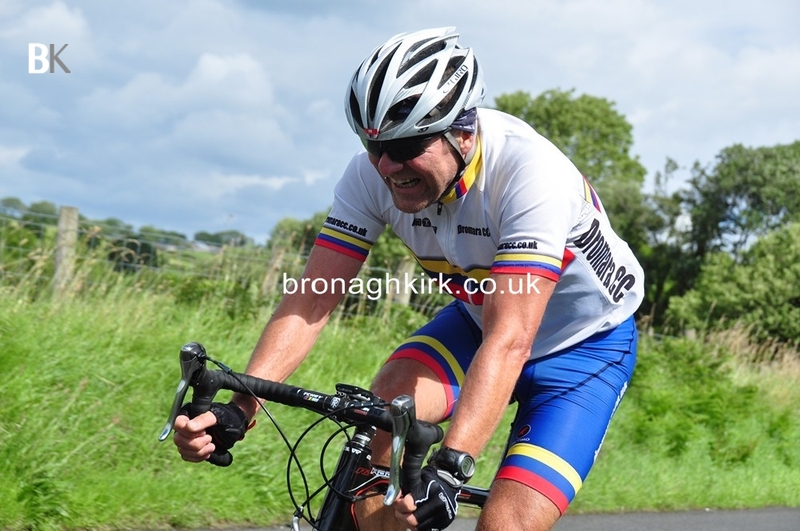 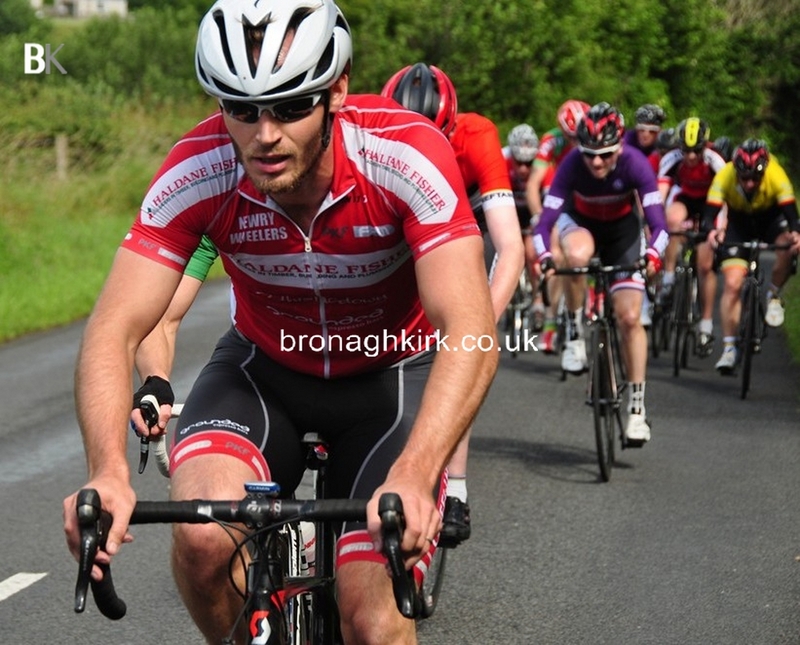 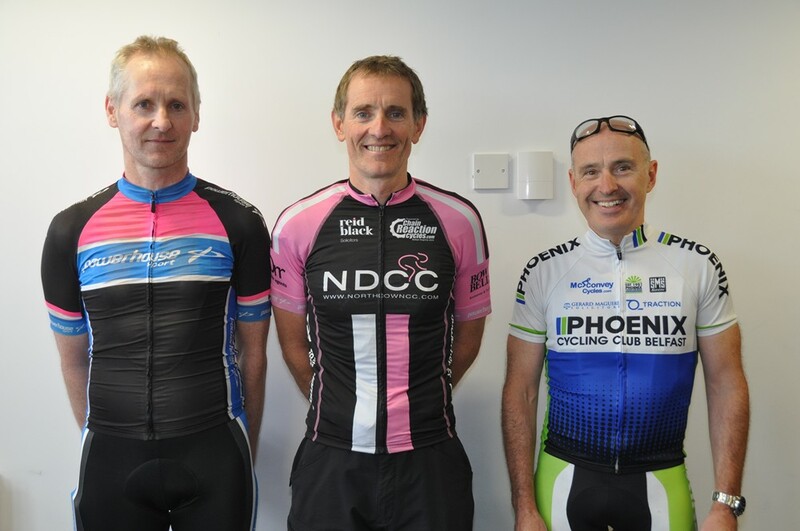 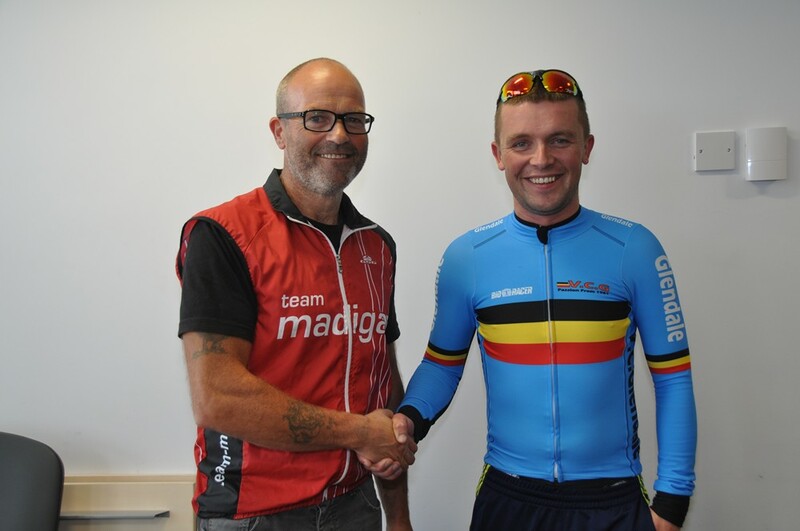 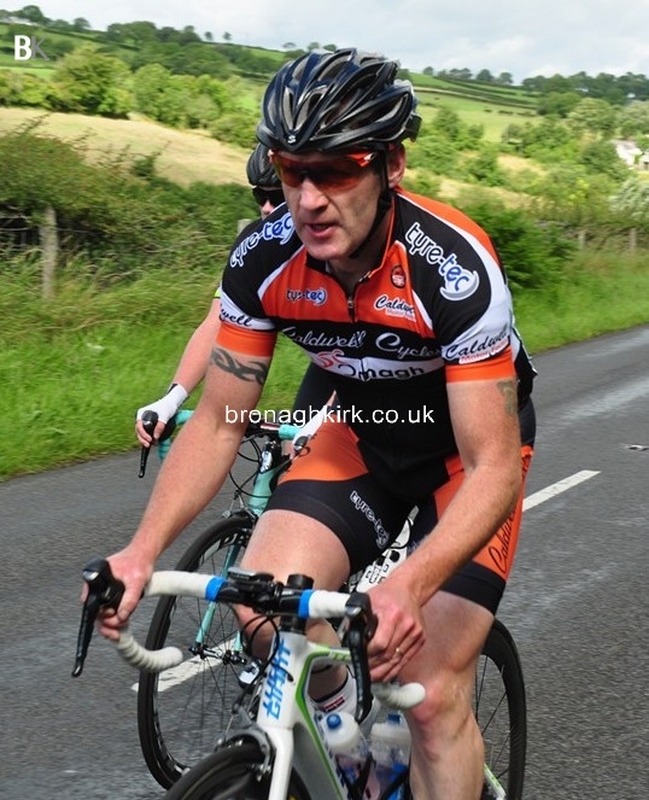 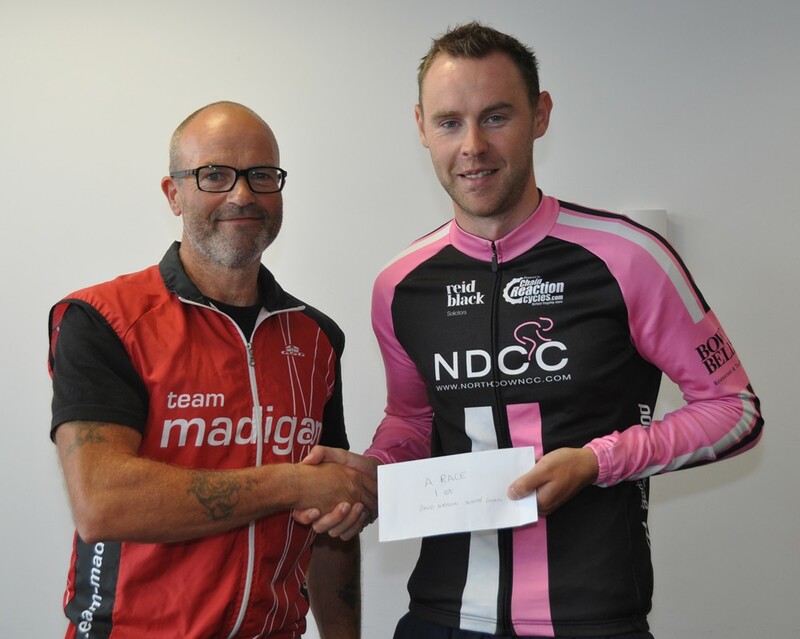 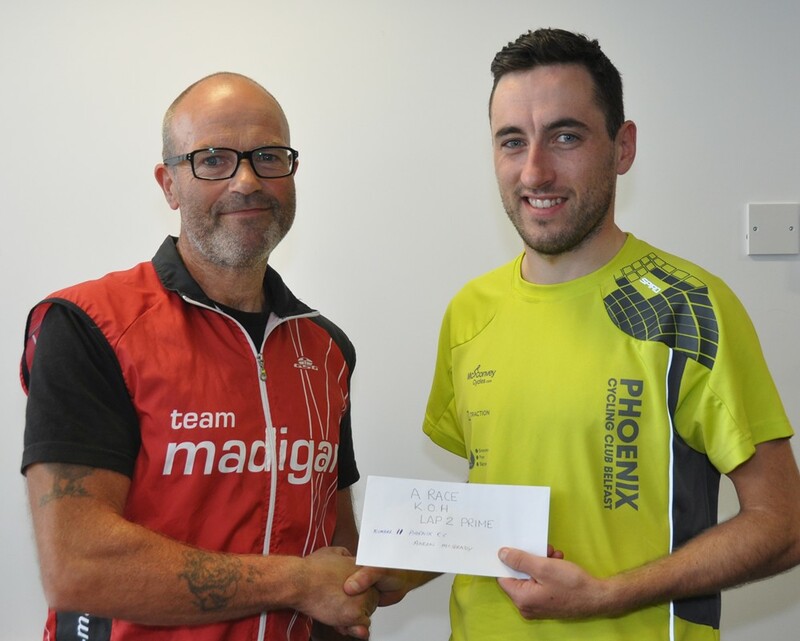 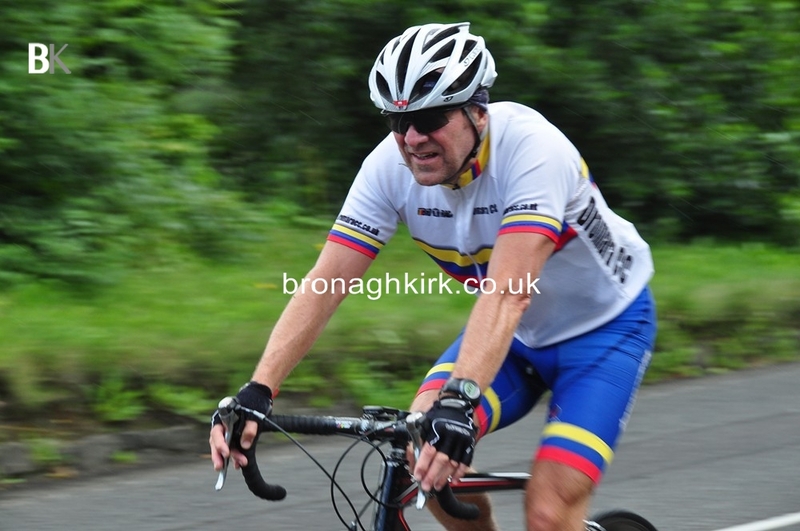 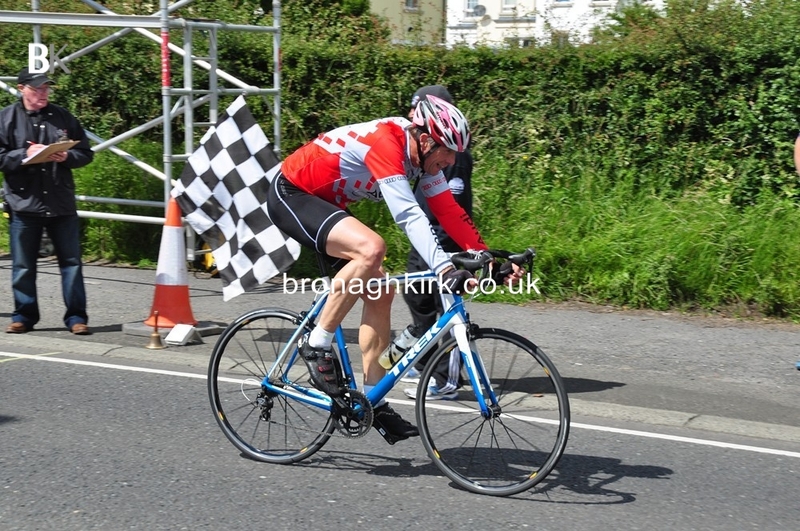 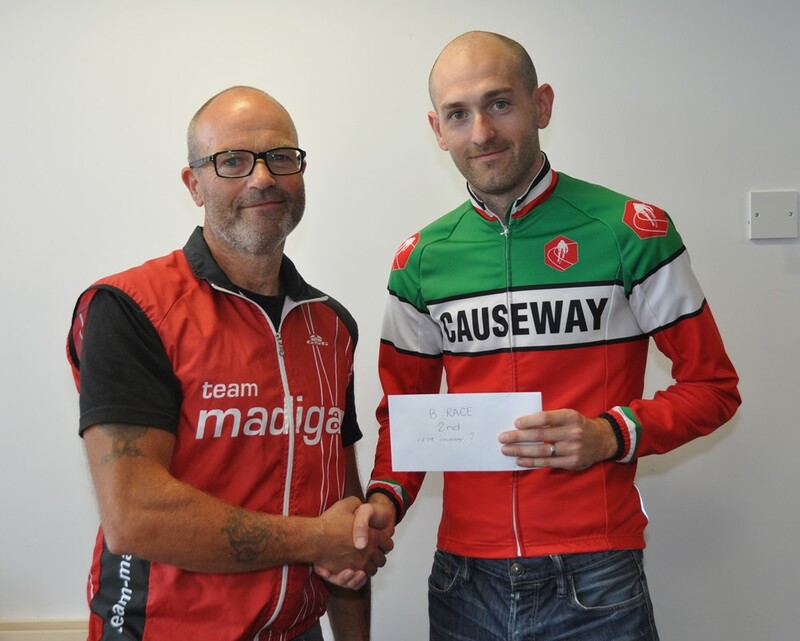 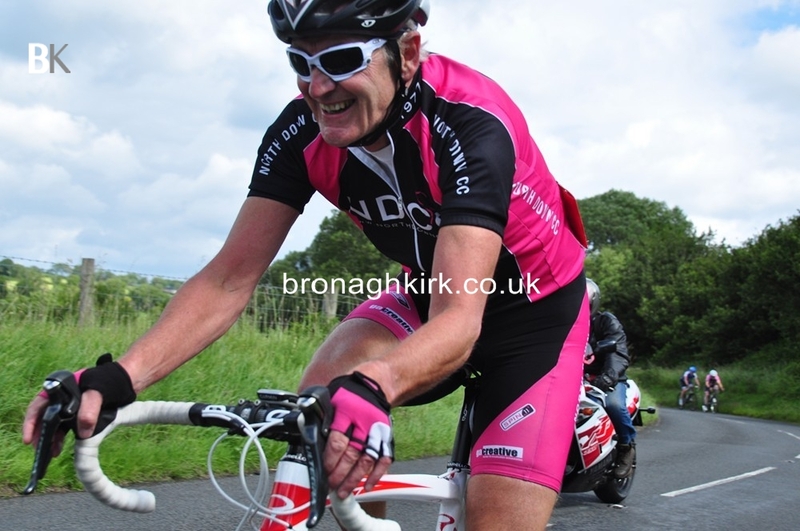 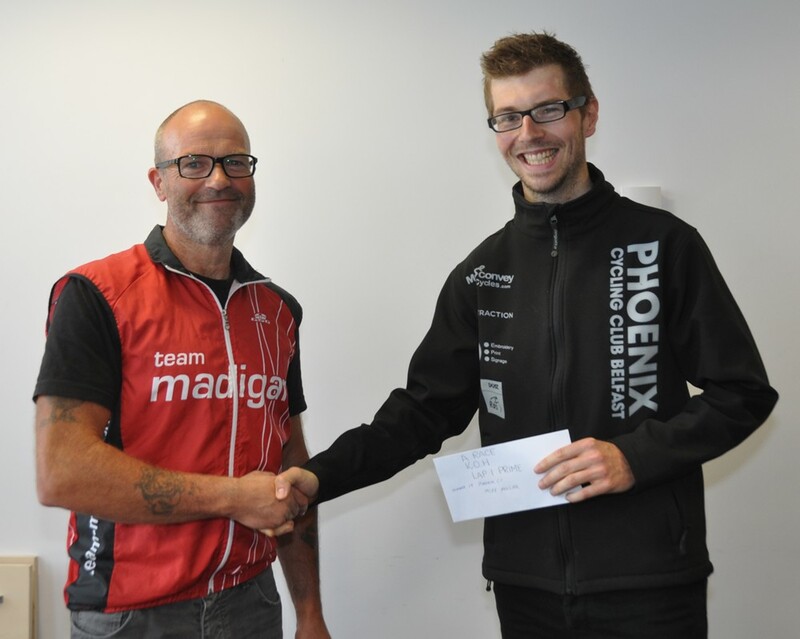 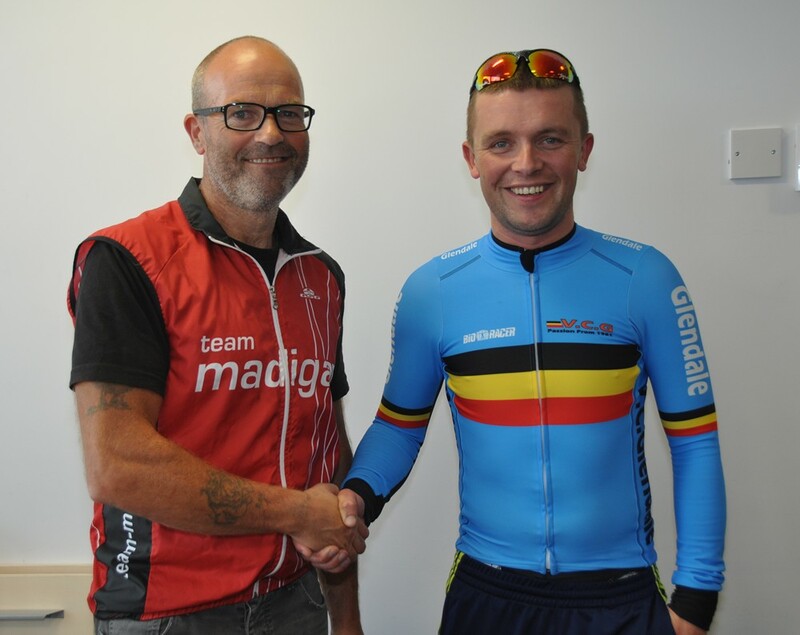 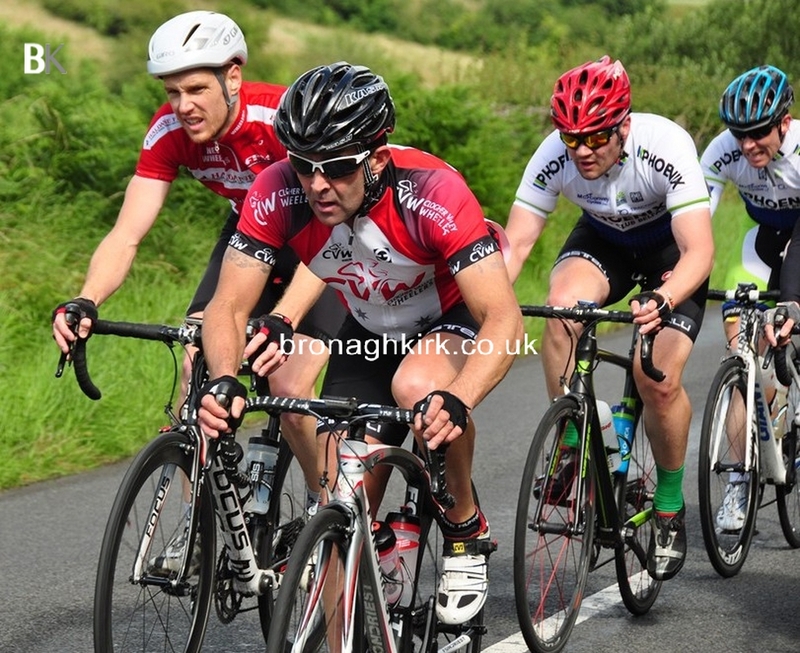 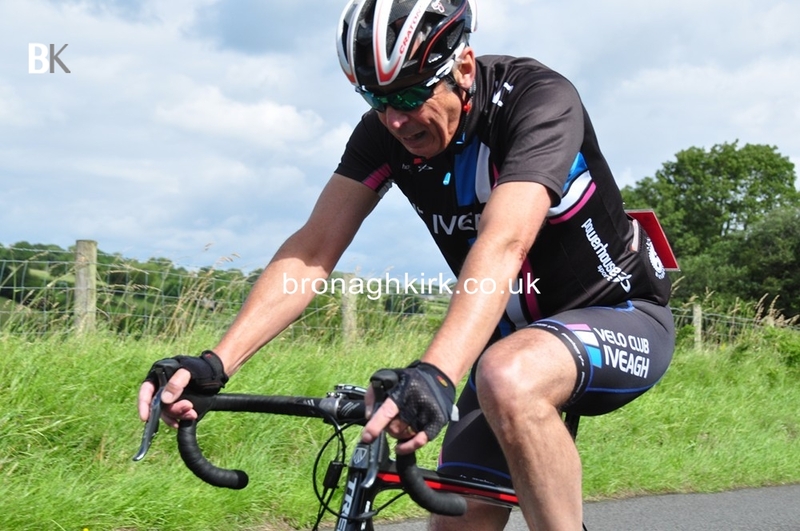 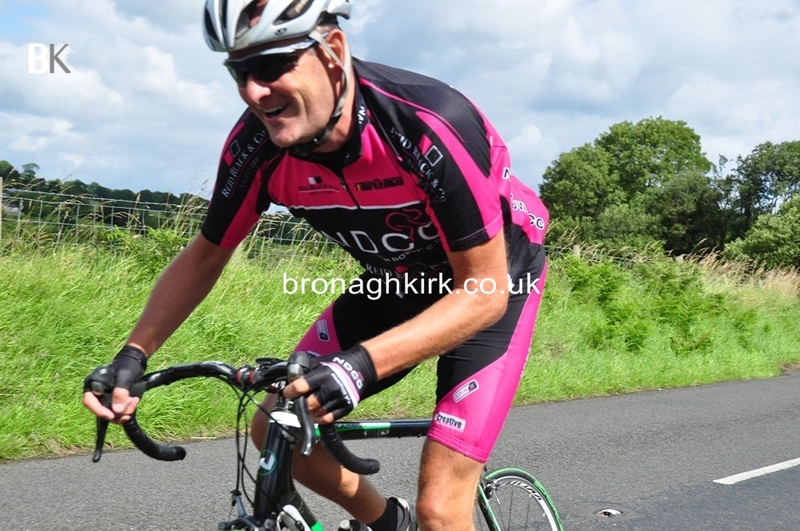 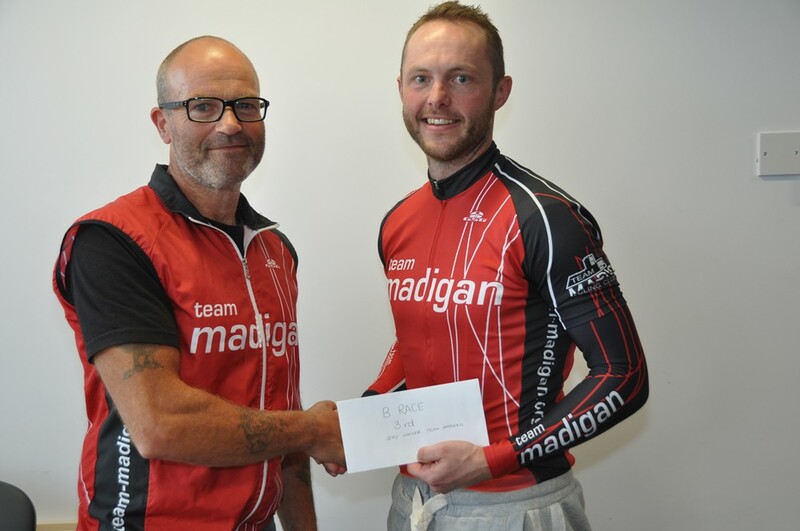 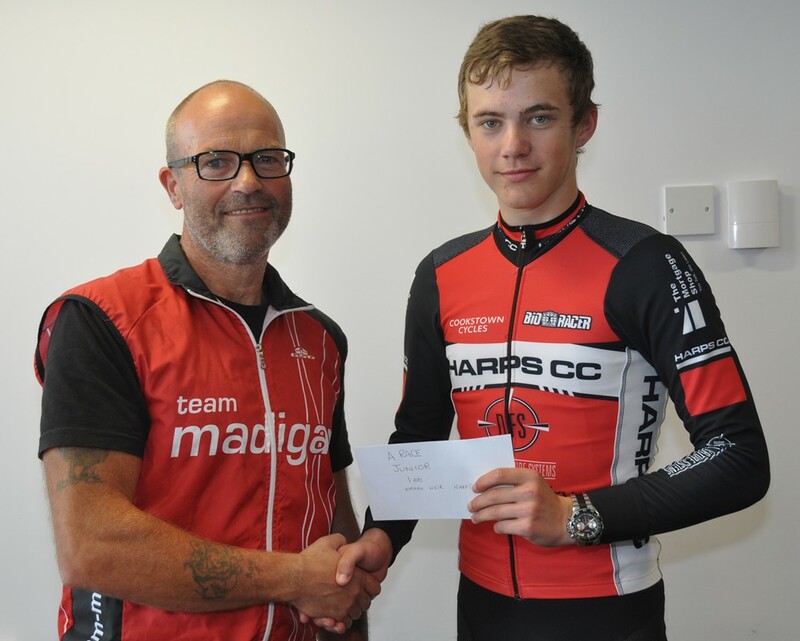 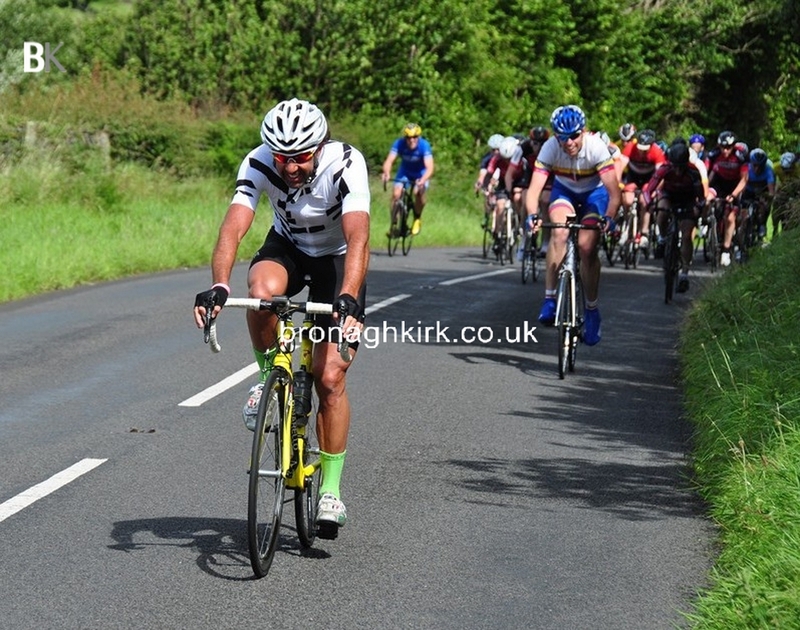 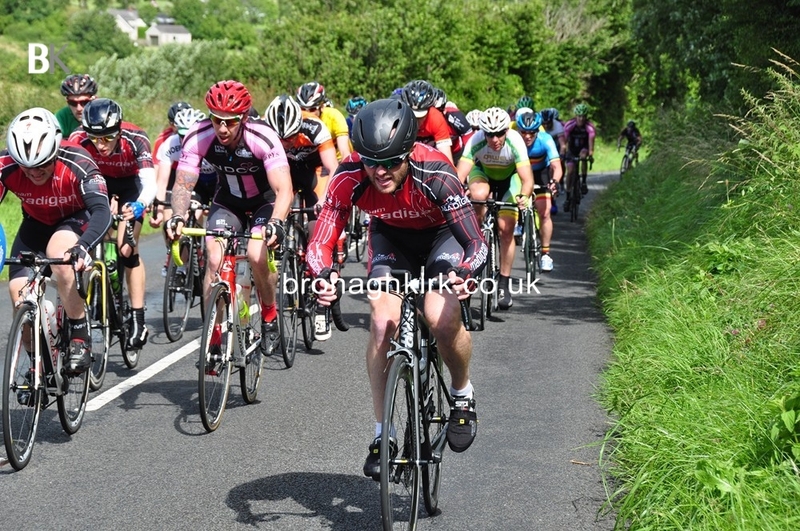 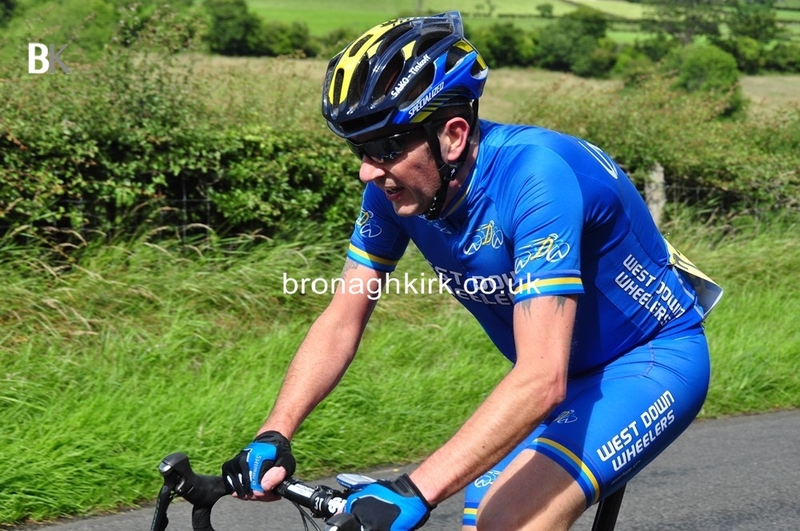 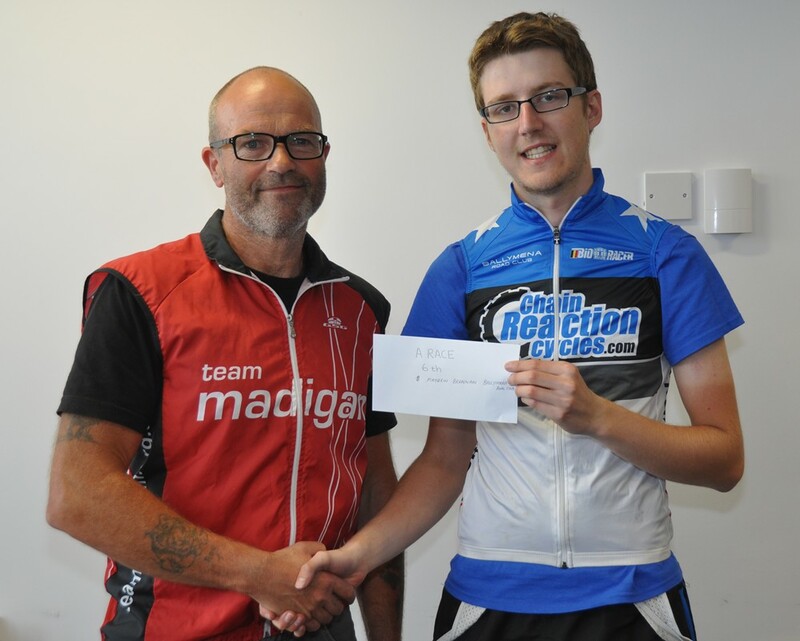 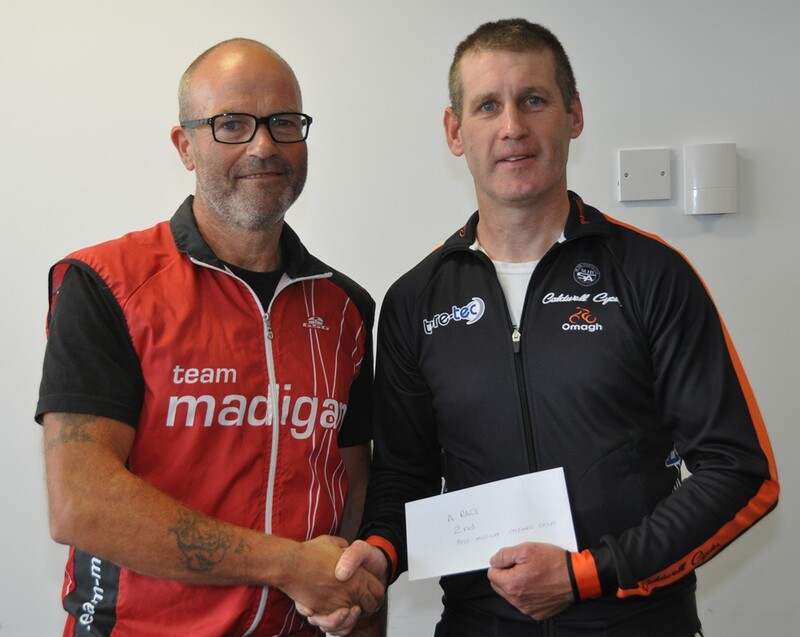 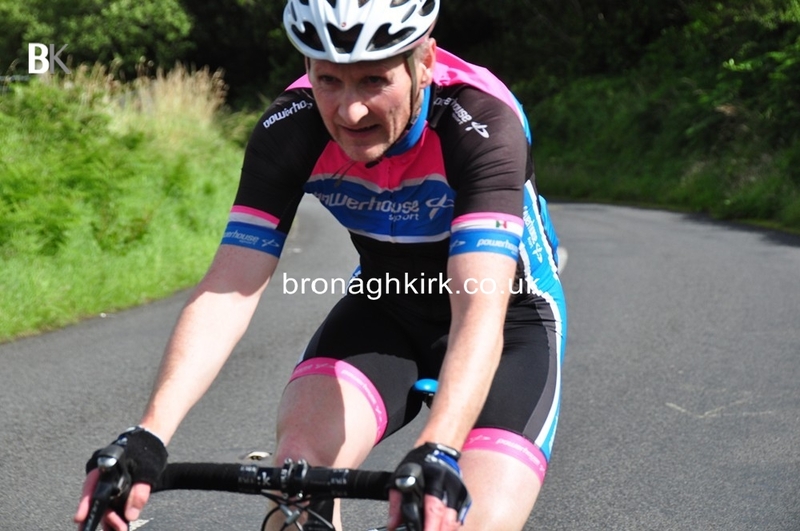 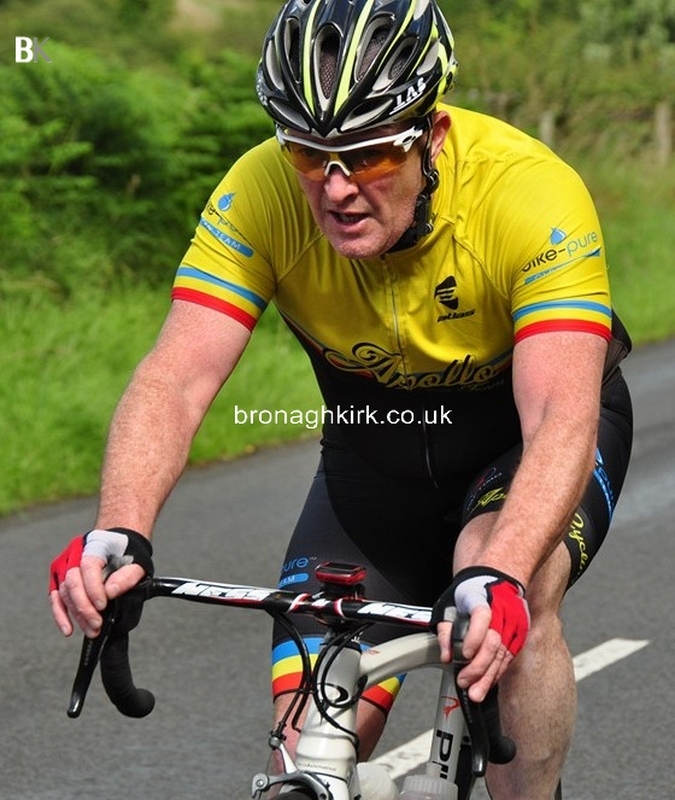 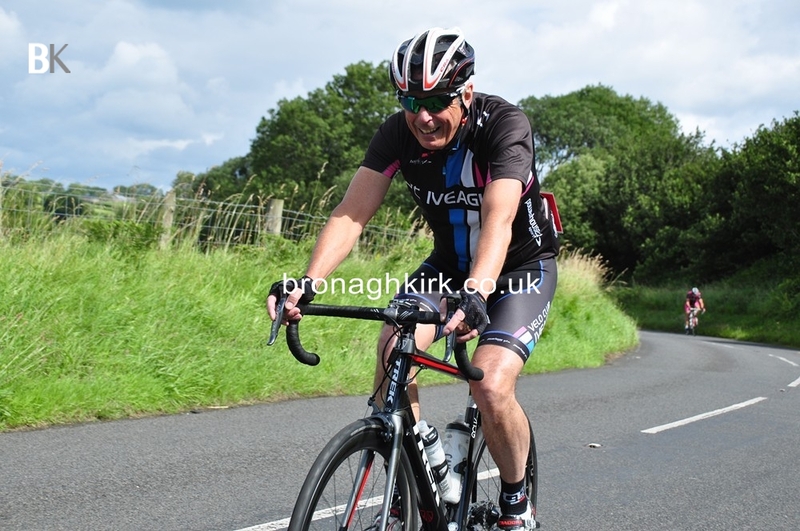 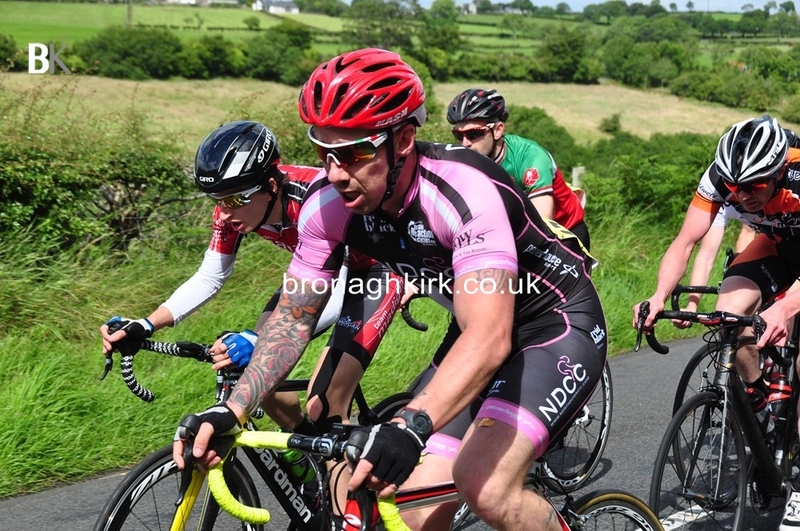 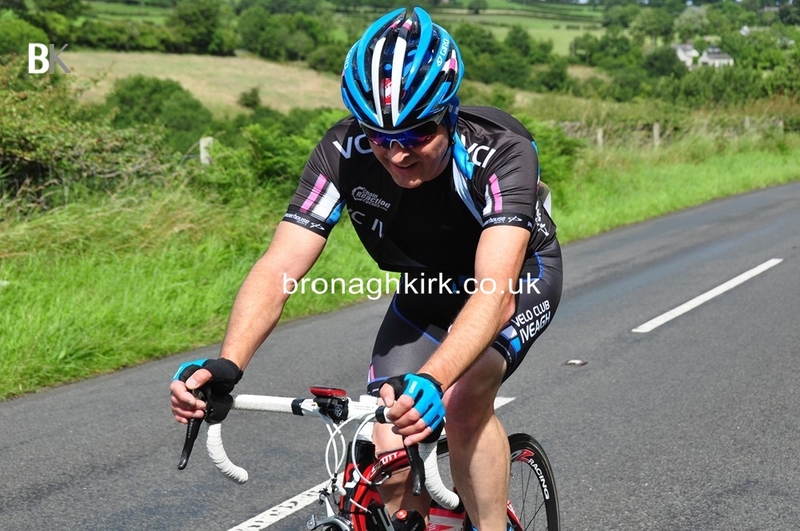 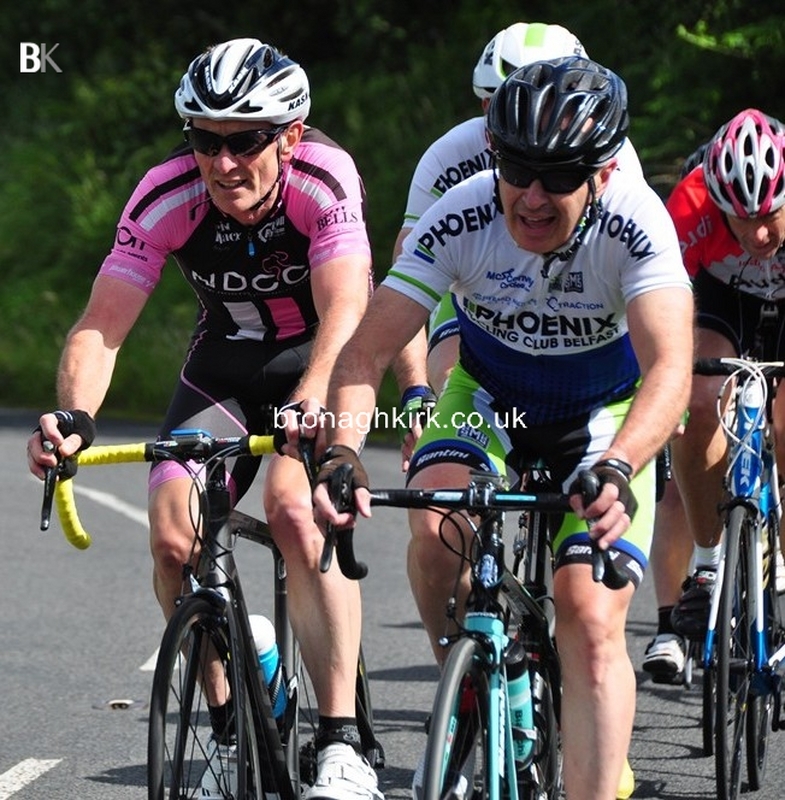 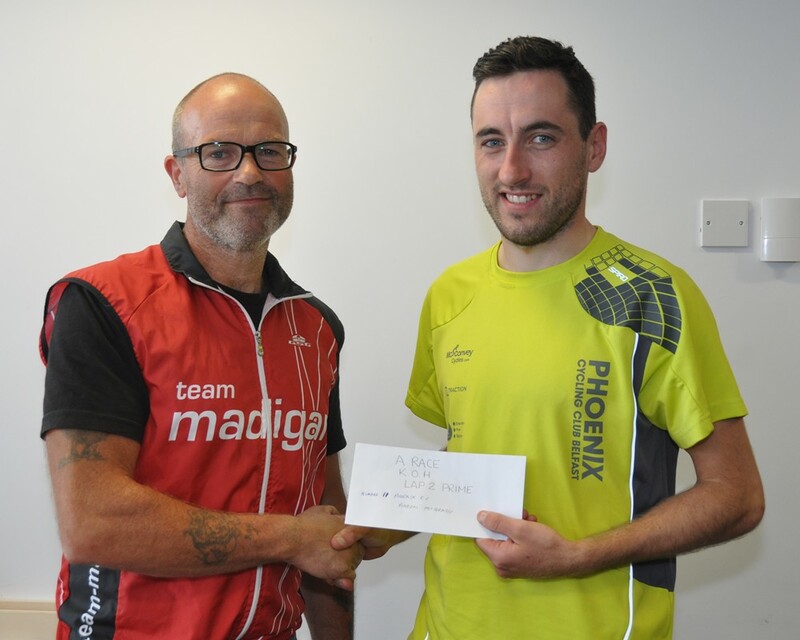 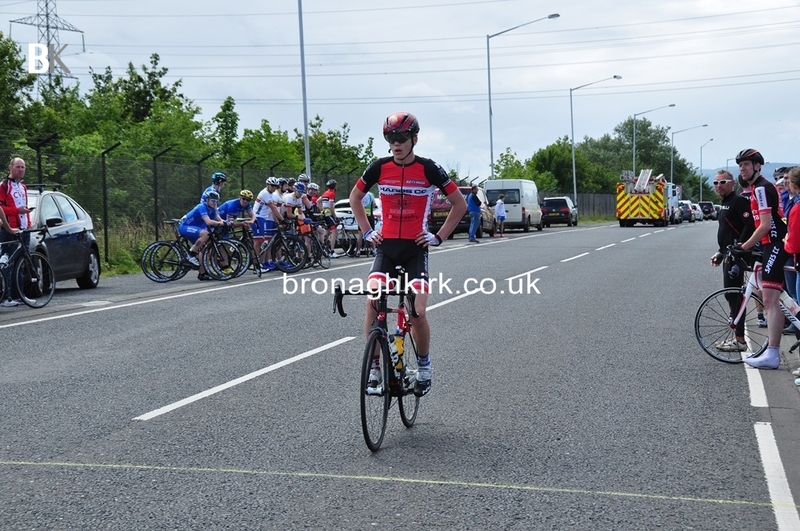 Dave Watson (North Down CC) continued his stellar season with another win in yesterdays Madigan Grand Prix in Carrickfergus. 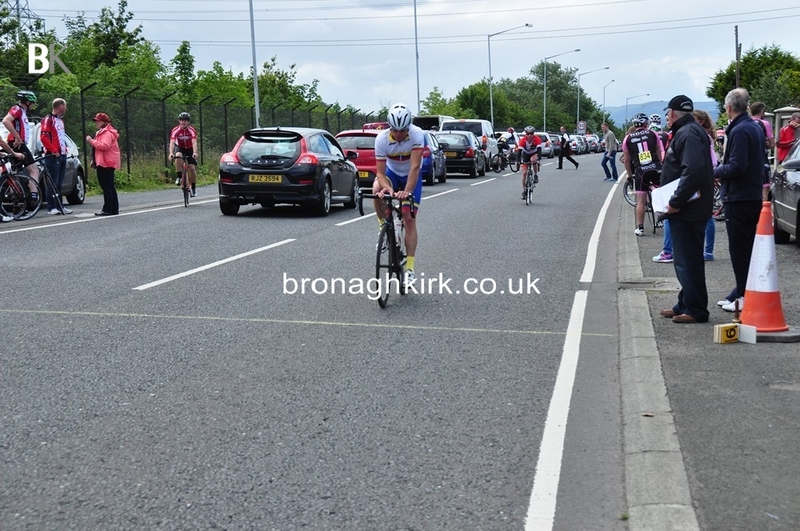 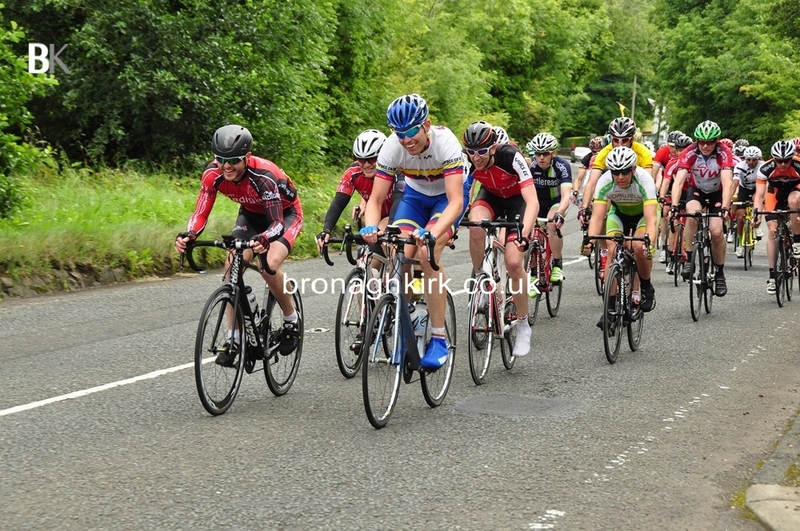 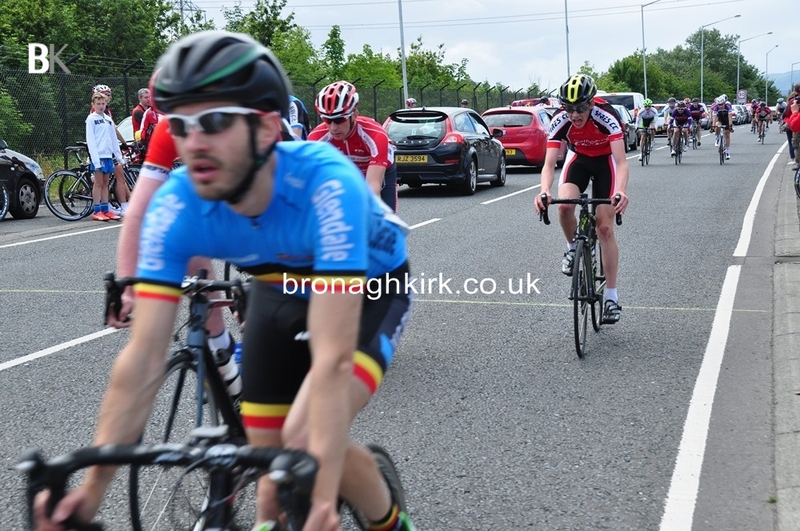 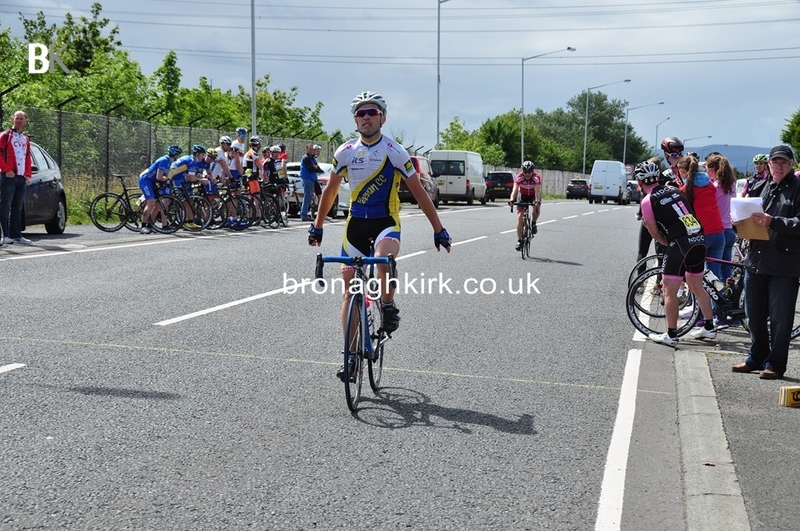 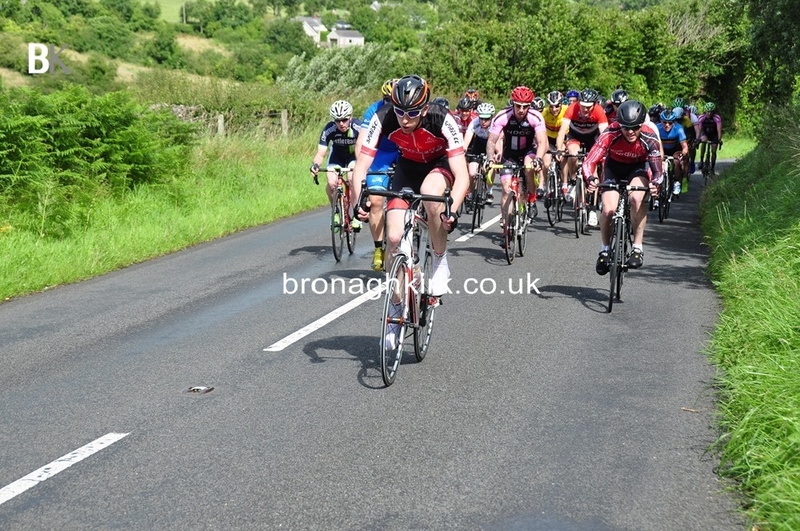 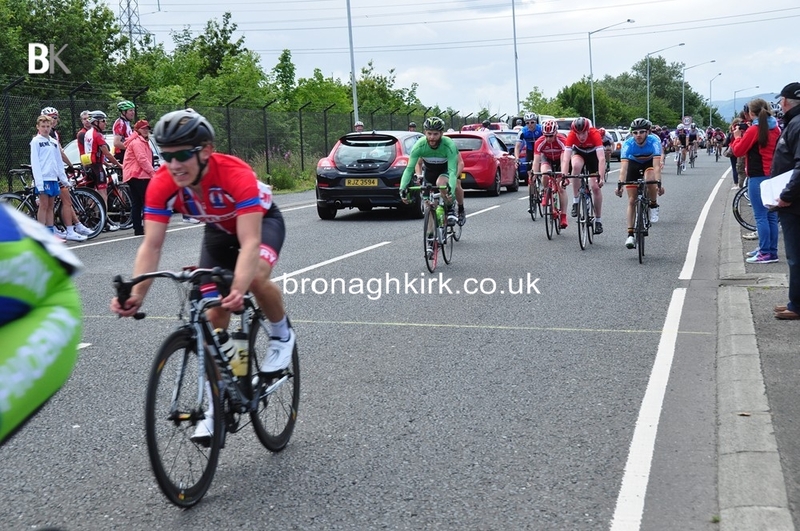 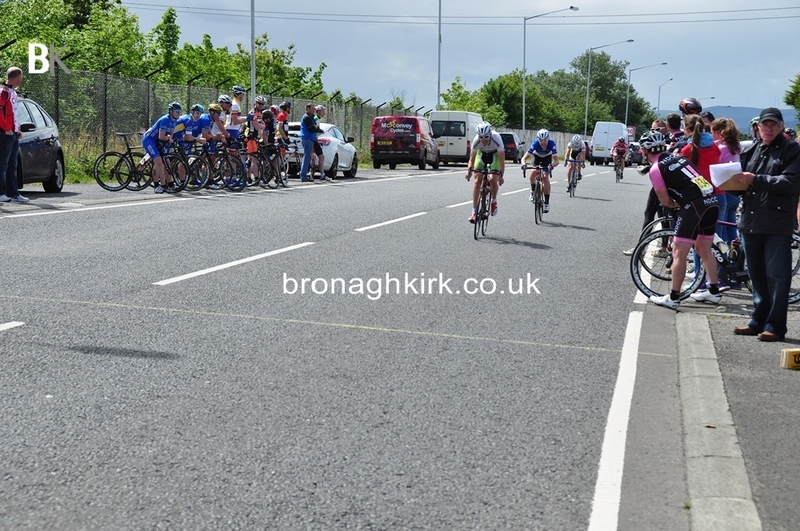 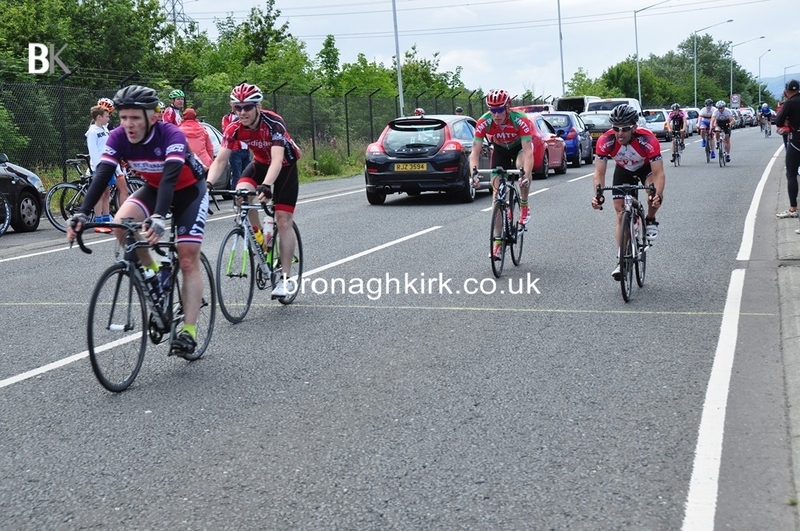 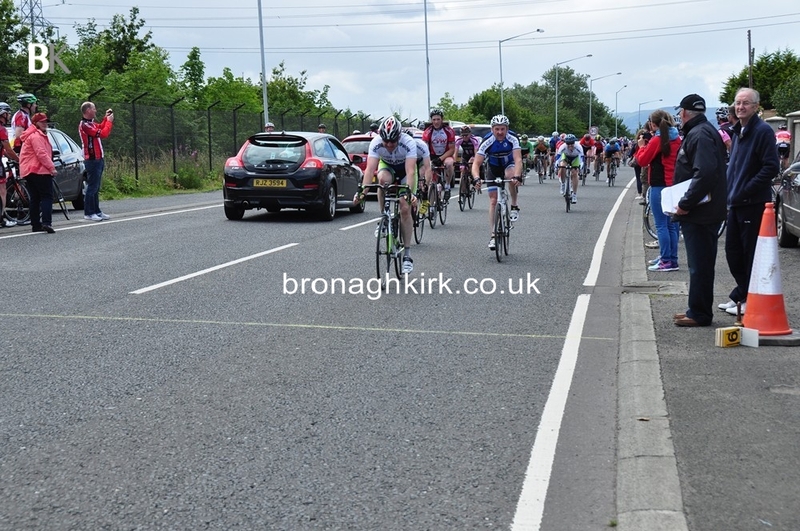 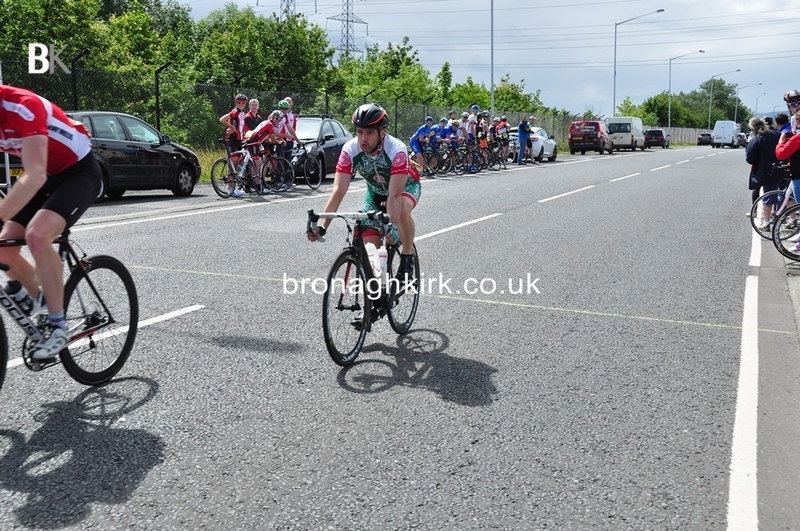 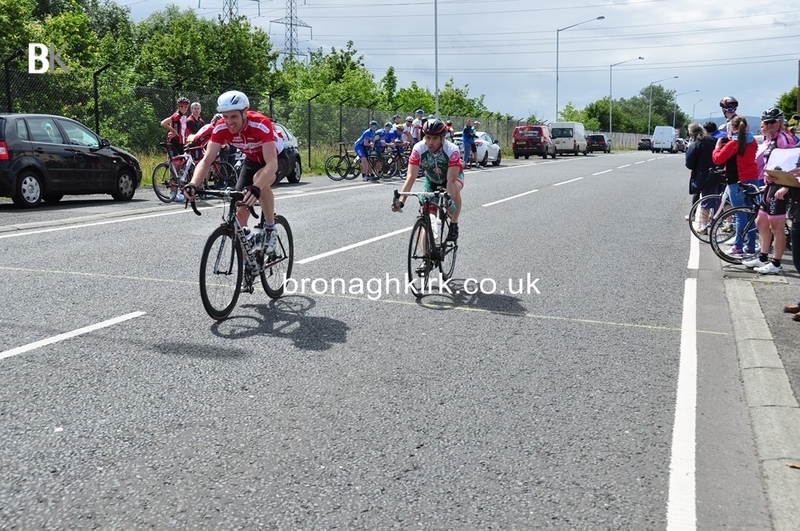 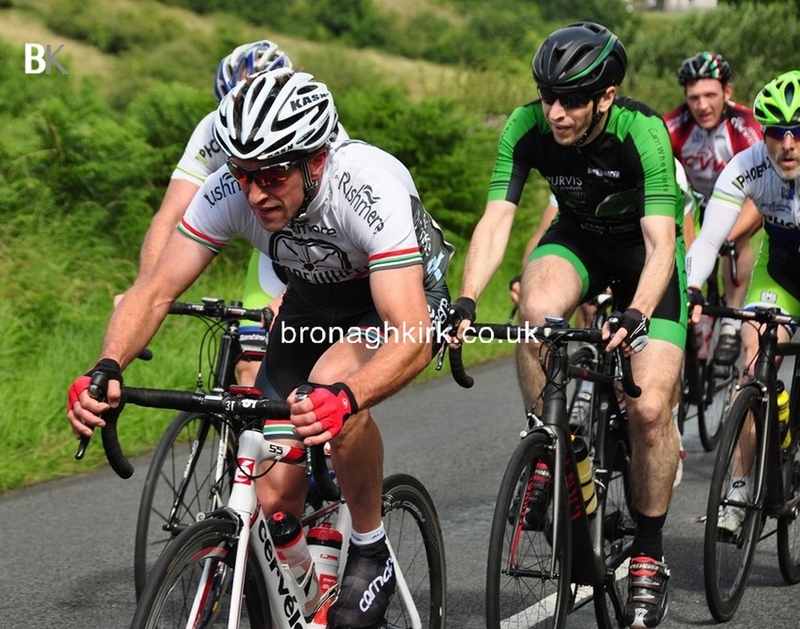 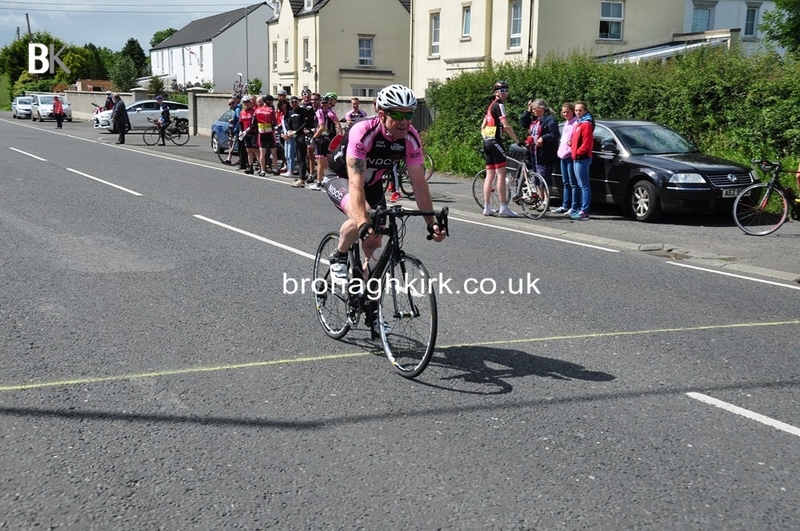 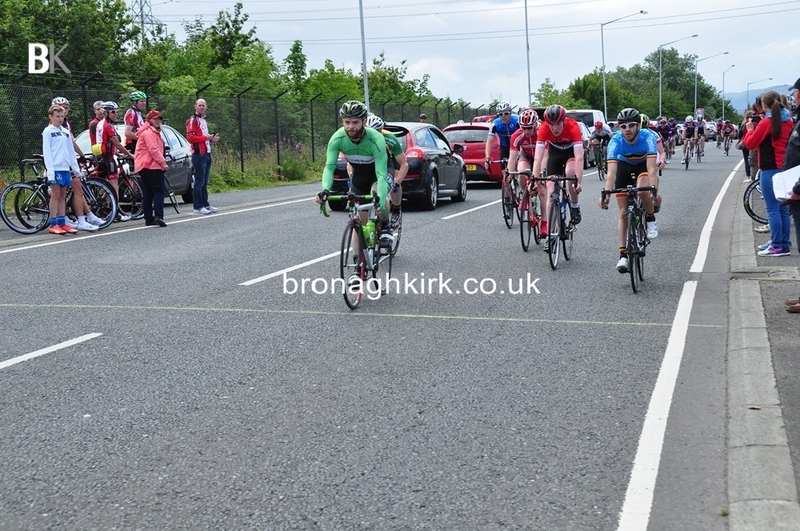 The 28 year old Bangor man beat seven others in the finishing sprint with Omagh veteran Paul Mulligan (Caldwell Cycles) second and Mark McKinley (Newry Wheelers) third. 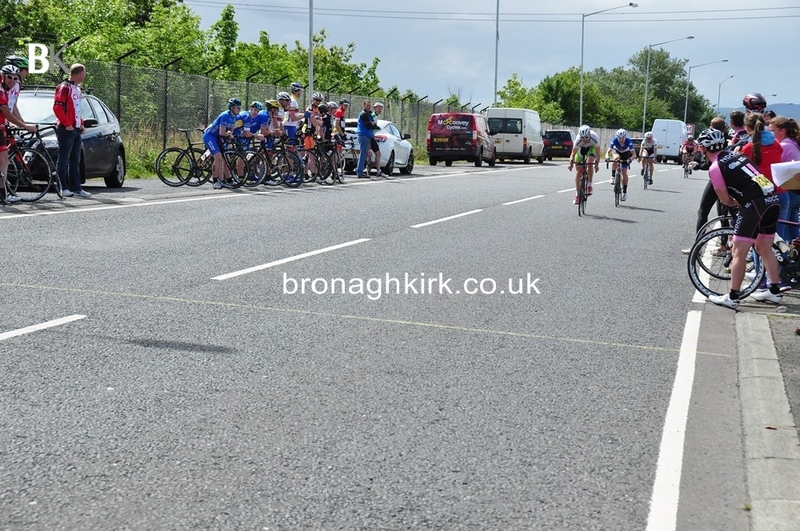 On the last of the three laps McKinley and Watson had crossed to the early breakaway which contained most of the eventual top ten finishers. 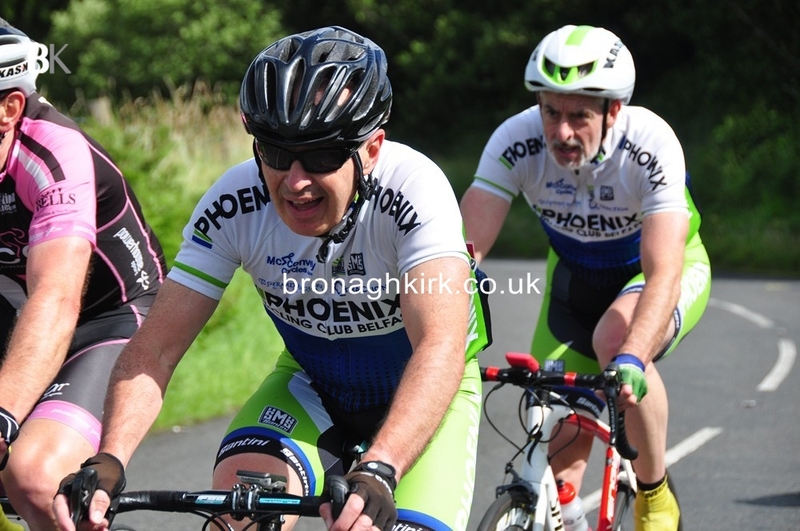 Phoenix CCs riders Aaron McGrady and Mike Millar were fourth and fifth and shared the King of the Hill primes. 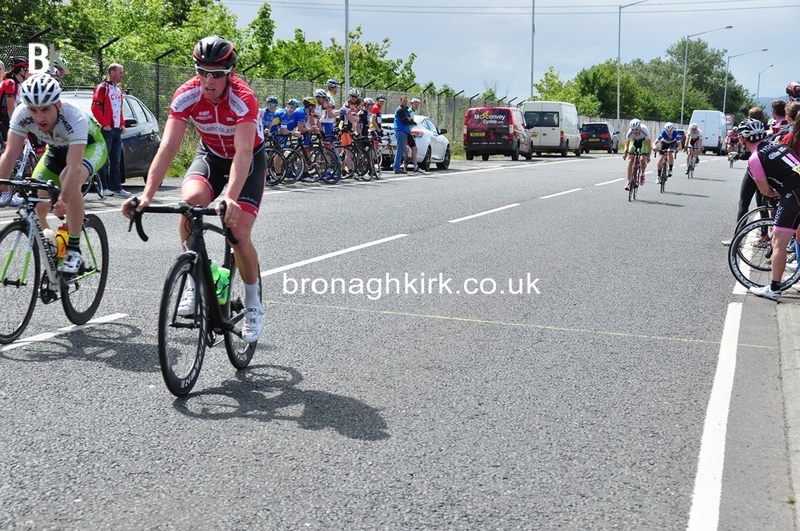 Ballymena man Matthew Brennan did a strong ride for sixth while Nathan Weir (Harps CC) was 11th and first unplaced junior. 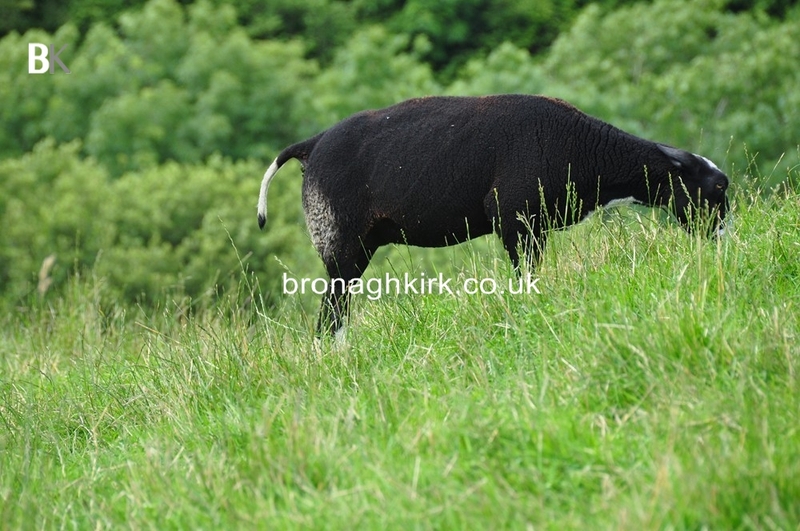 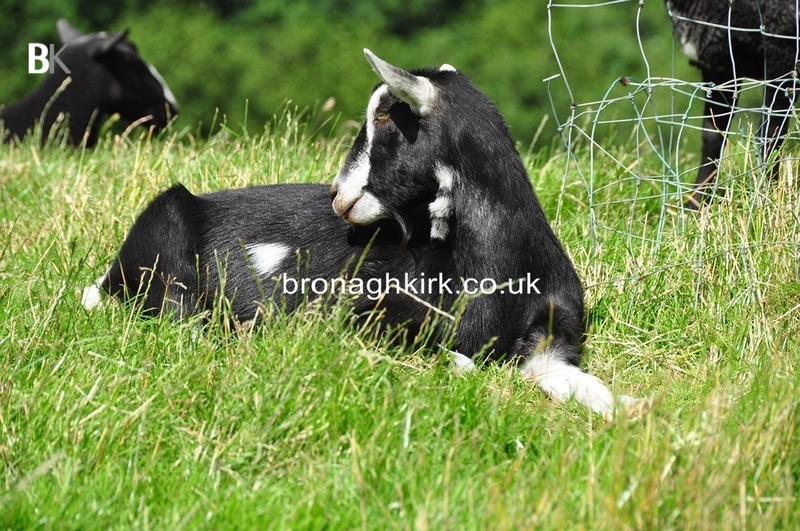 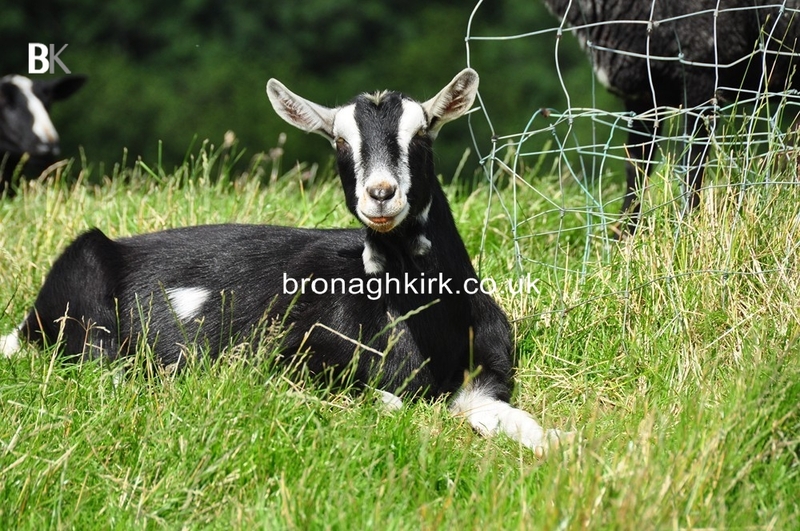 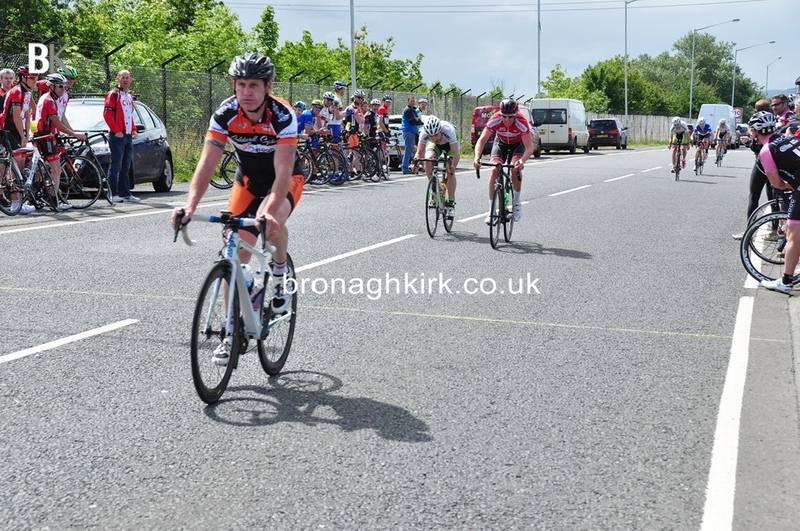 Andrew Chivers (North Down) was firstA3 (unplaced). 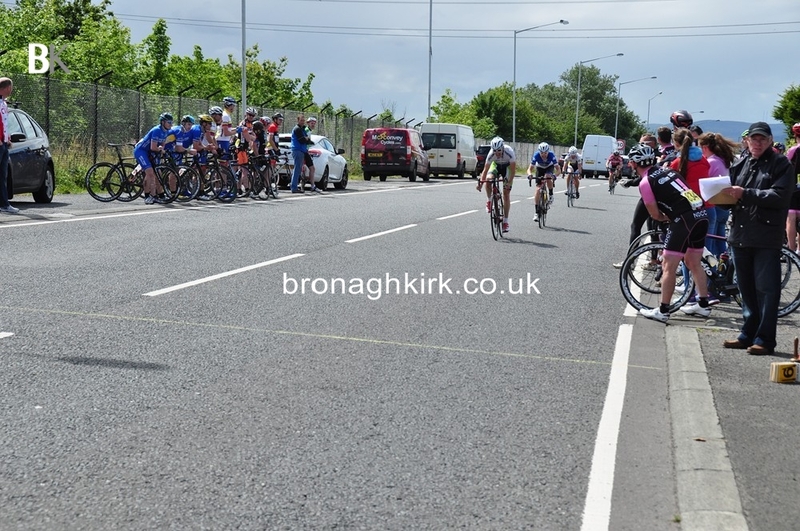 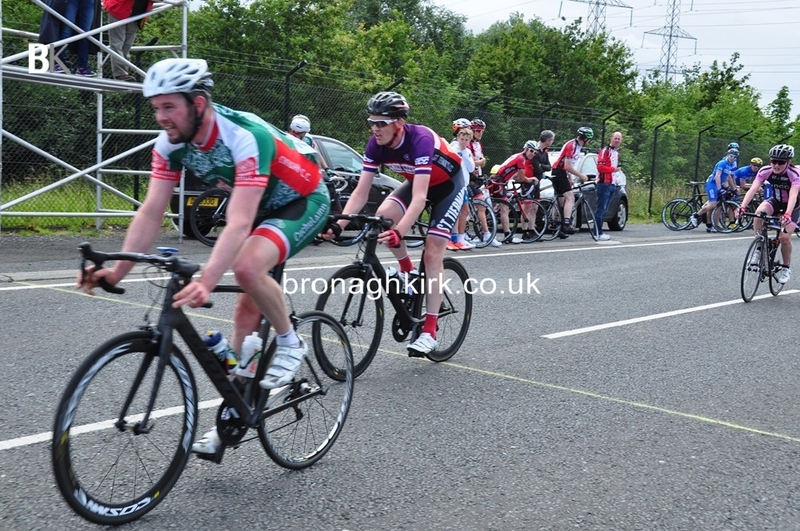 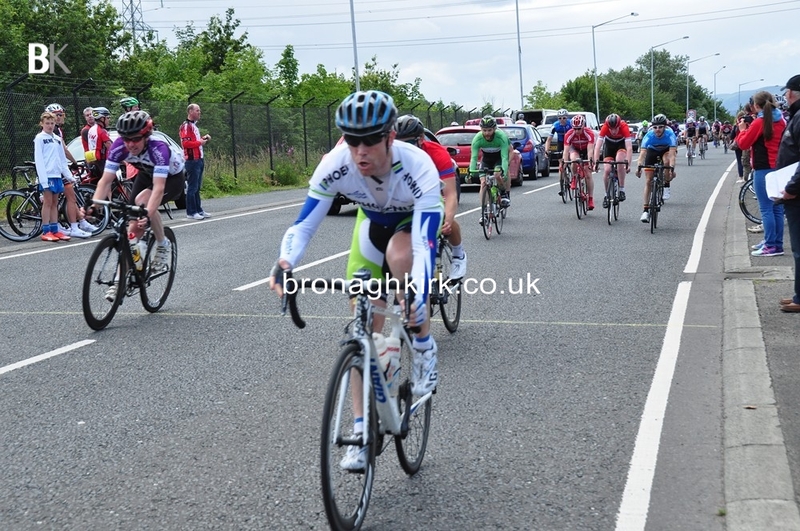 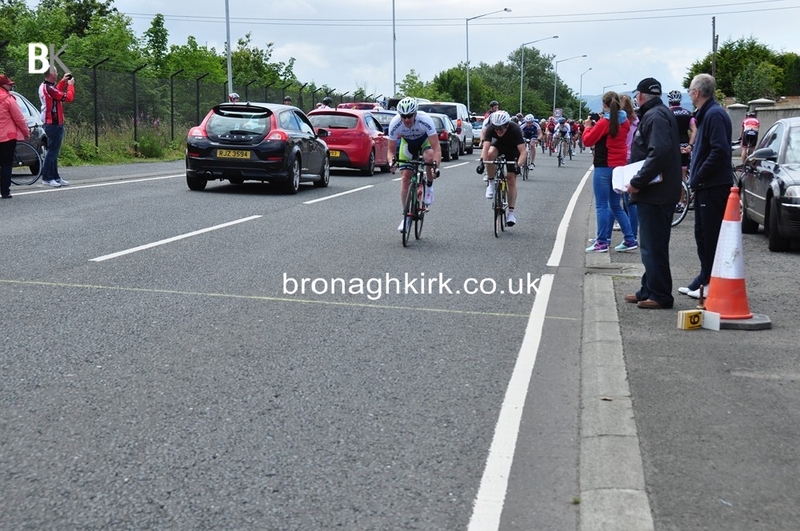 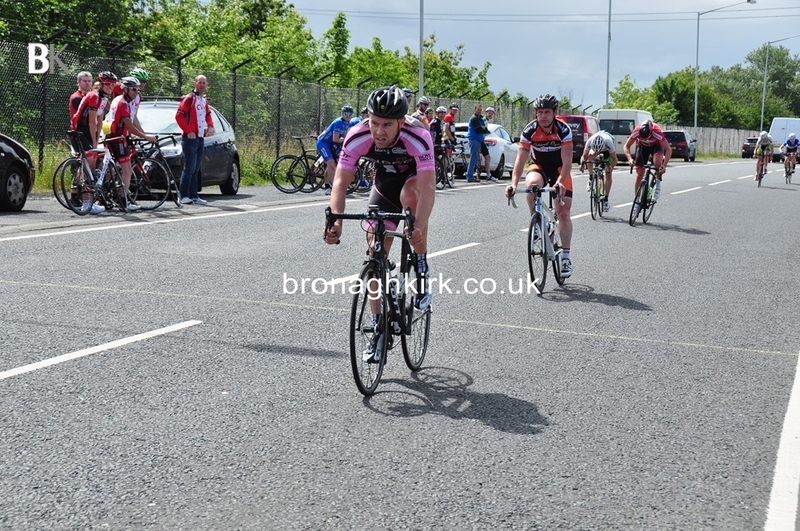 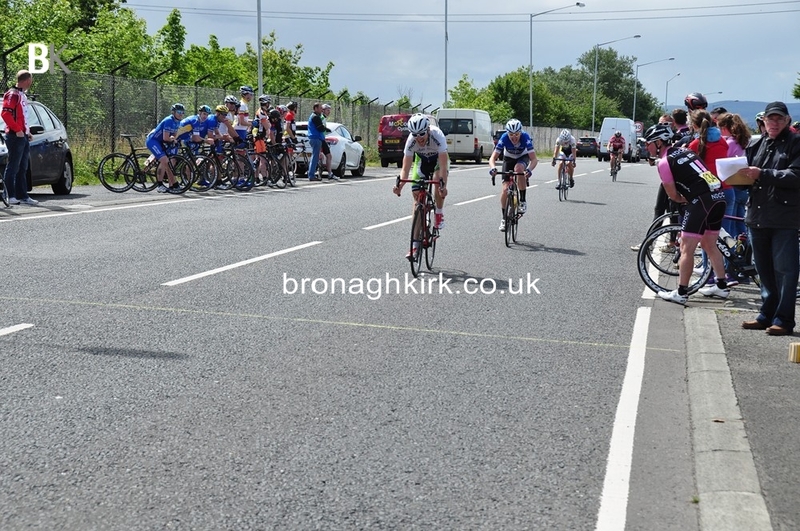 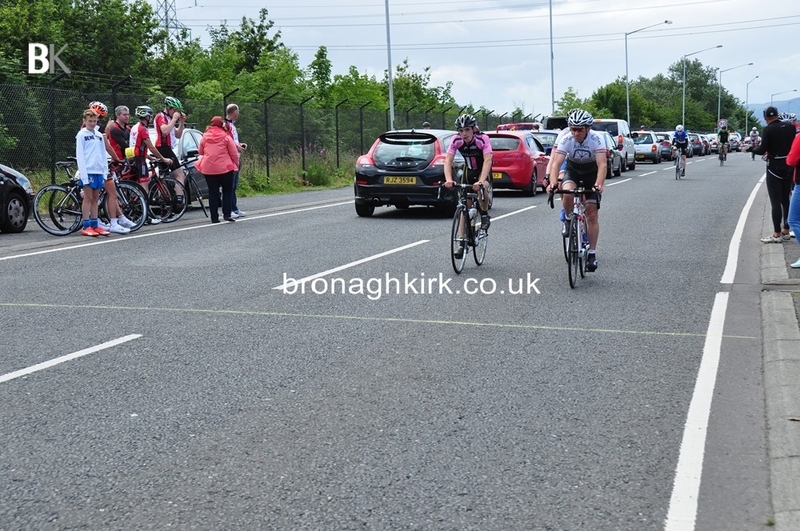 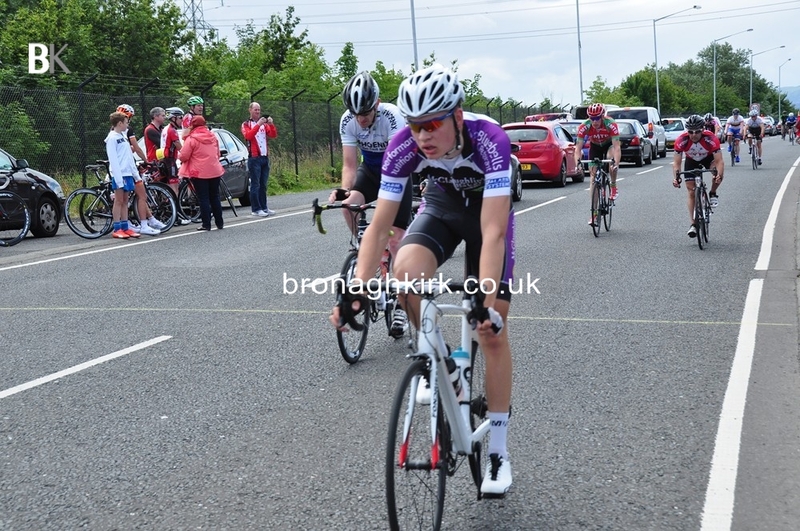 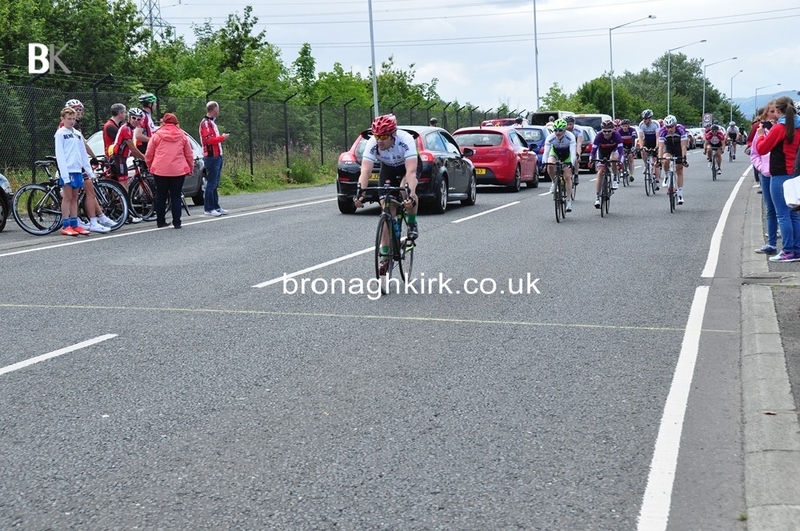 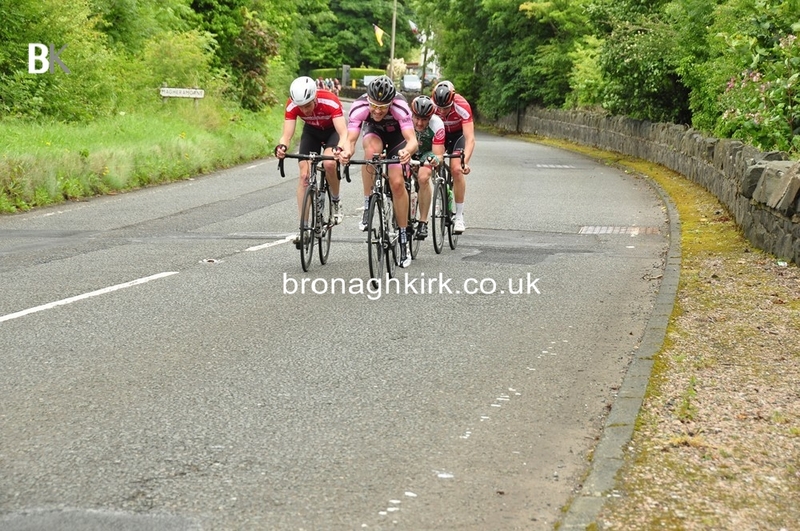 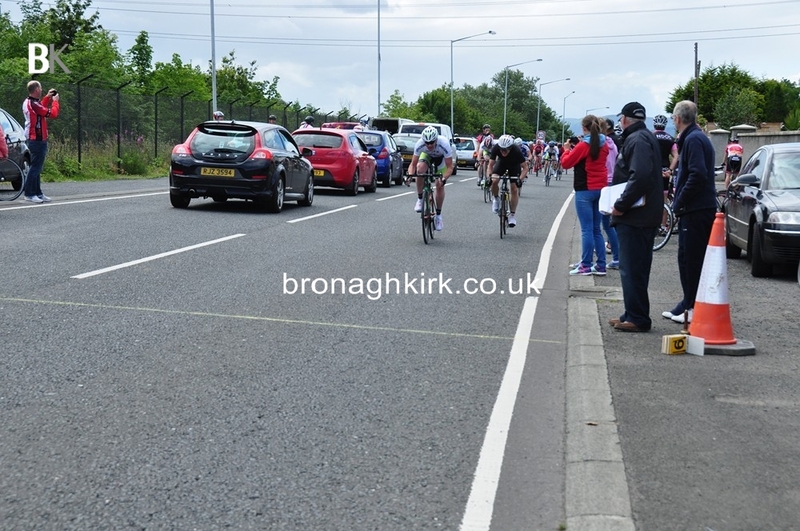 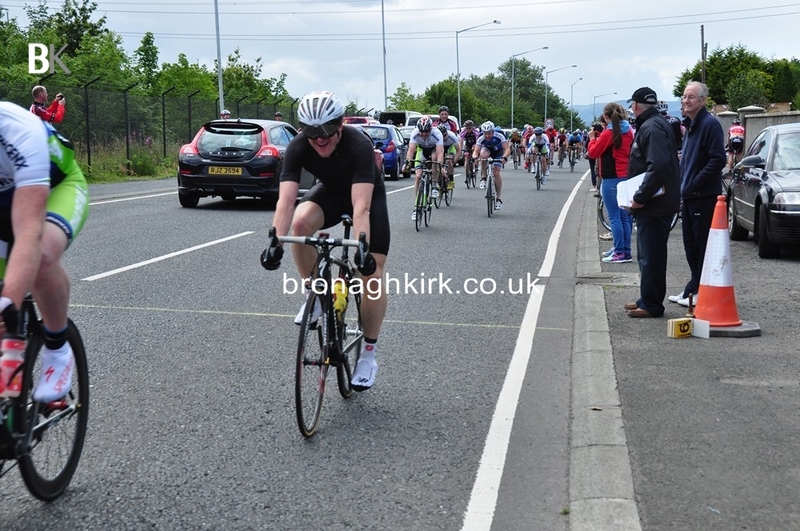 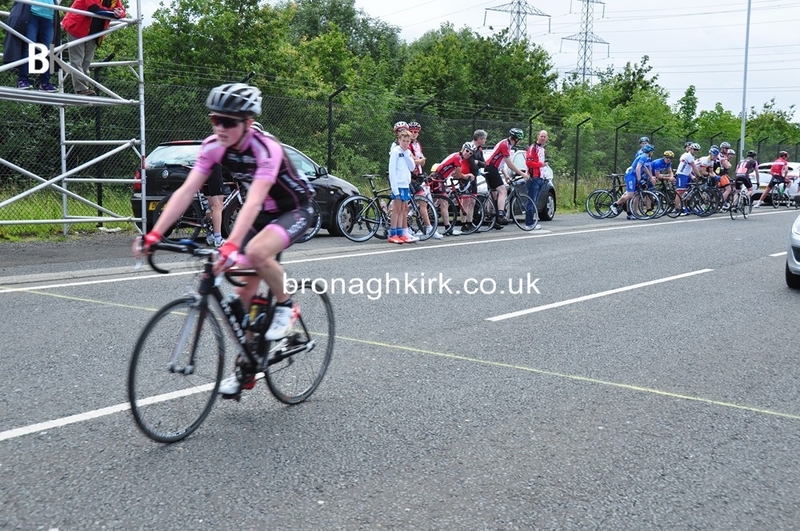 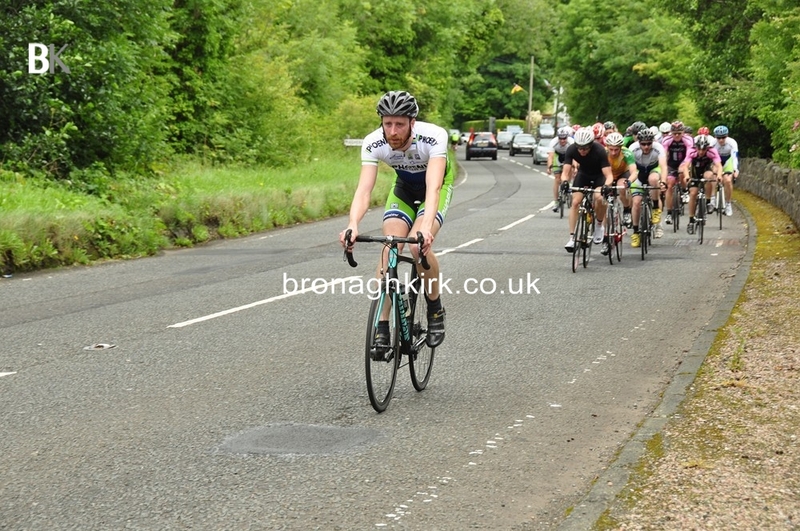 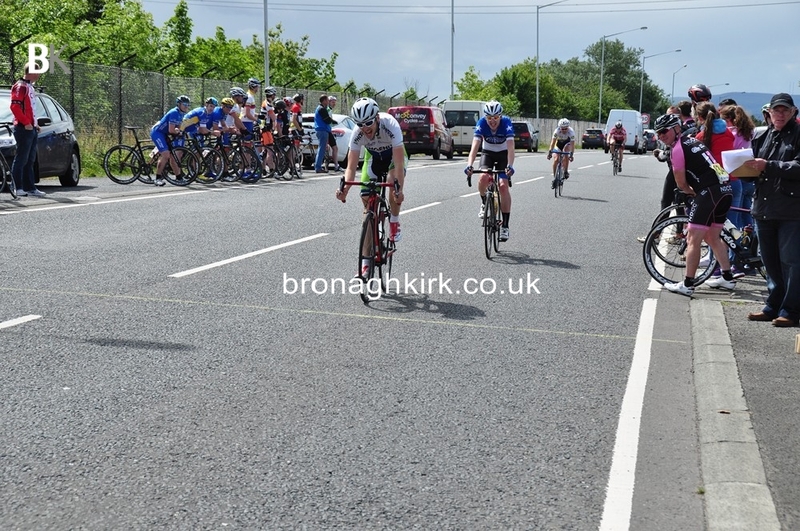 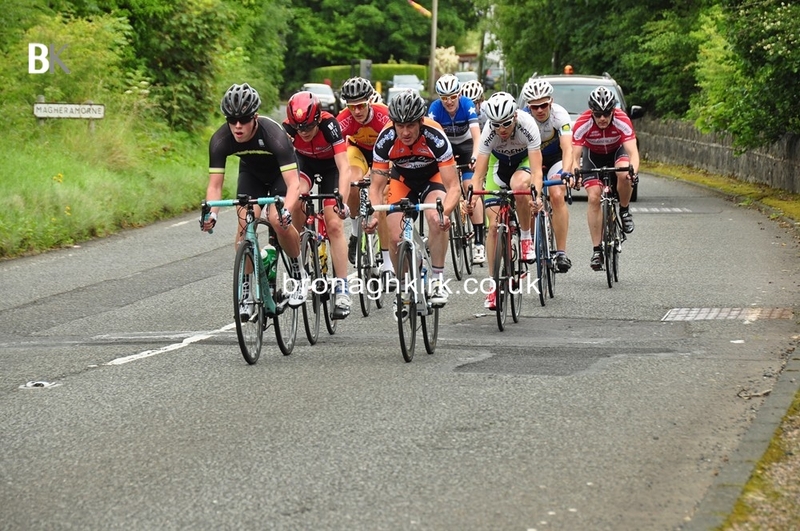 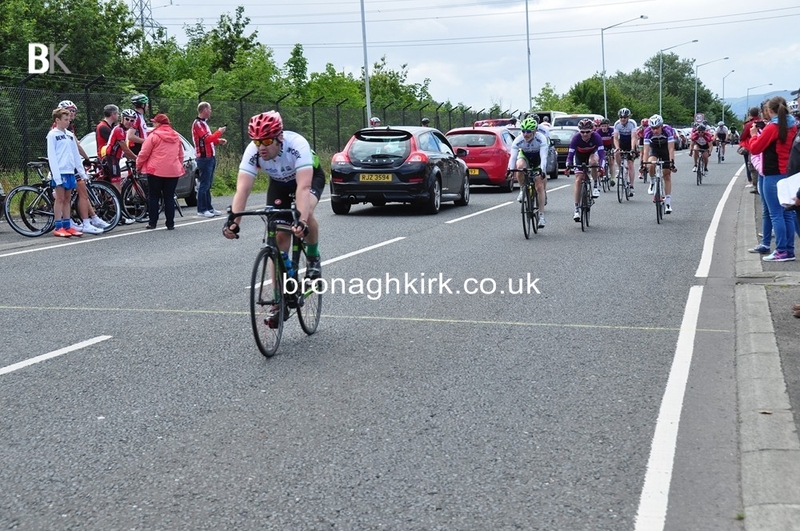 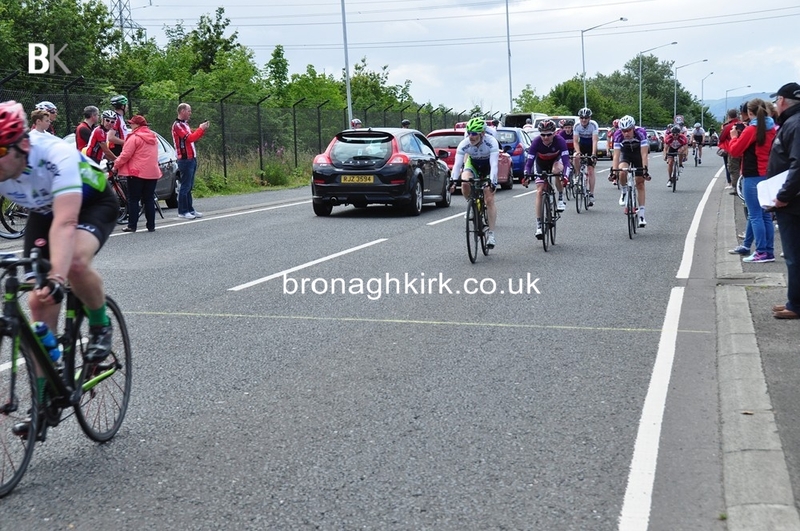 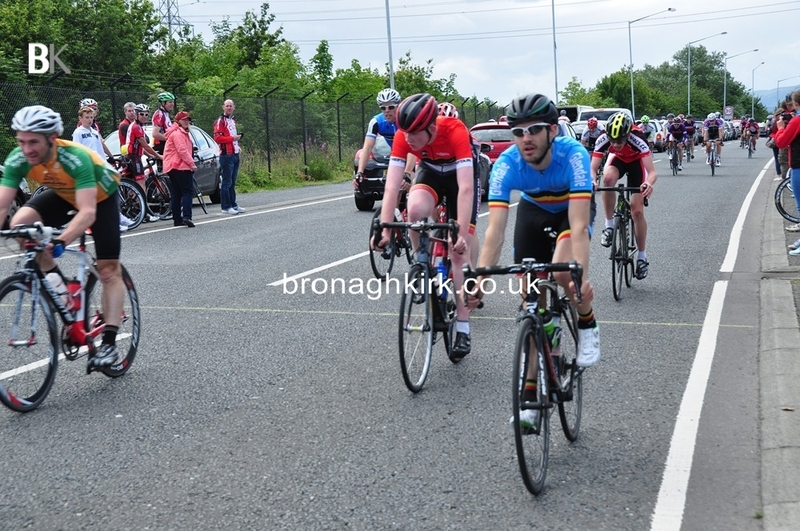 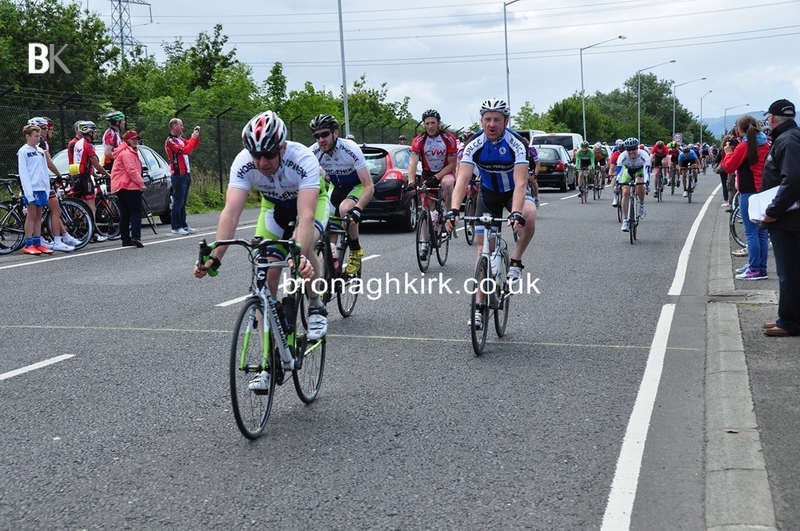 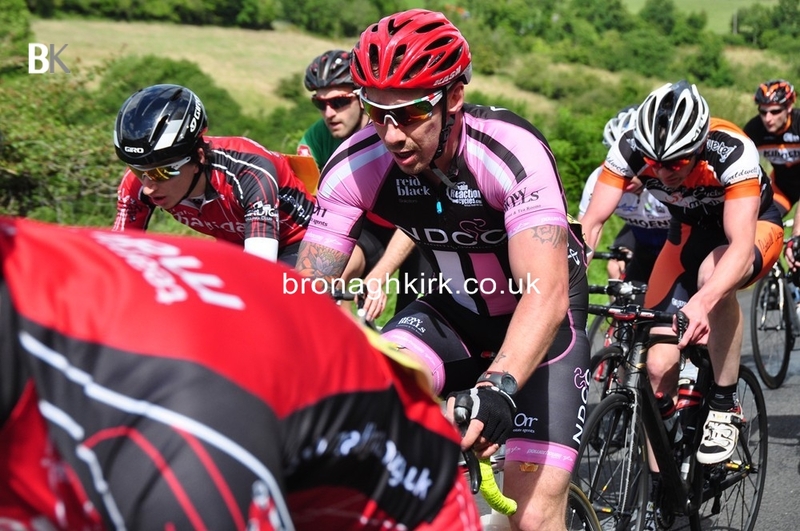 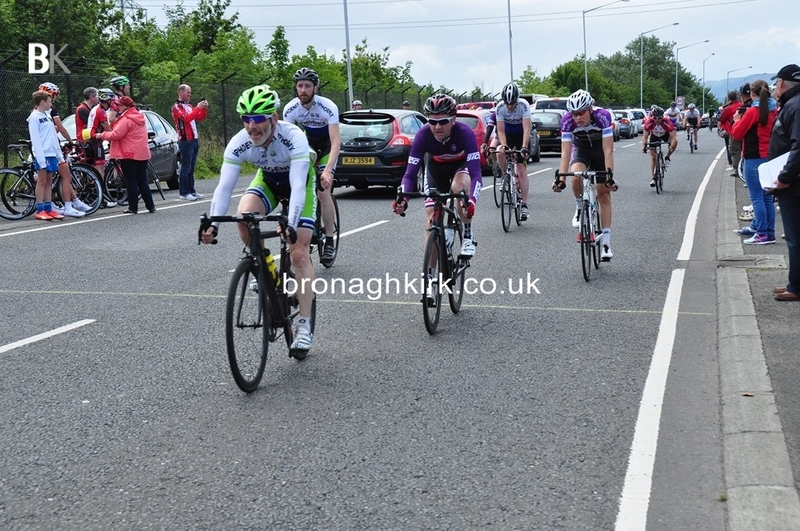 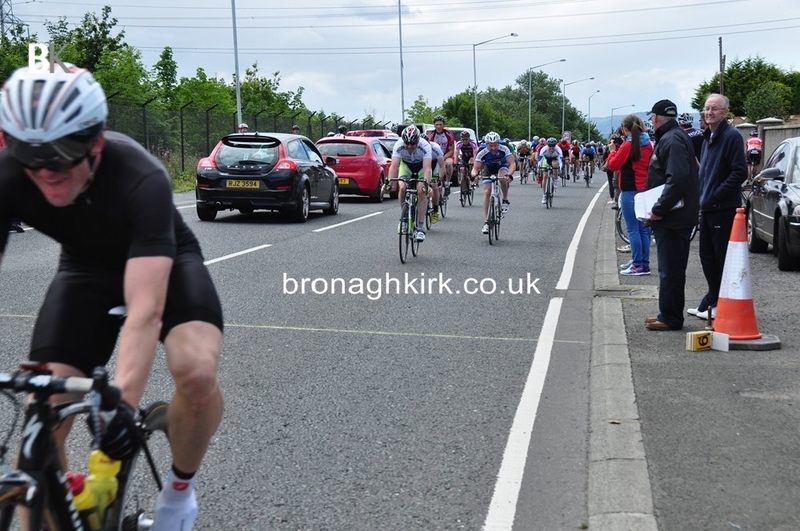 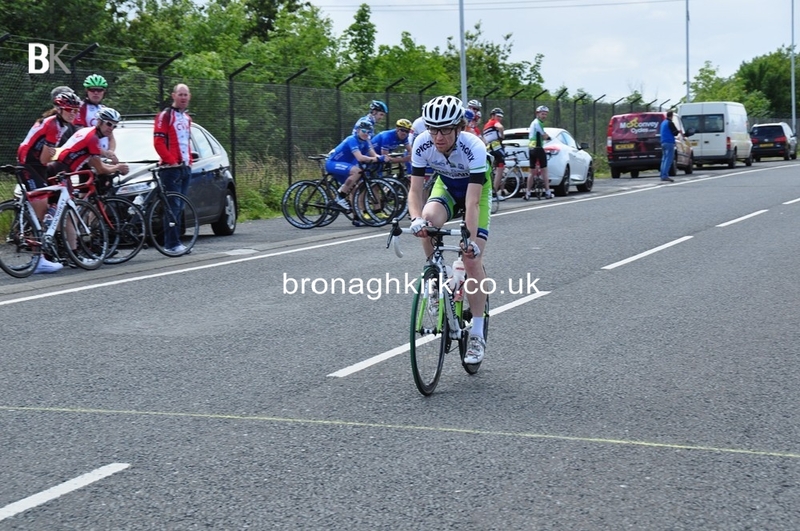 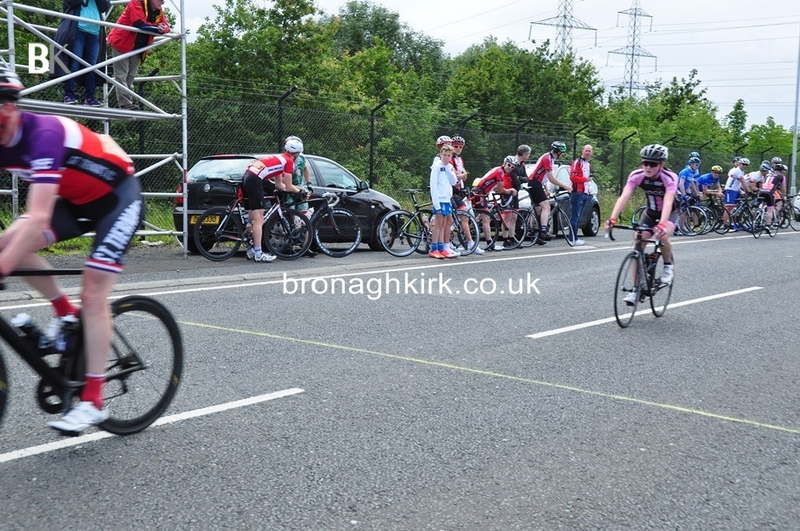 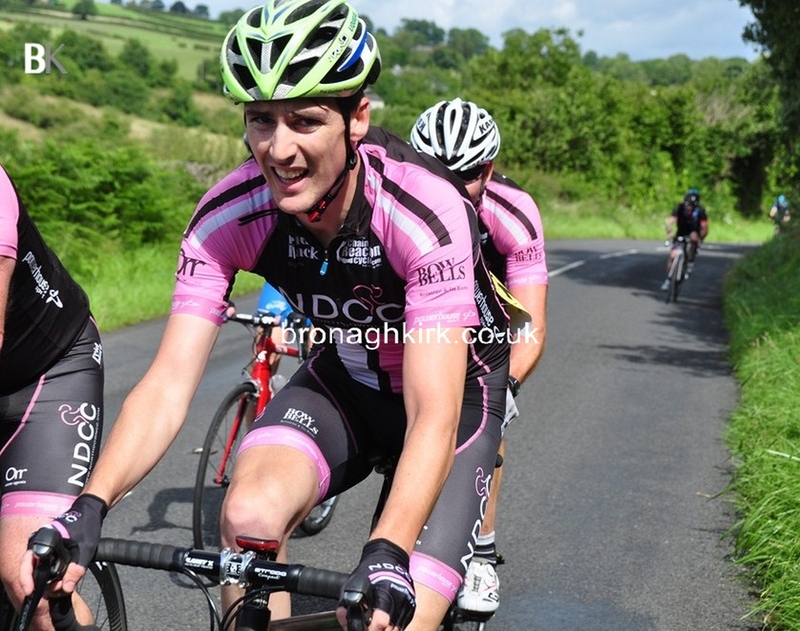 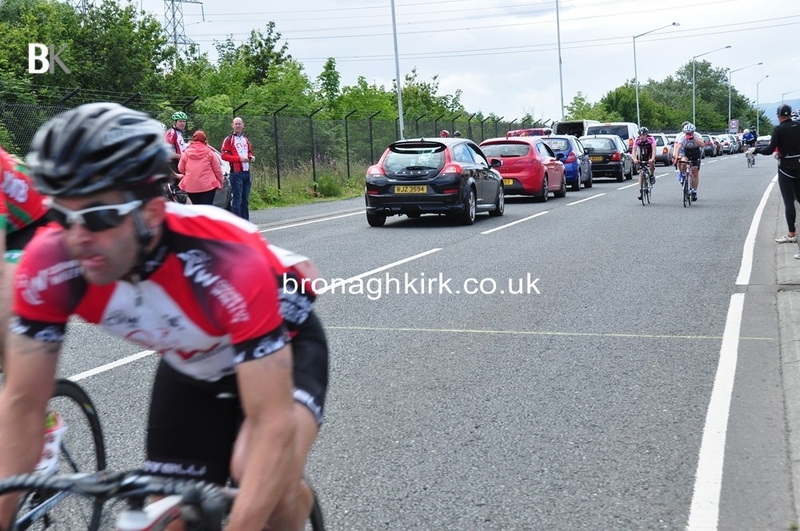 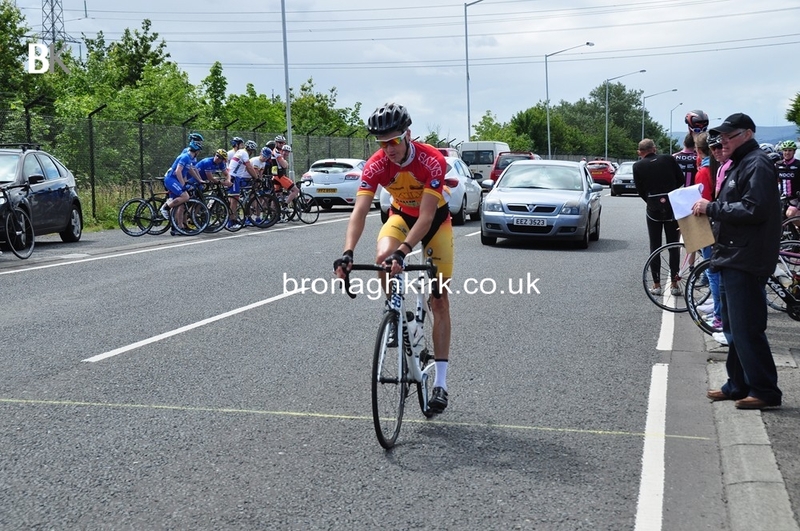 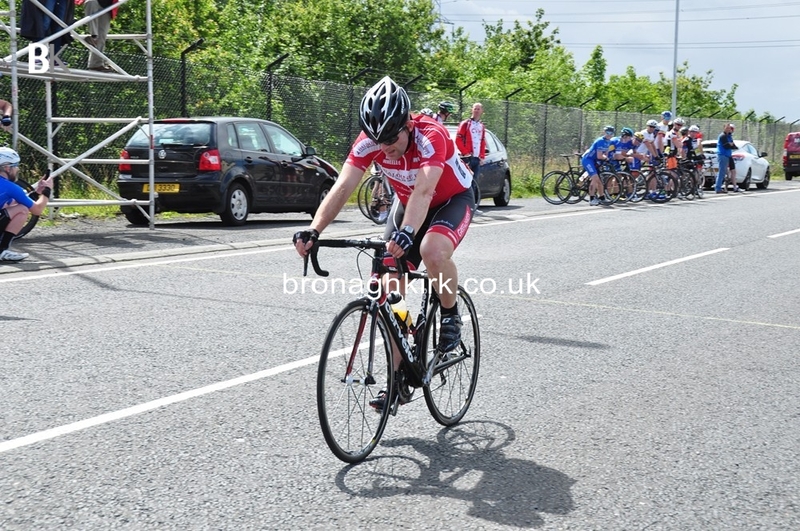 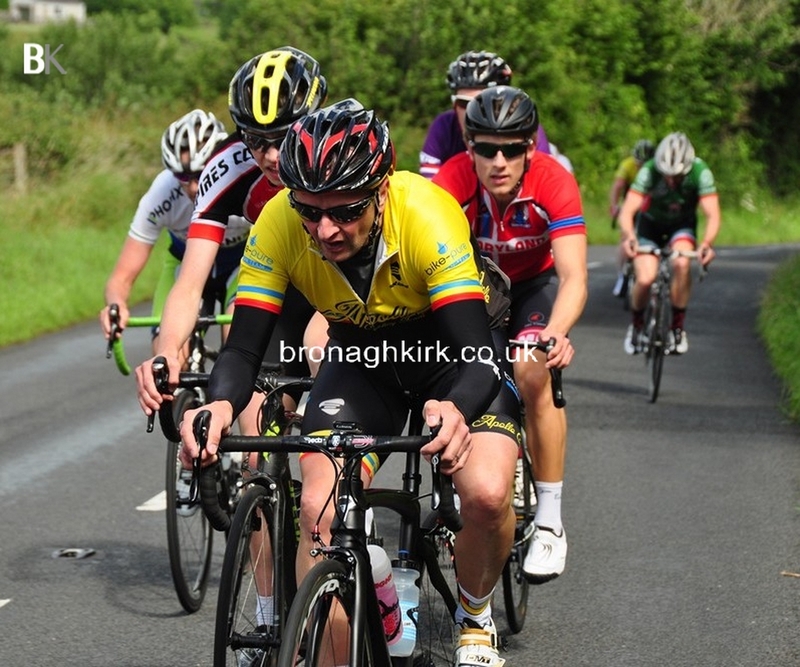 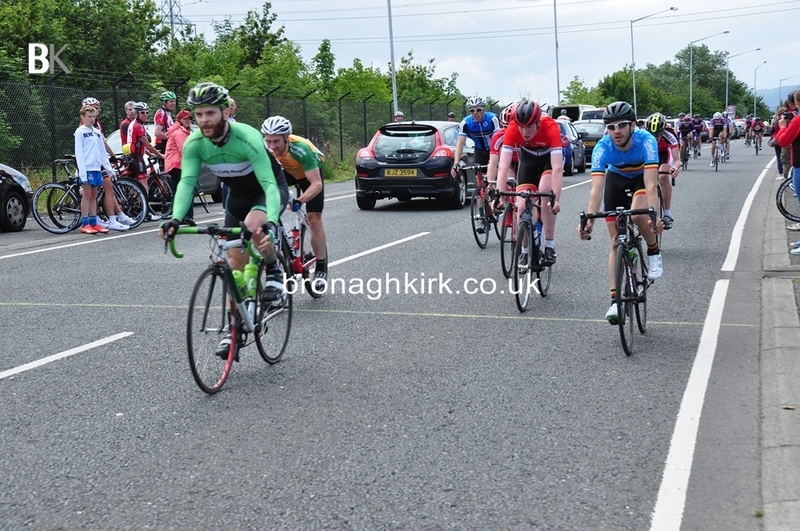 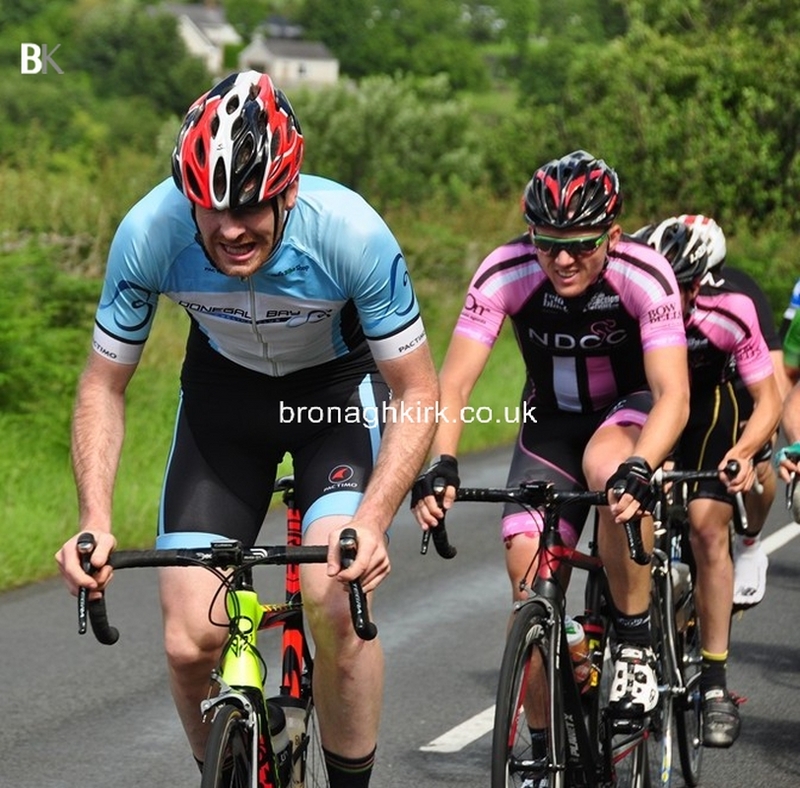 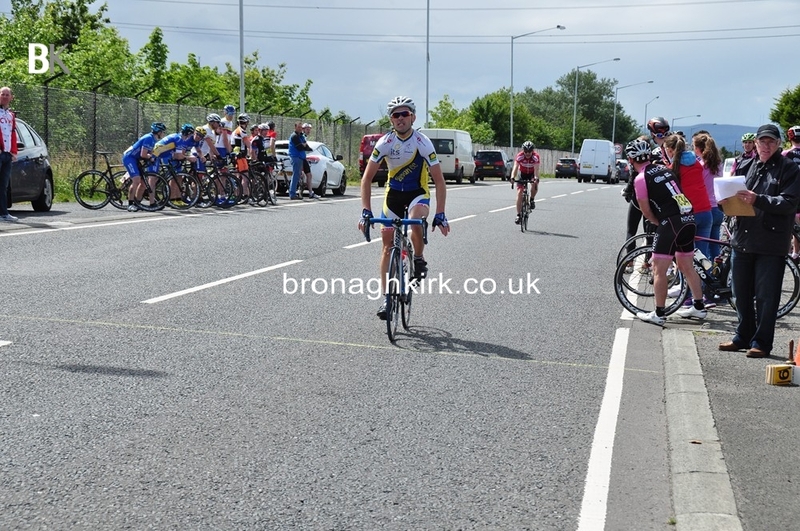 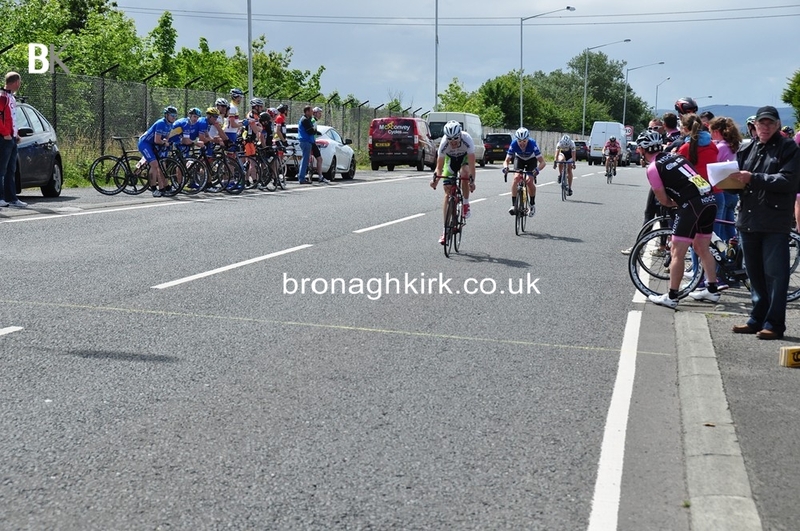 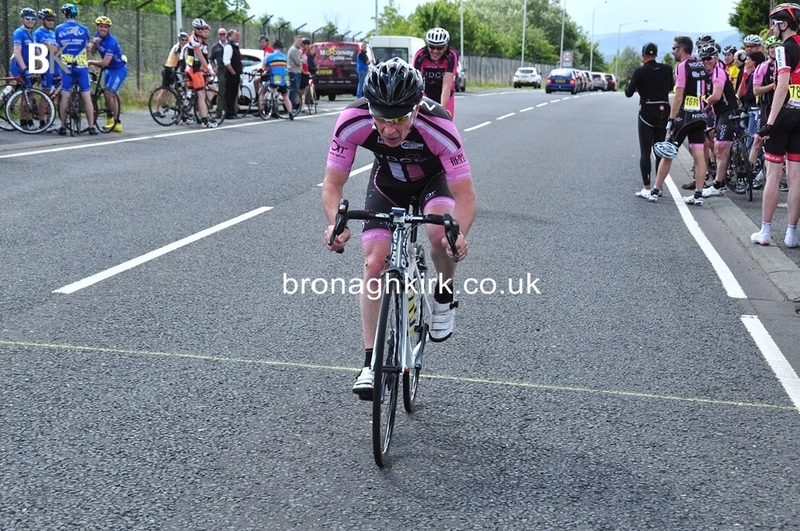 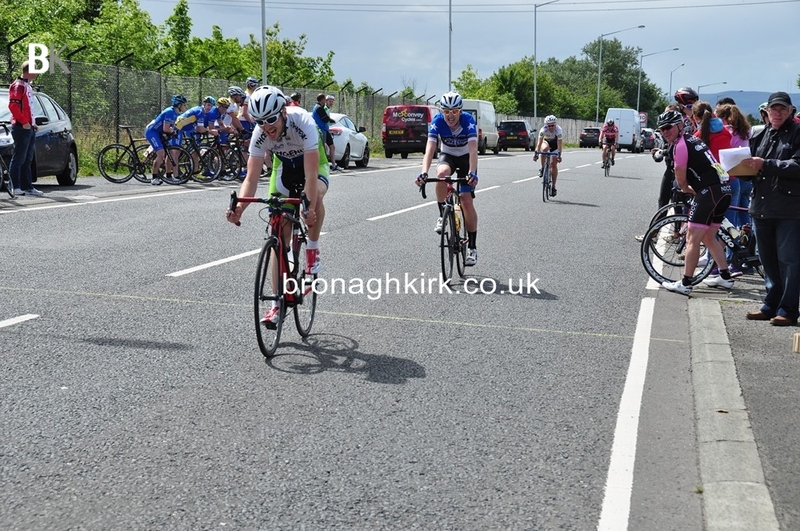 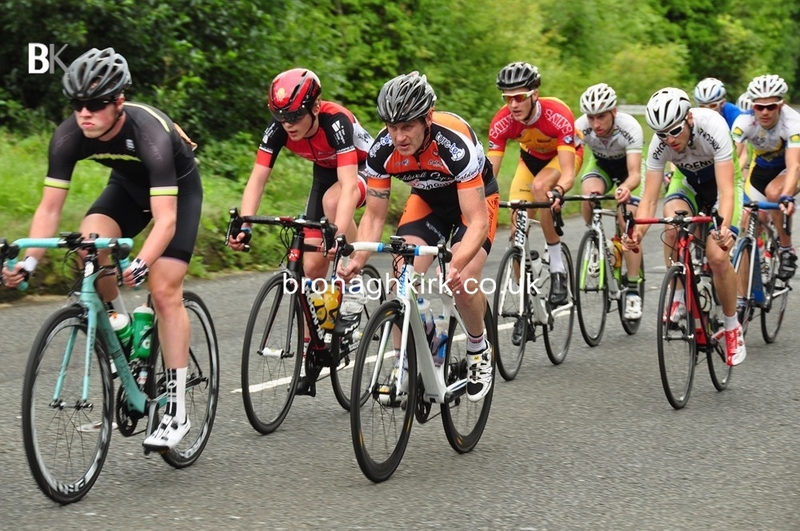 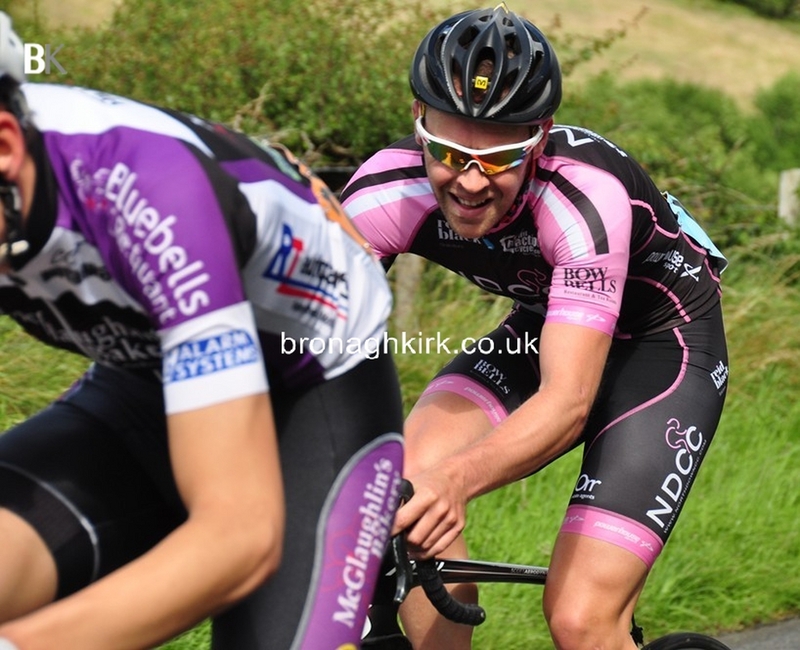 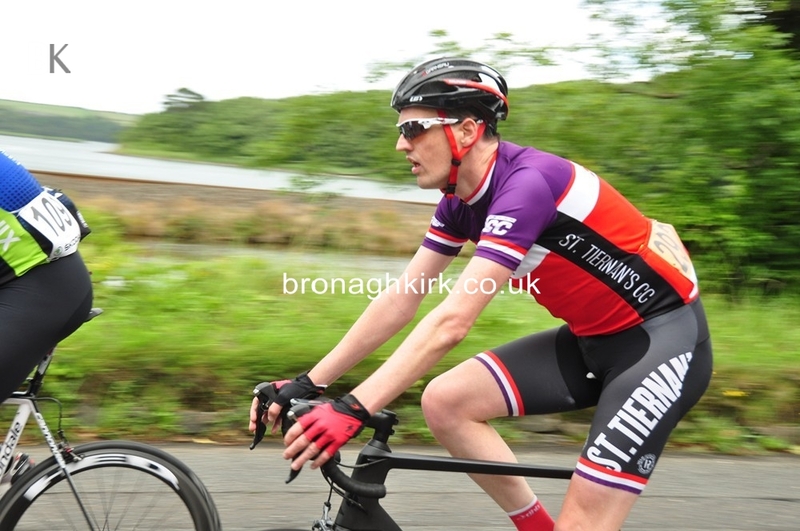 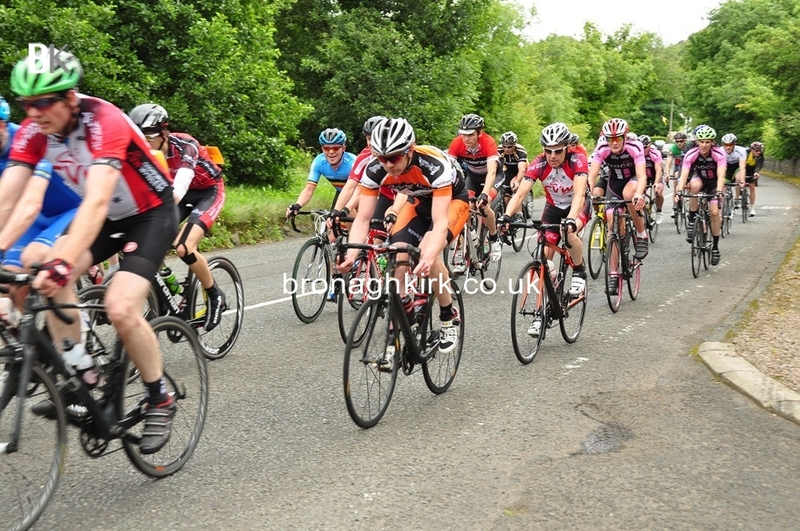 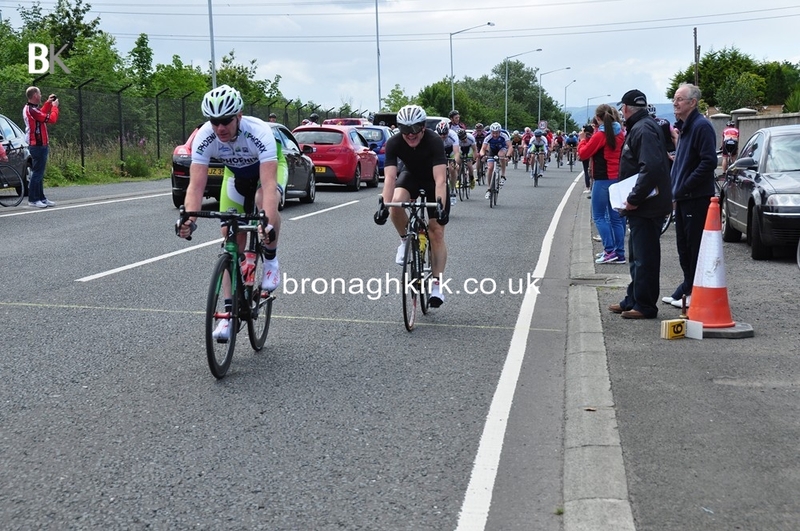 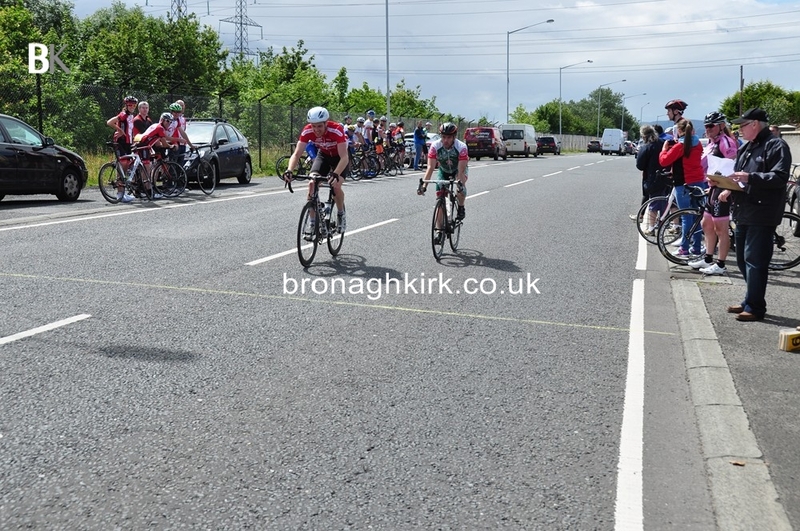 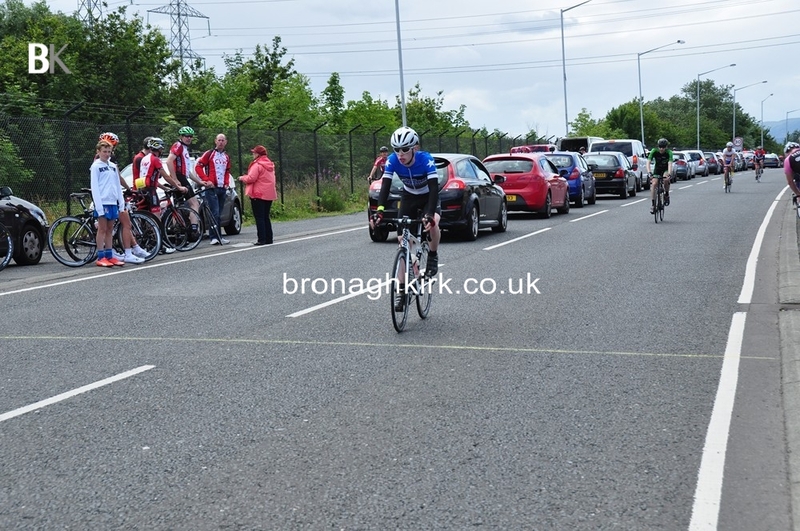 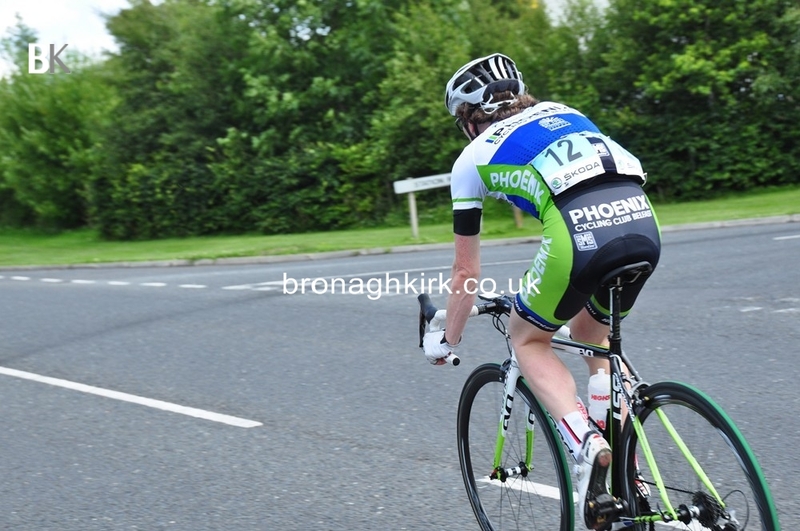 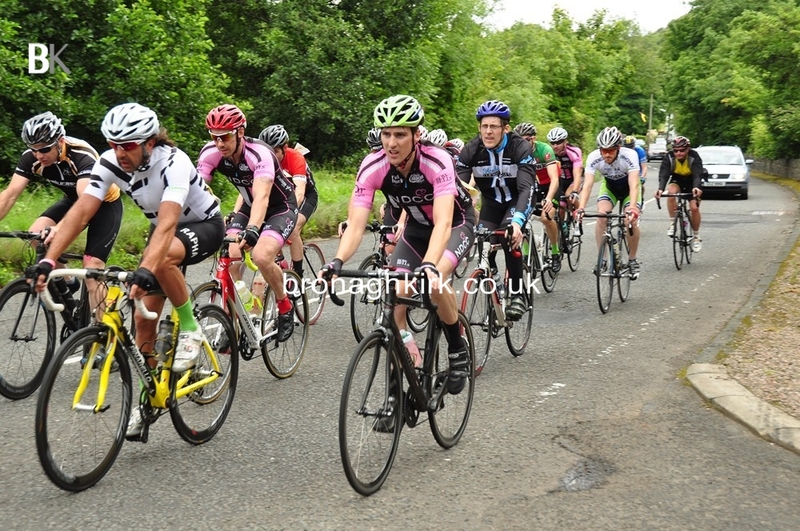 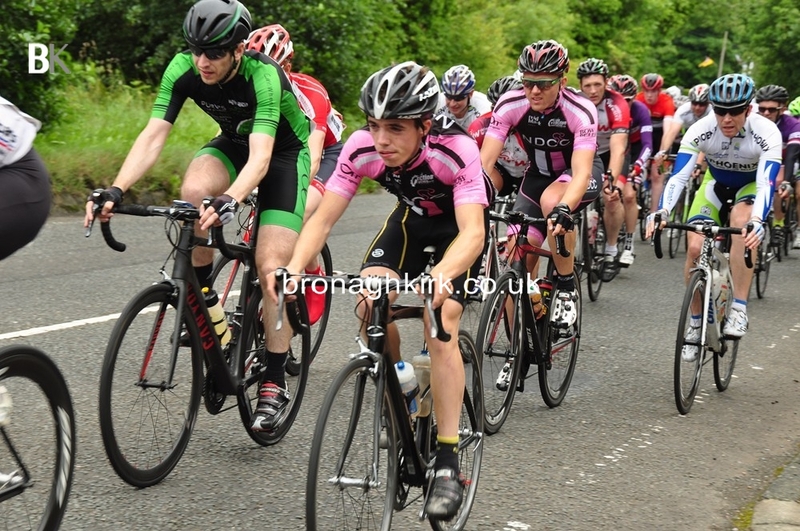 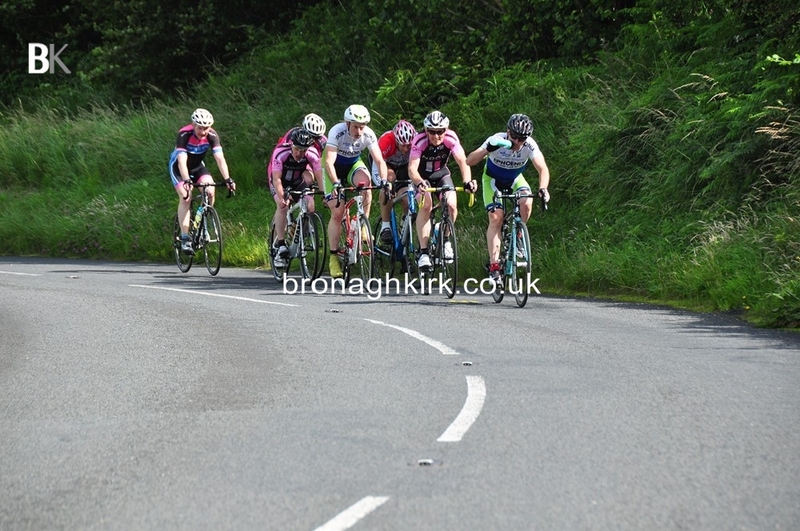 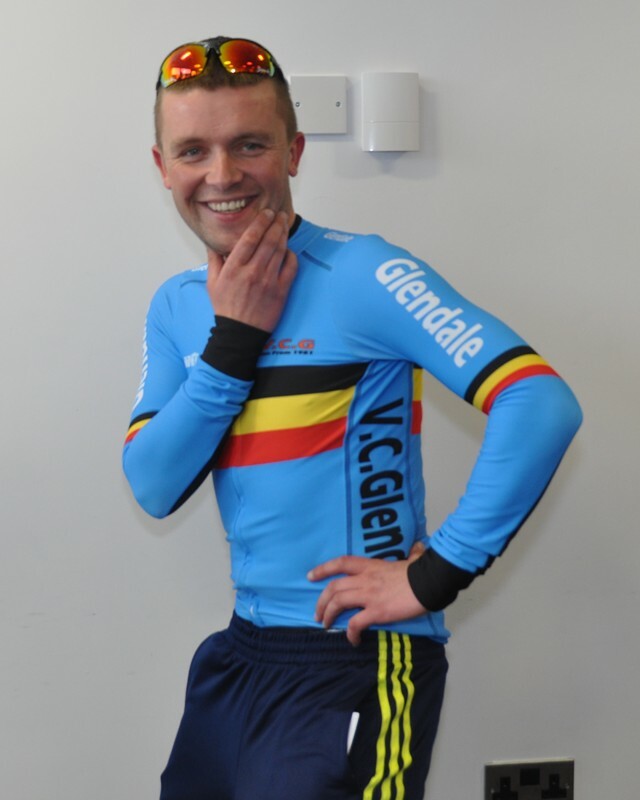 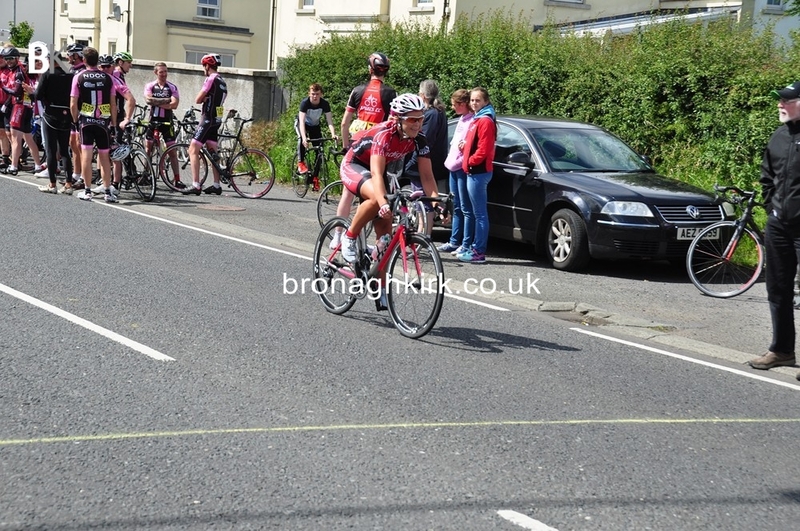 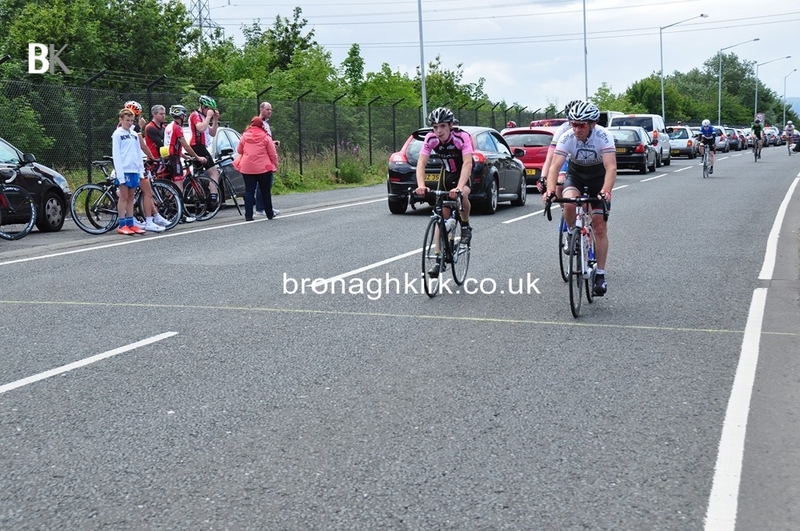 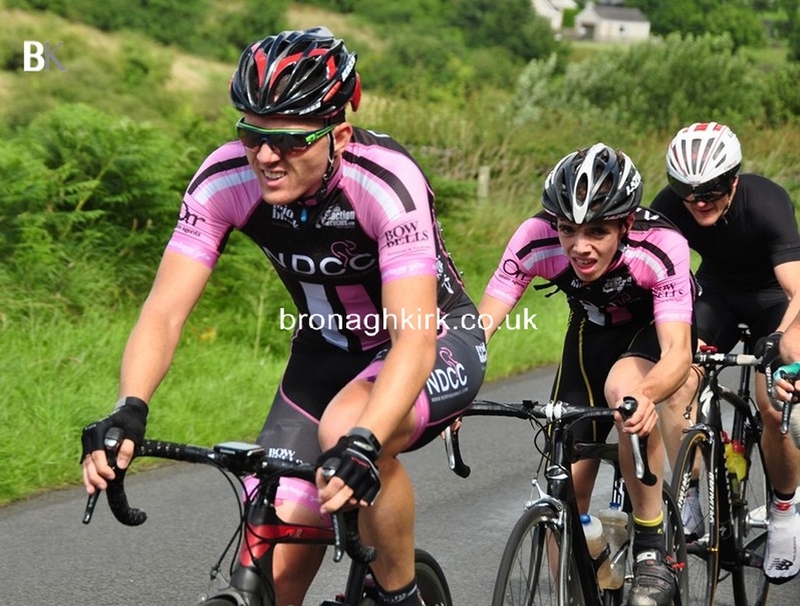 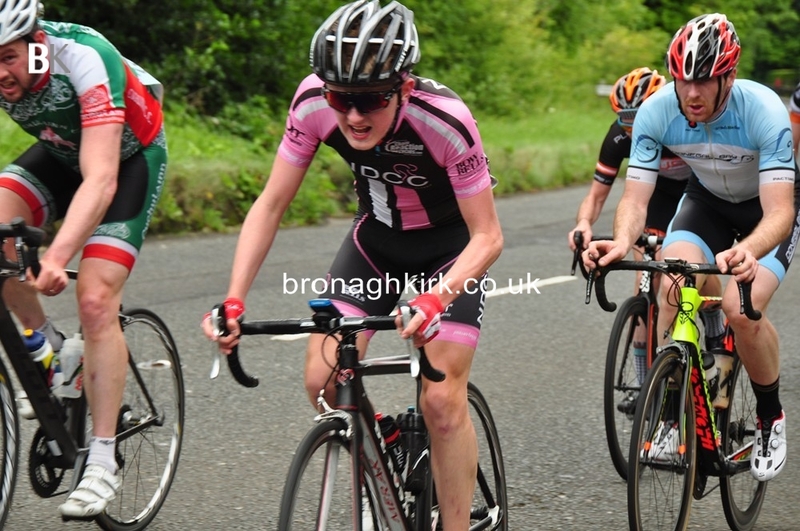 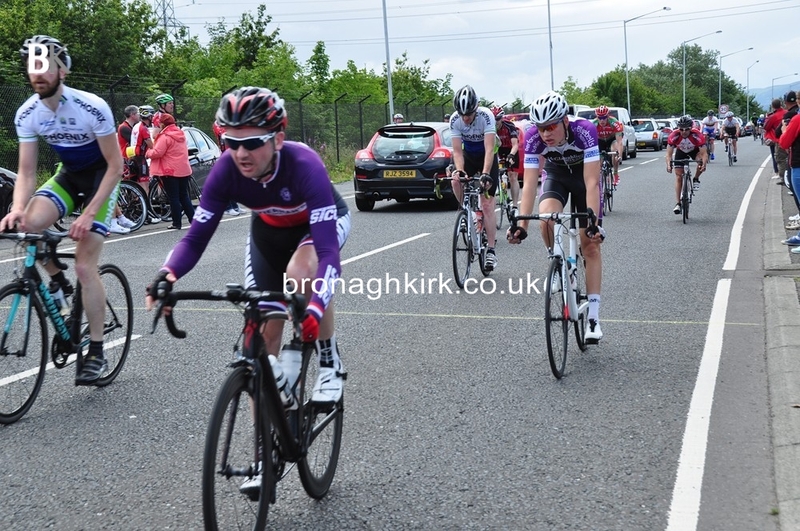 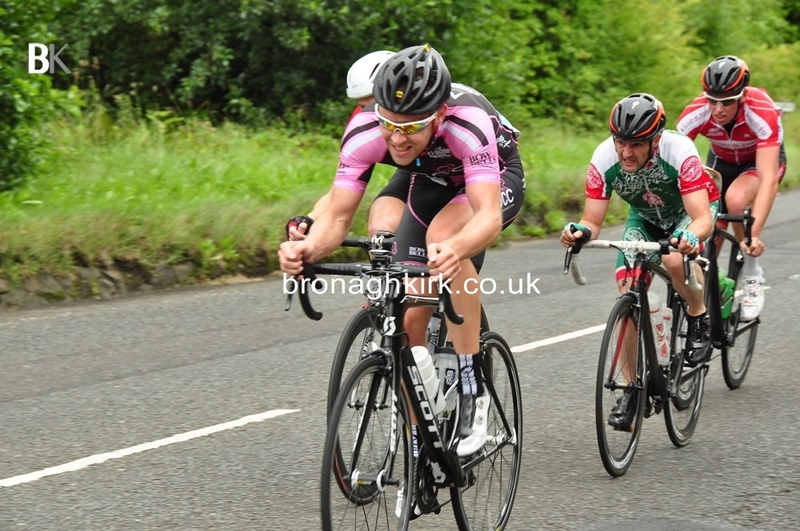 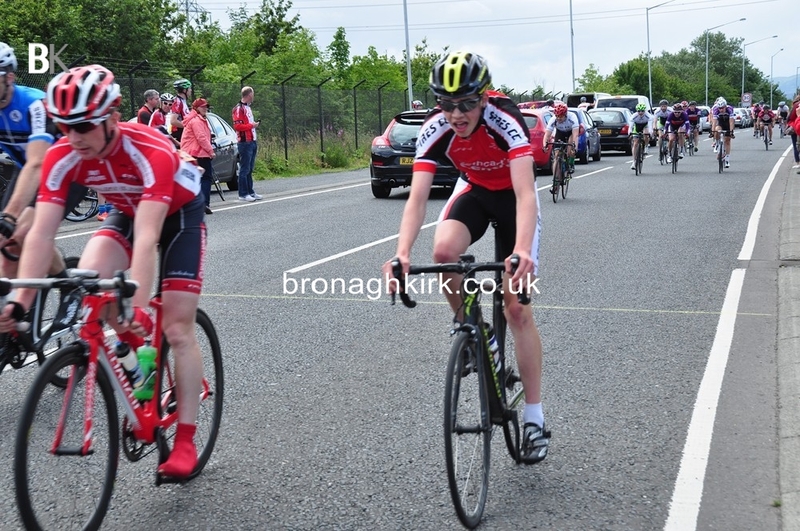 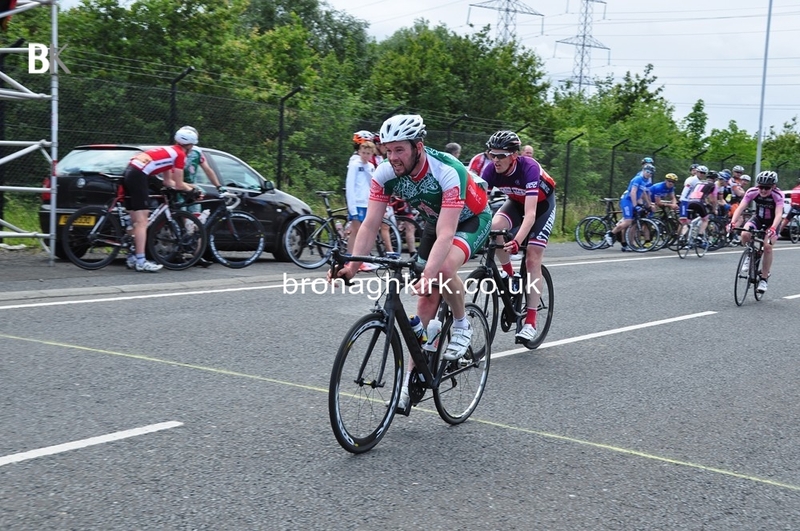 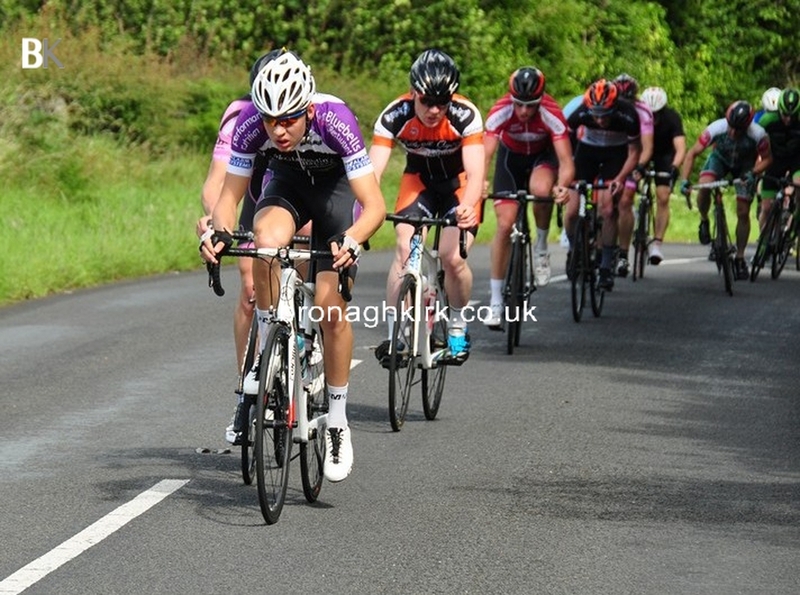 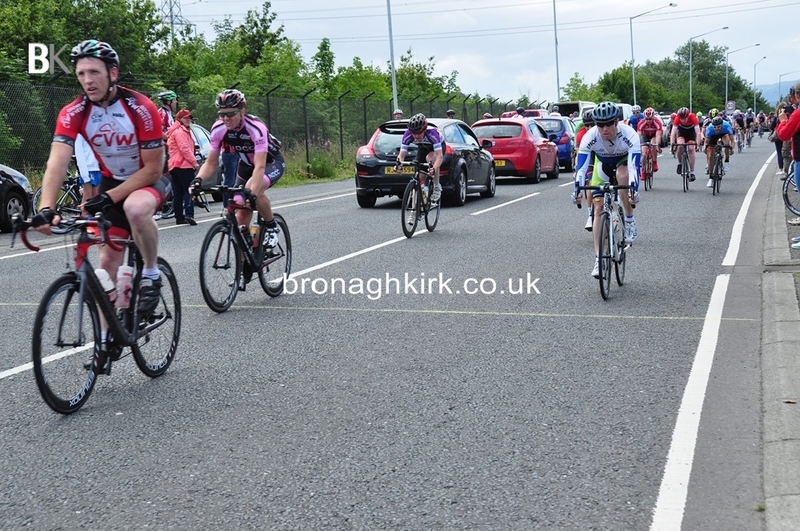 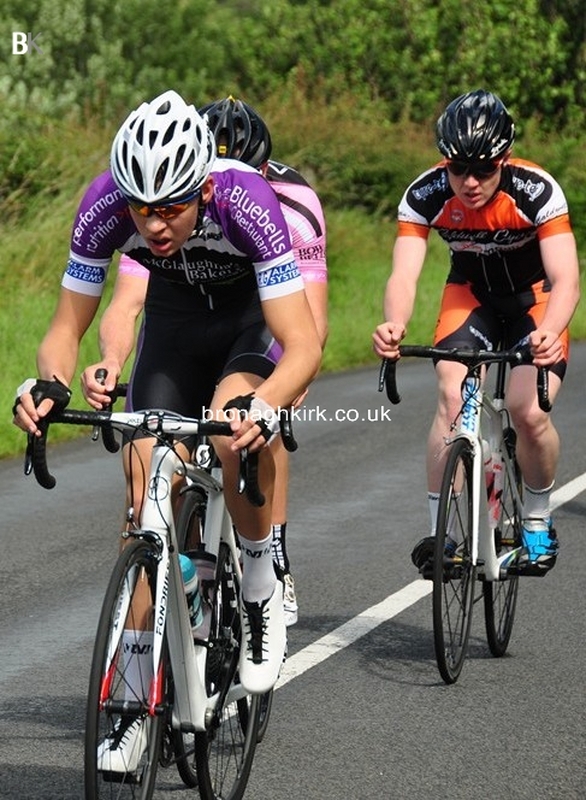 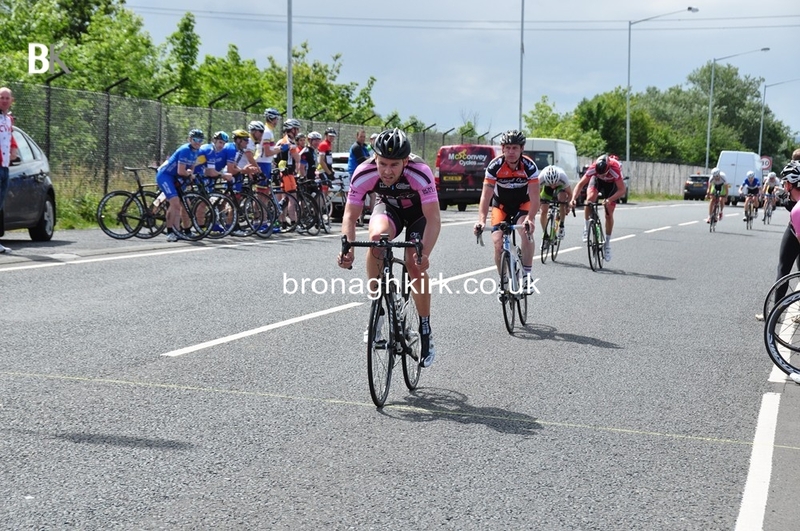 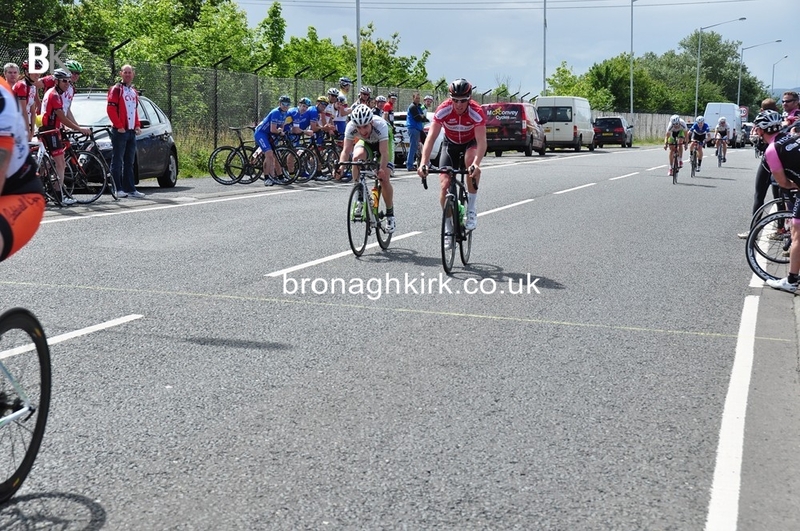 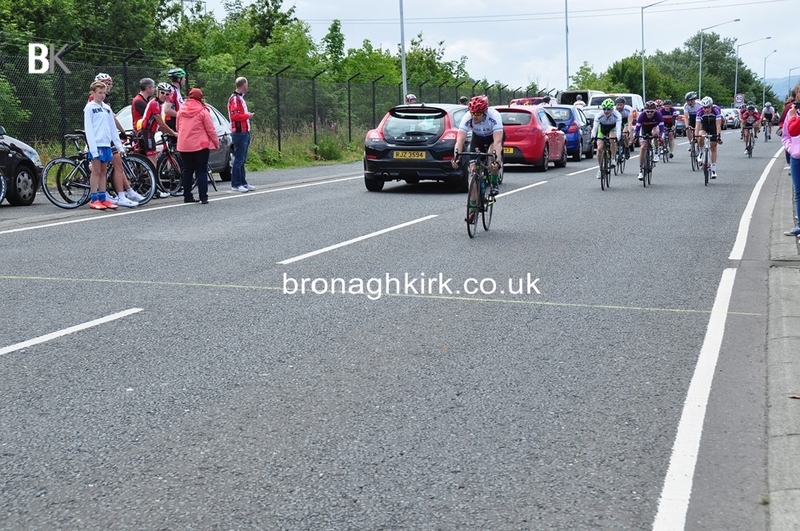 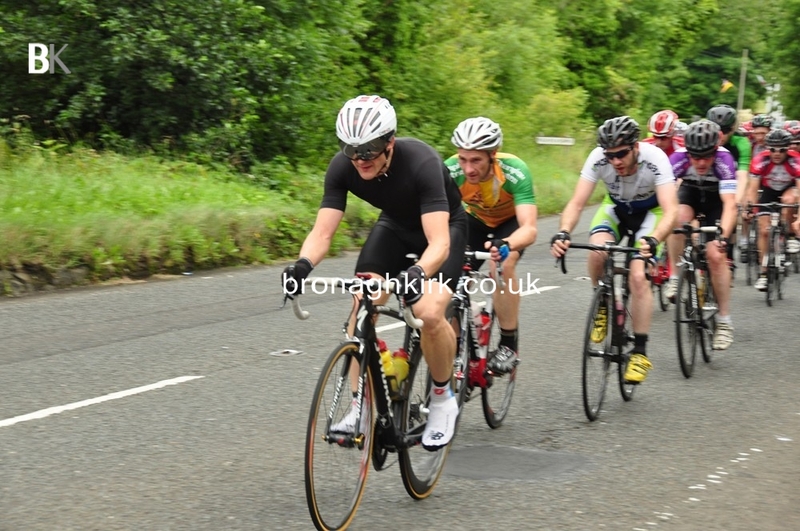 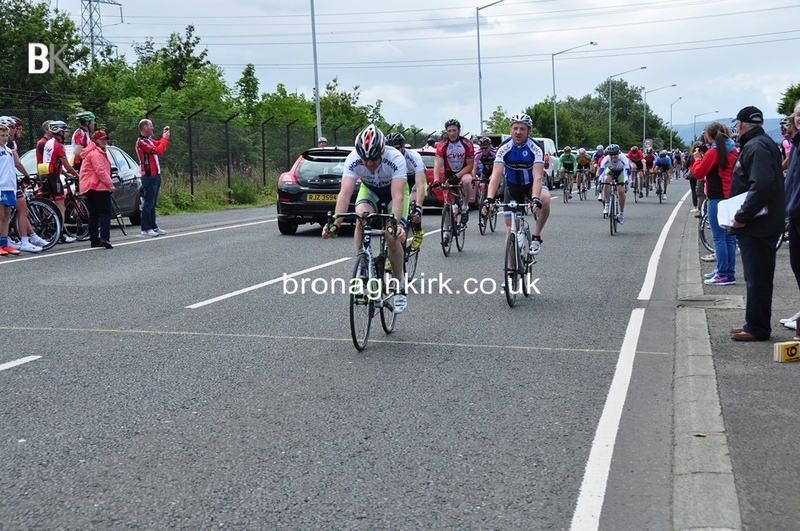 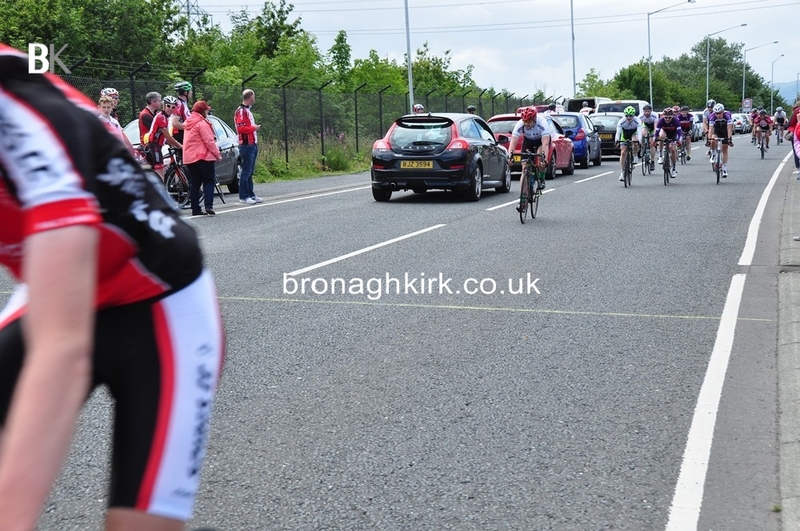 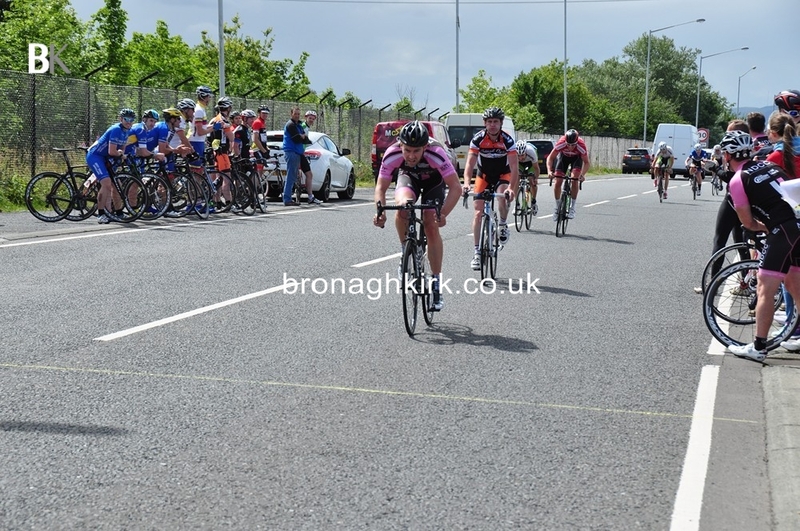 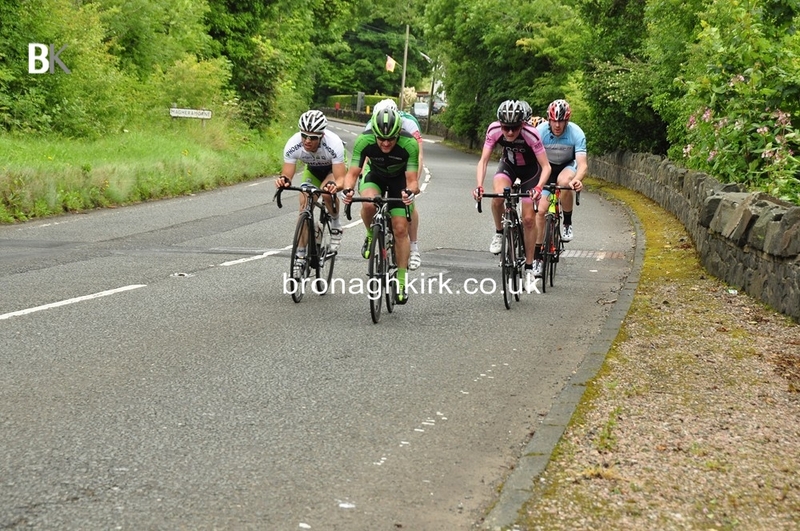 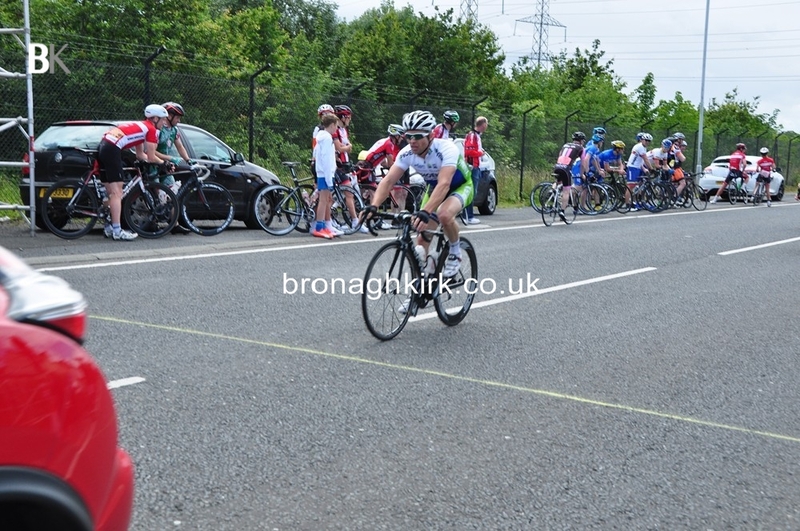 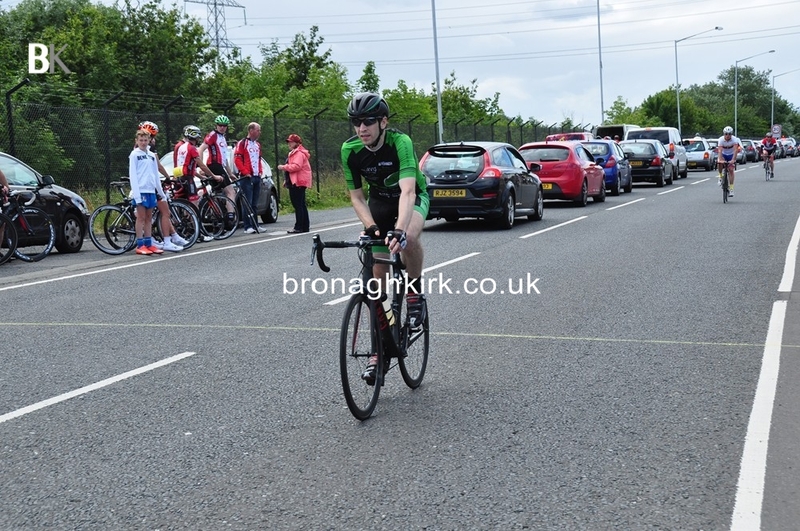 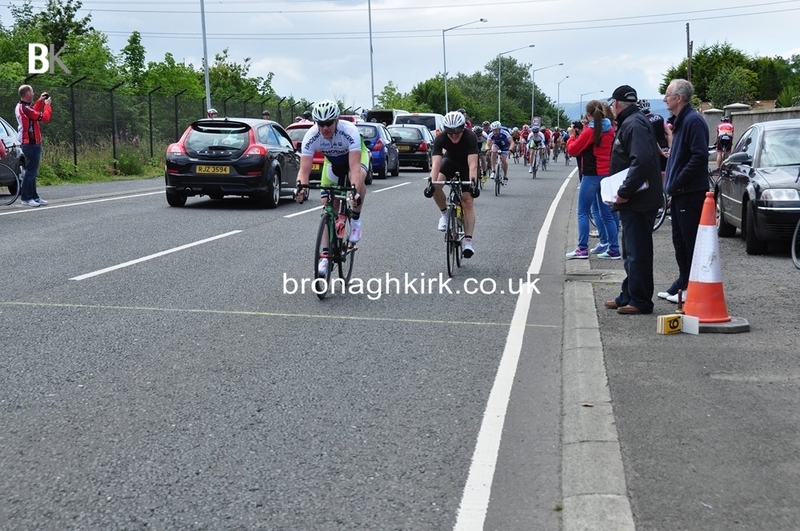 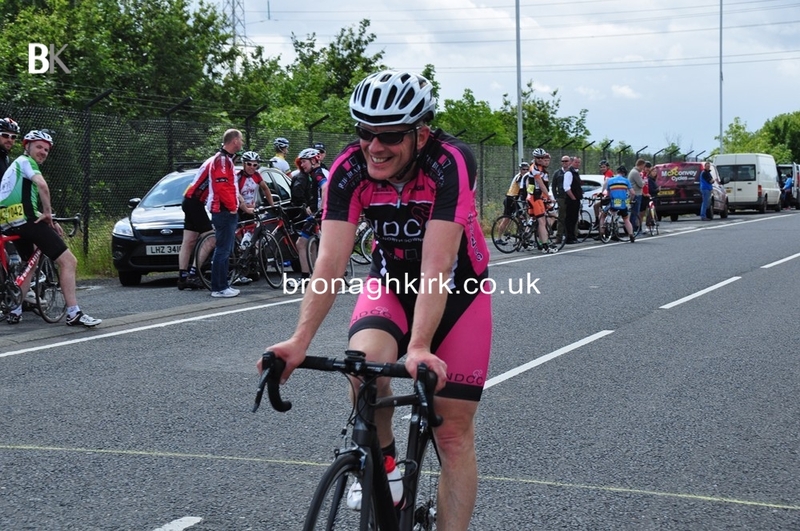 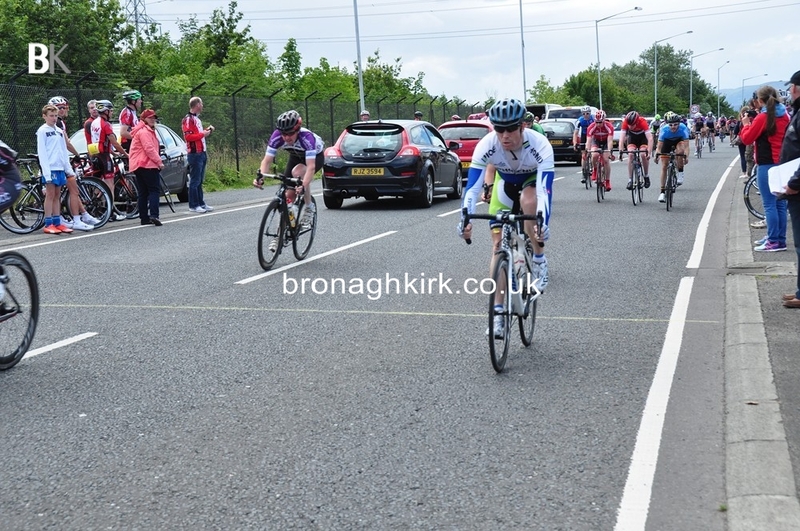 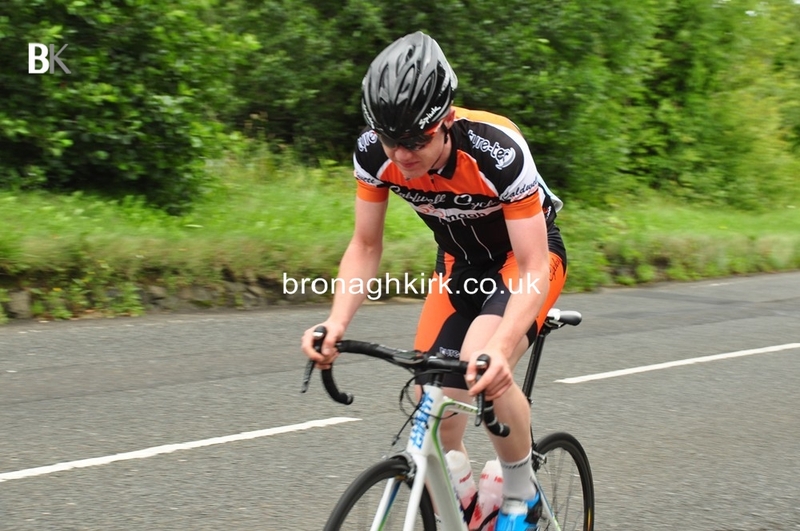 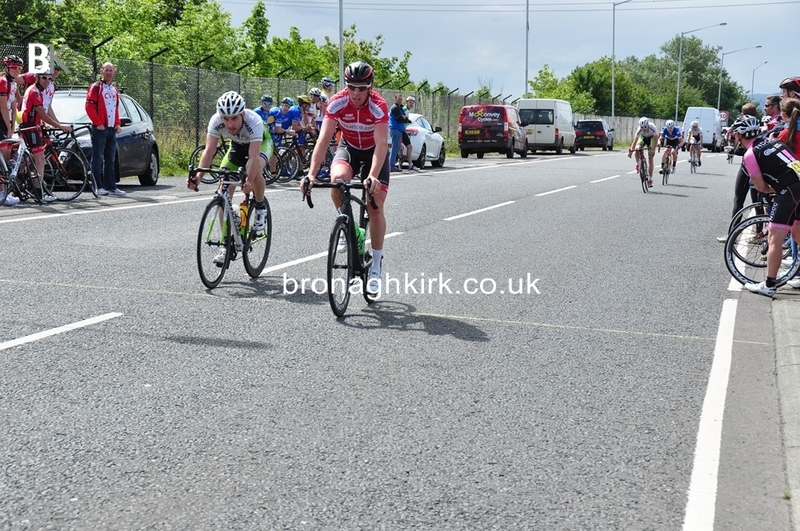 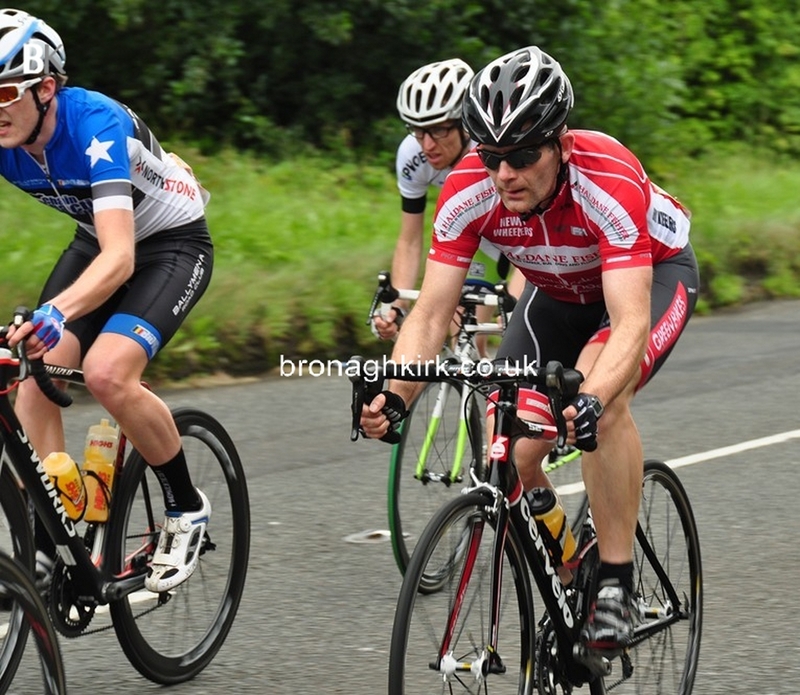 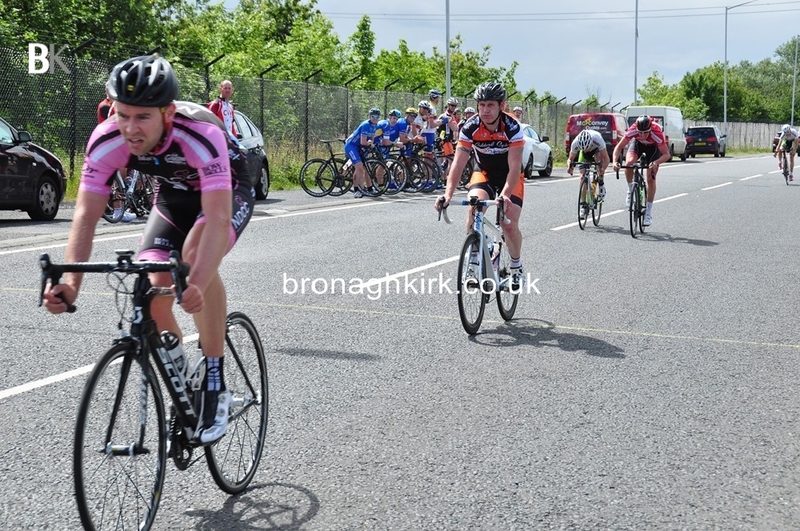 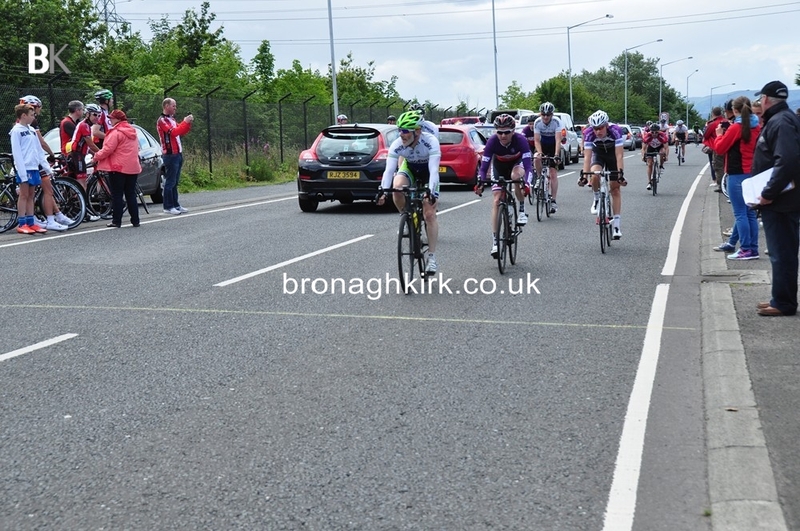 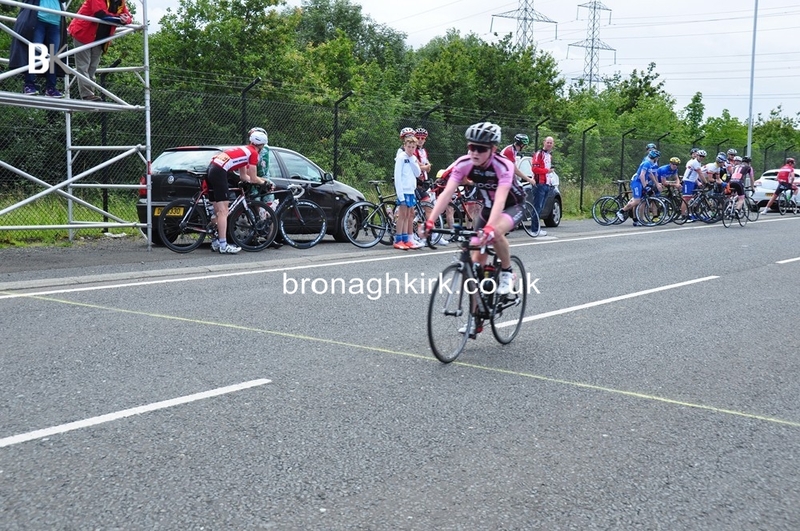 The latest VC Glendale recruit Sean McCorry (Sean Anthony) won the A4 race in a bunch sprint. 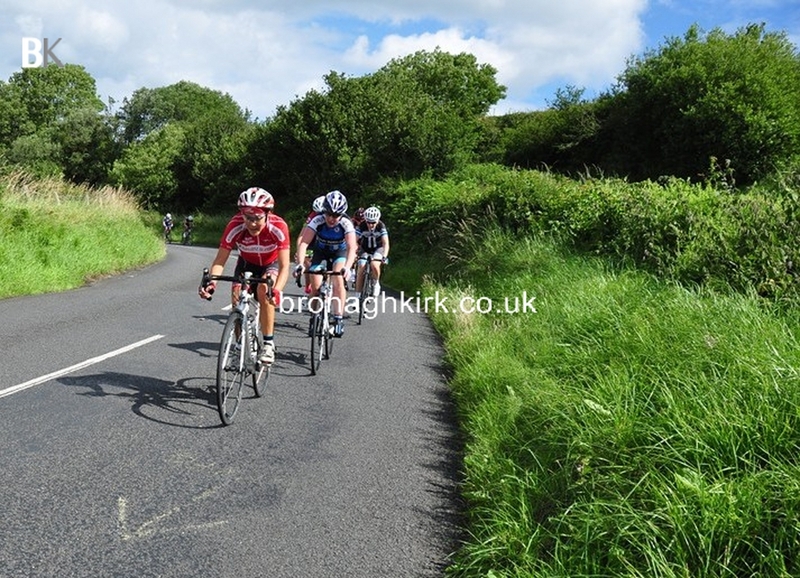 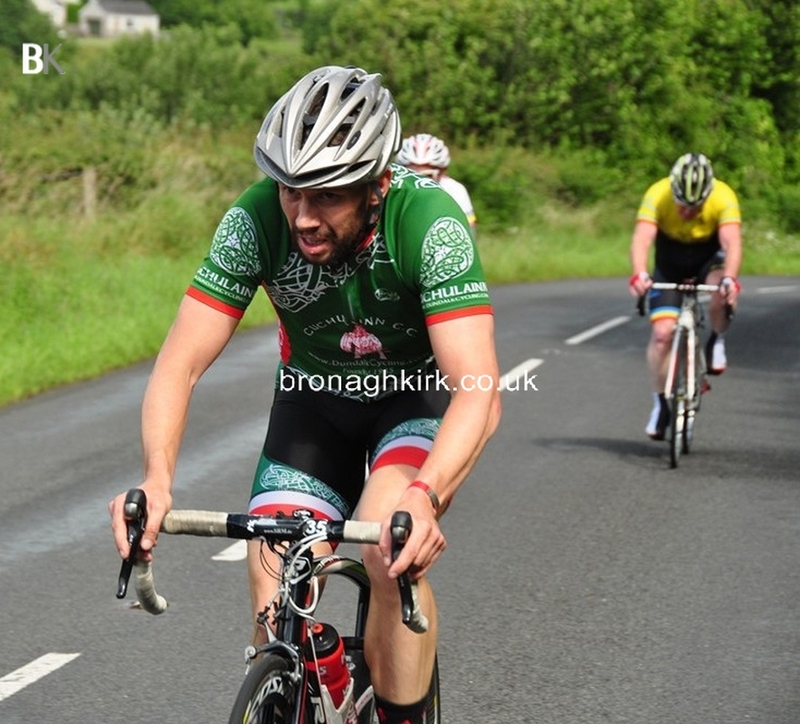 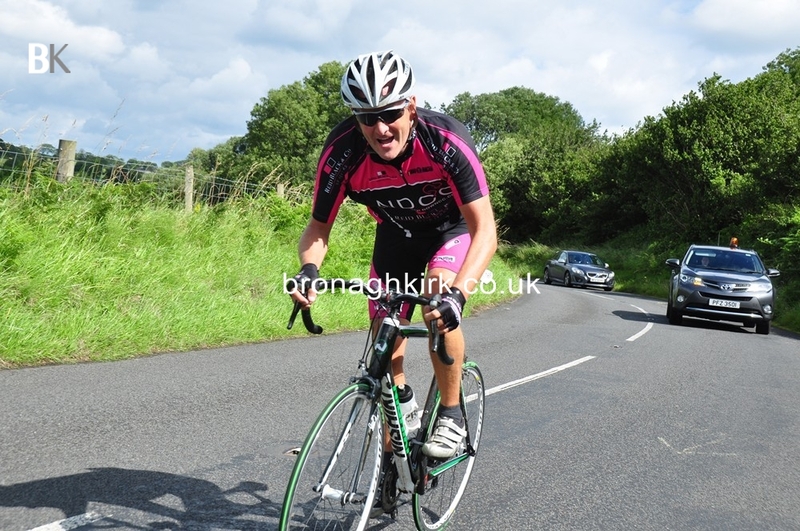 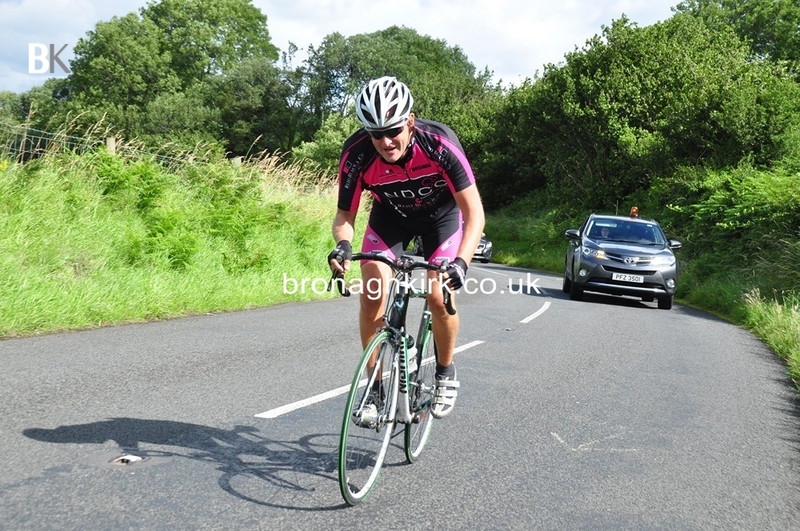 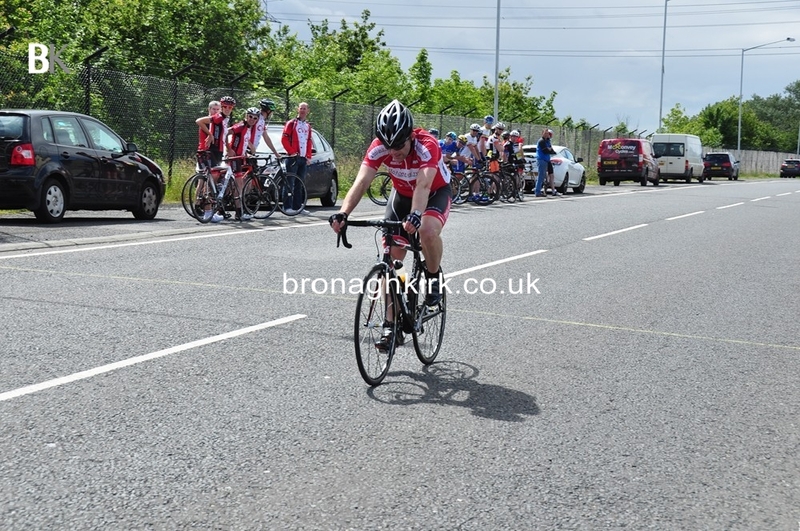 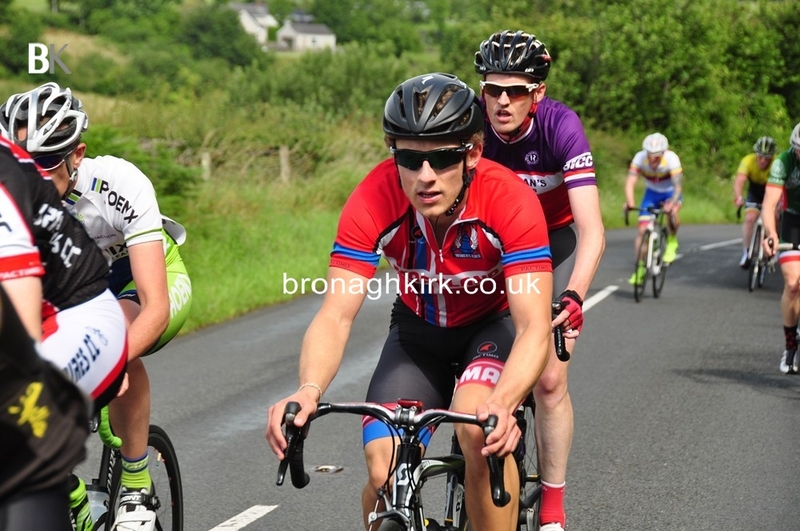 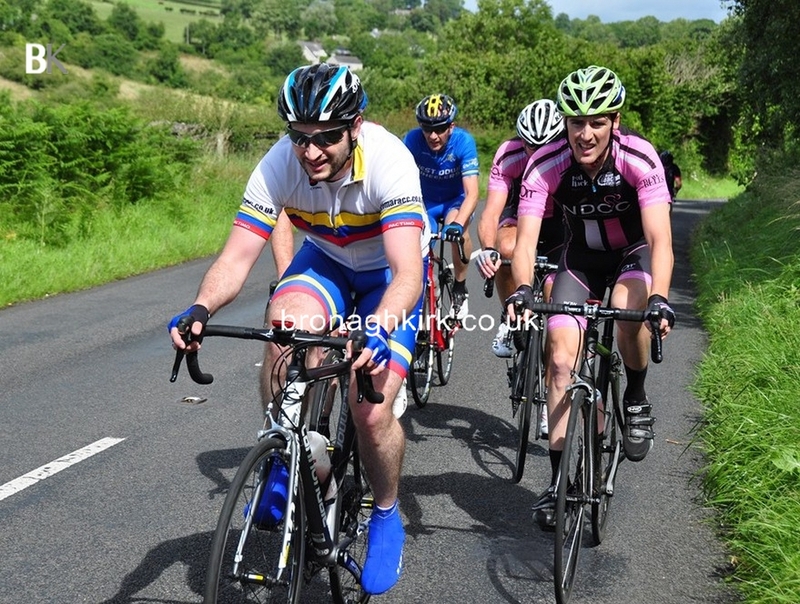 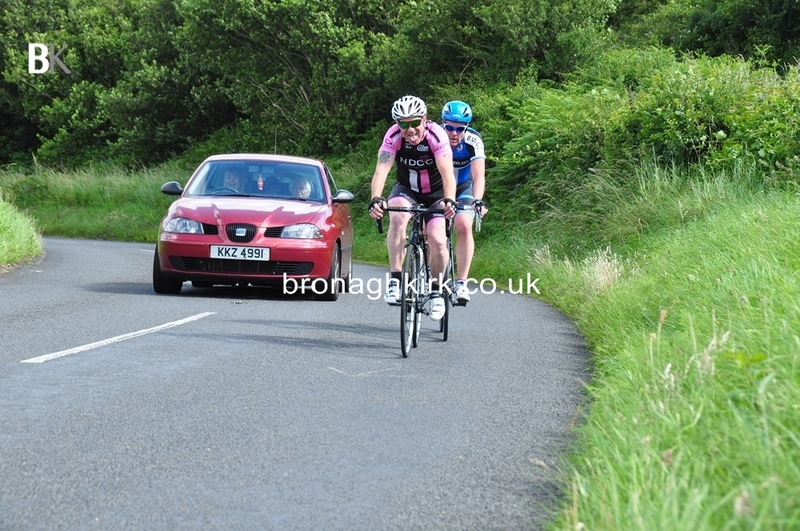 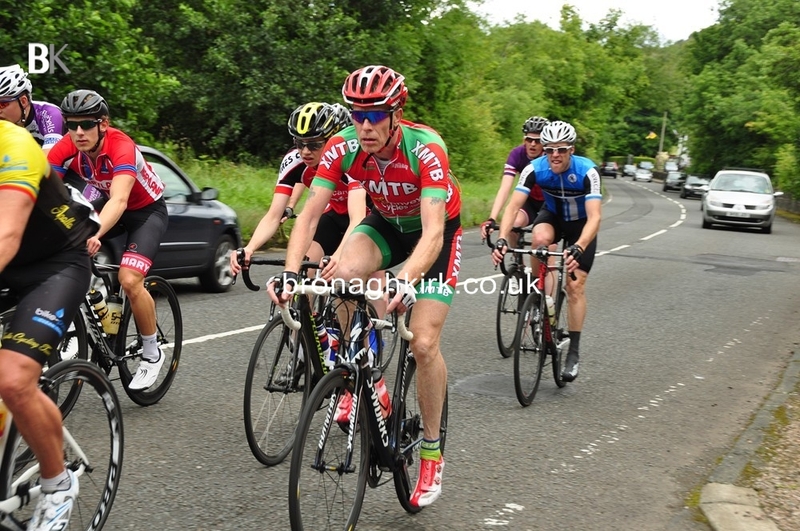 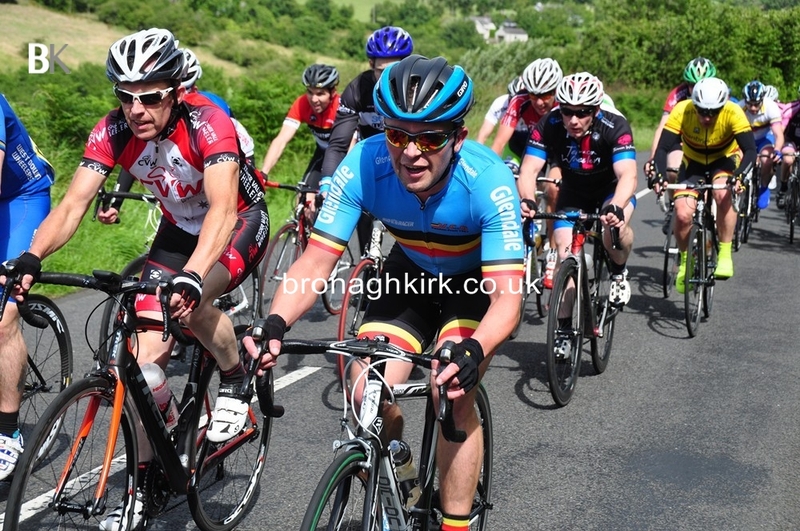 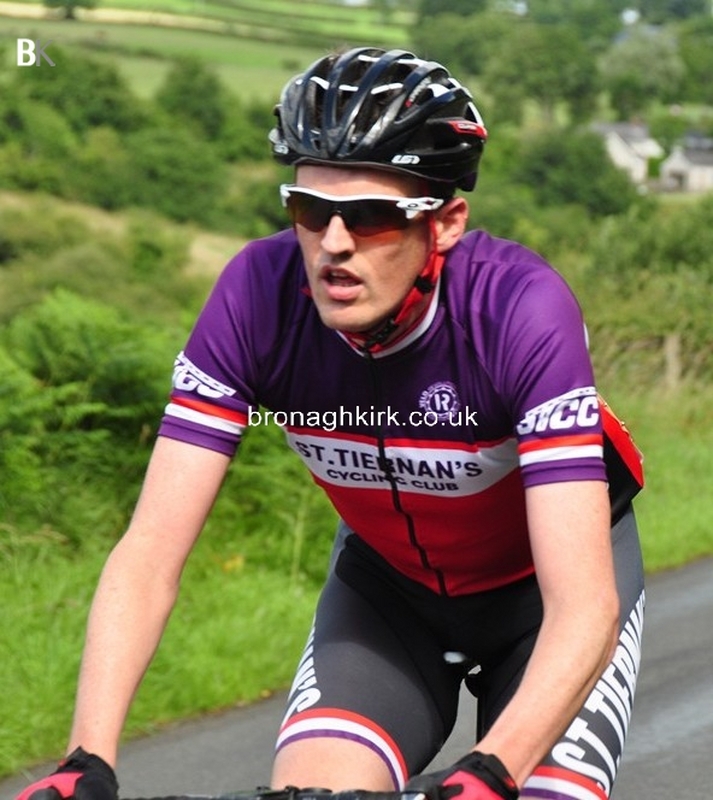 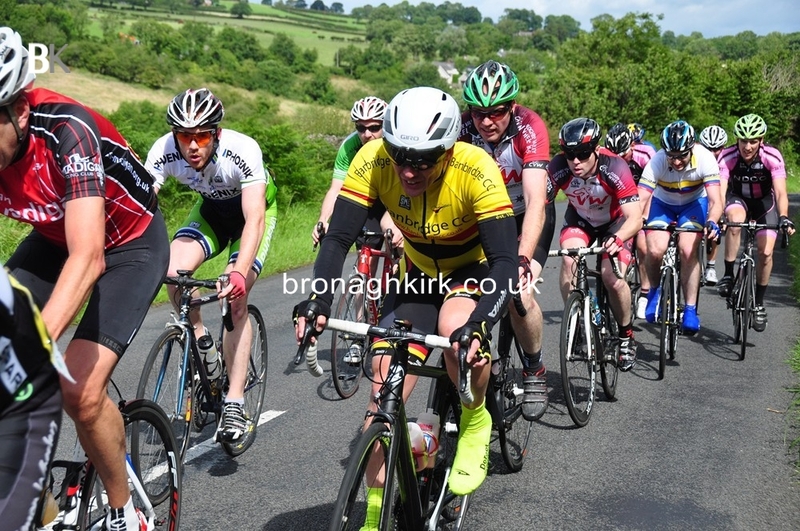 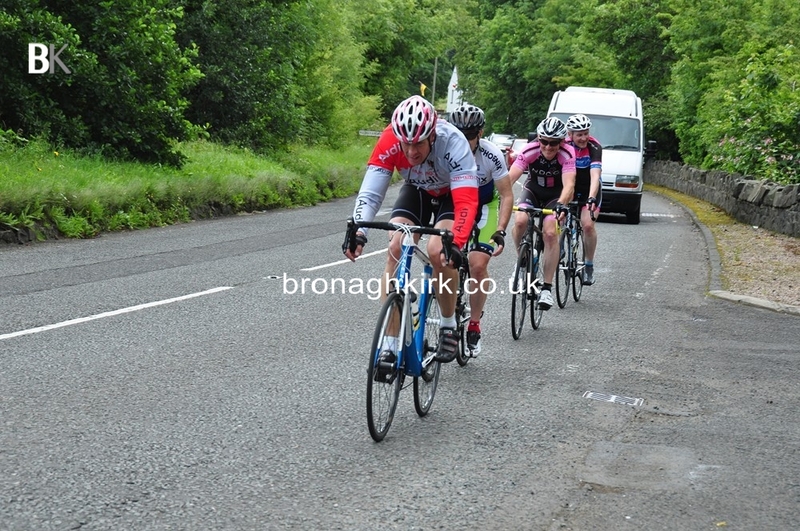 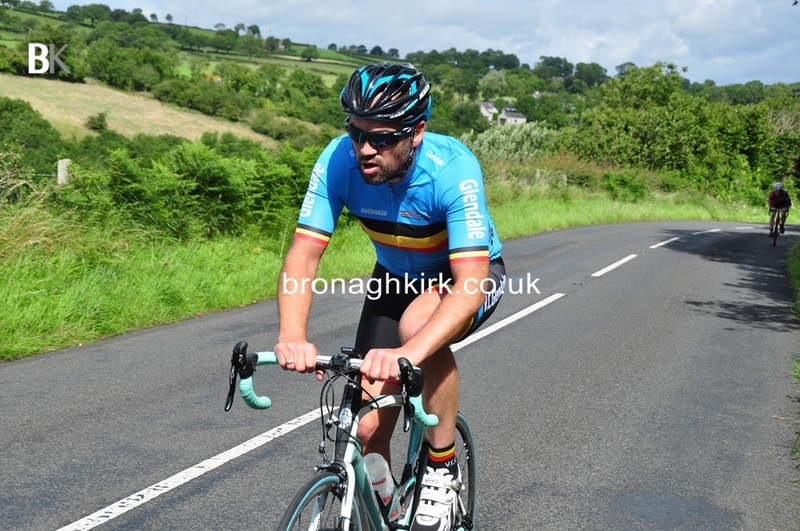 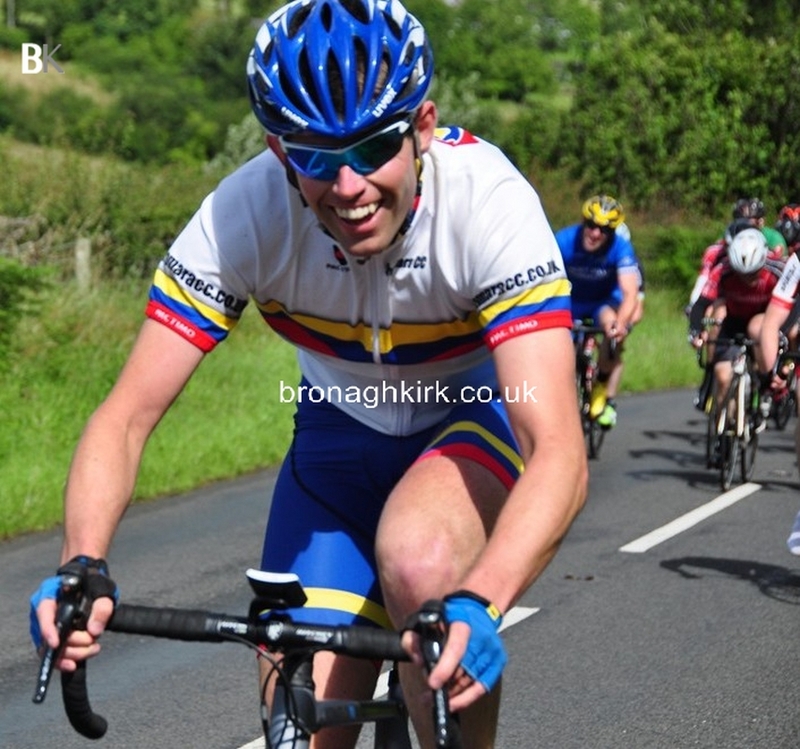 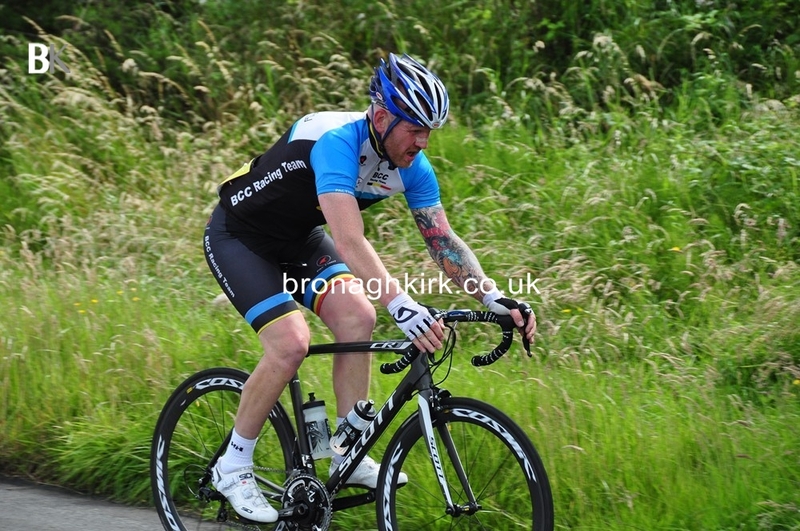 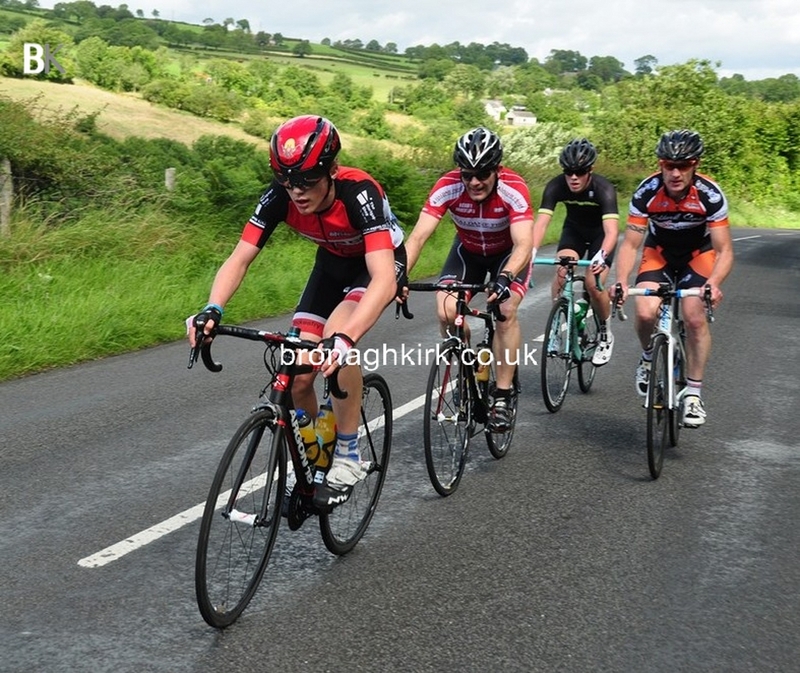 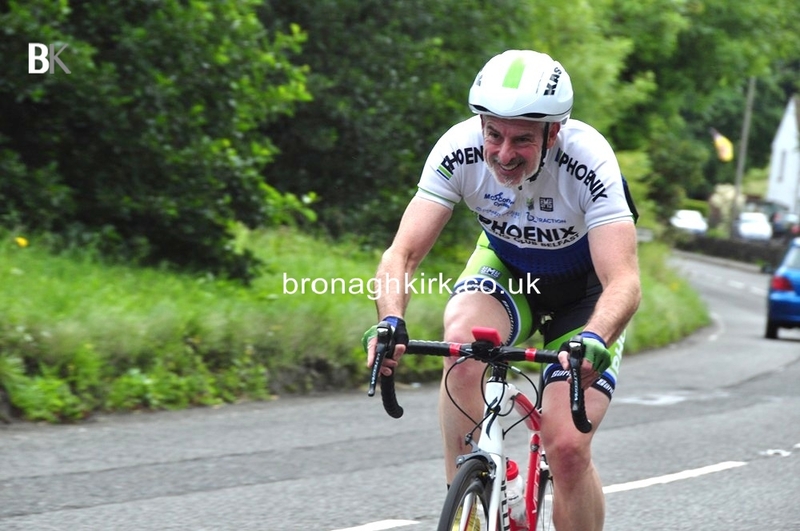 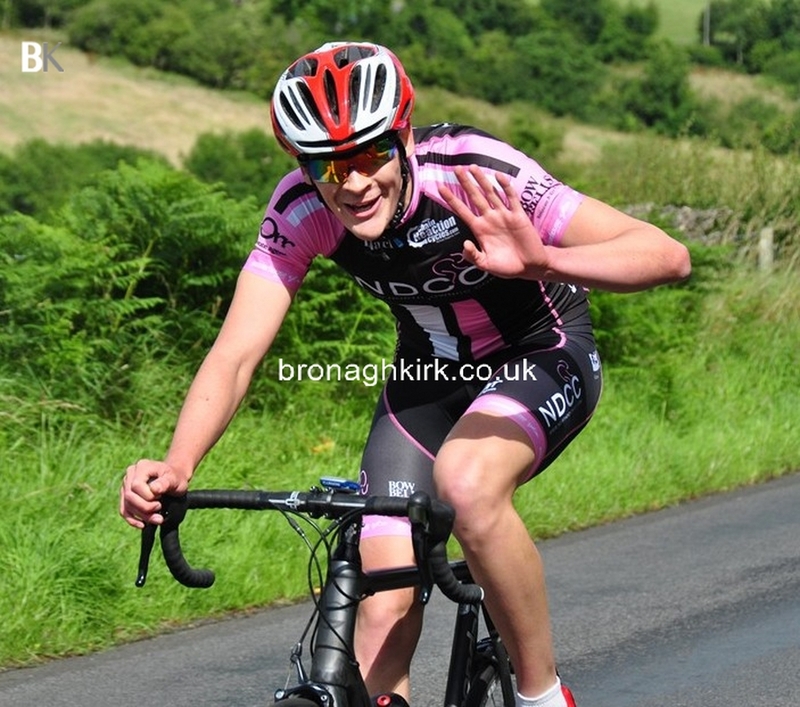 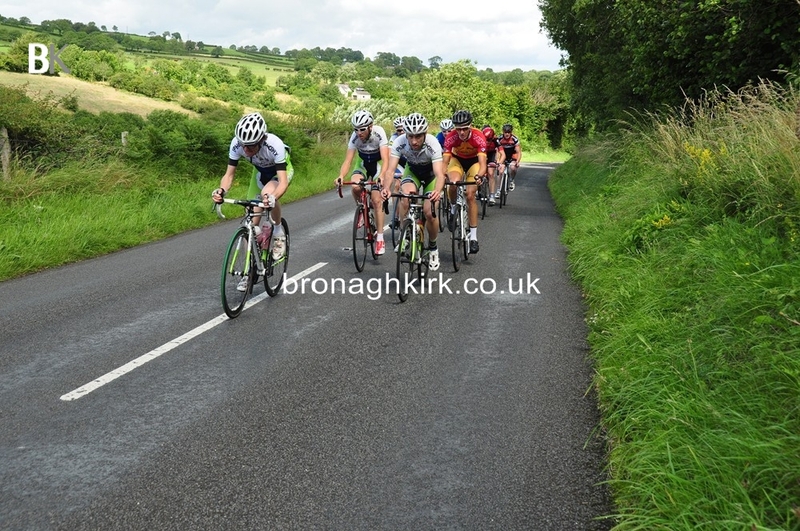 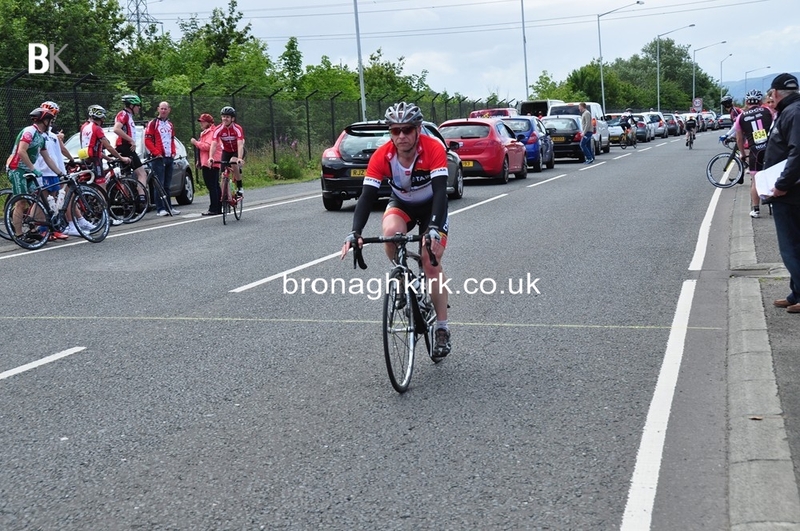 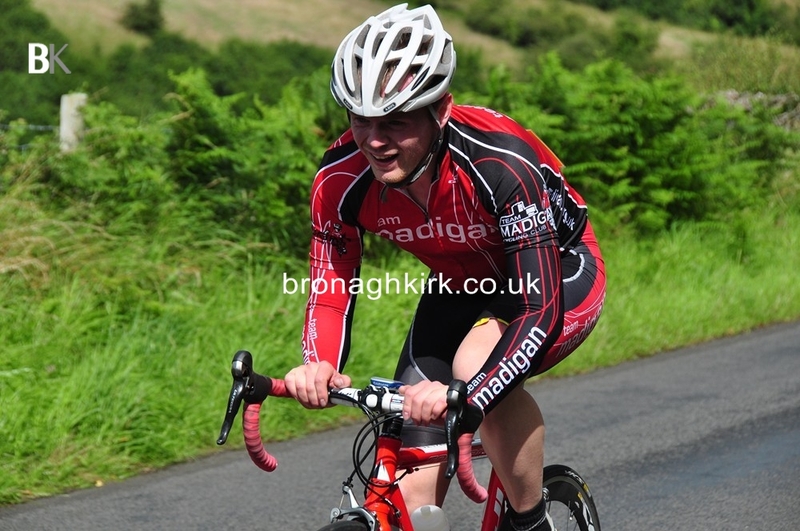 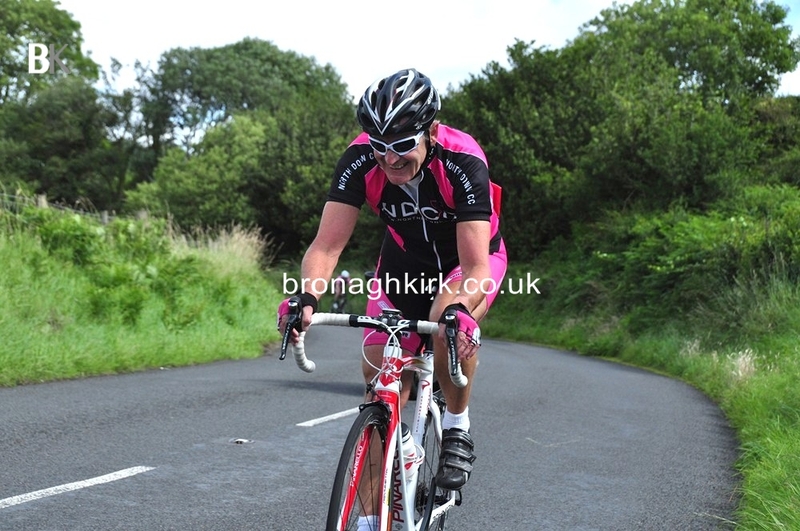 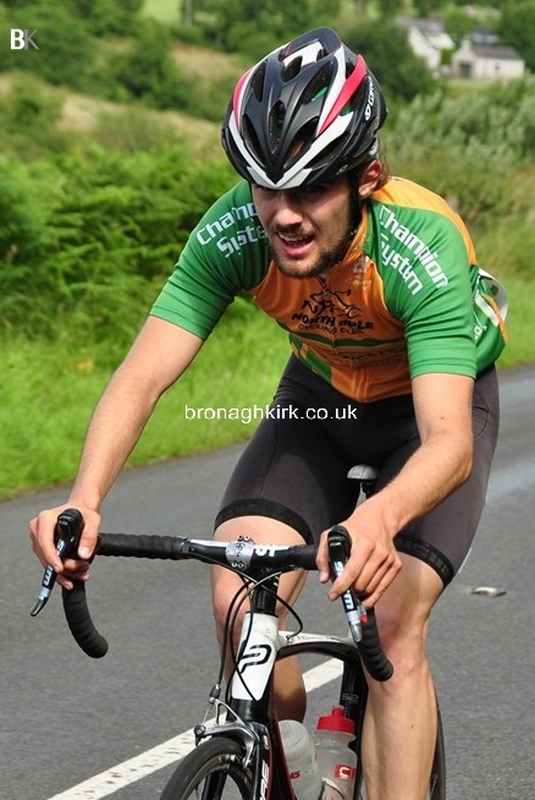 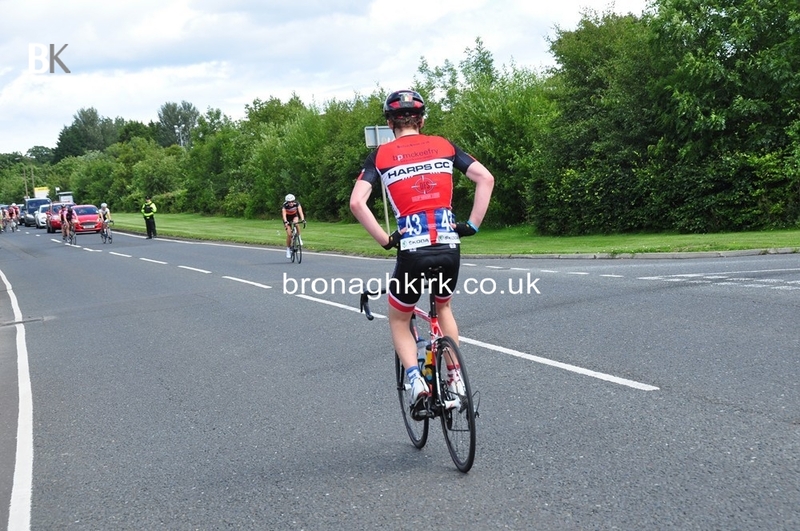 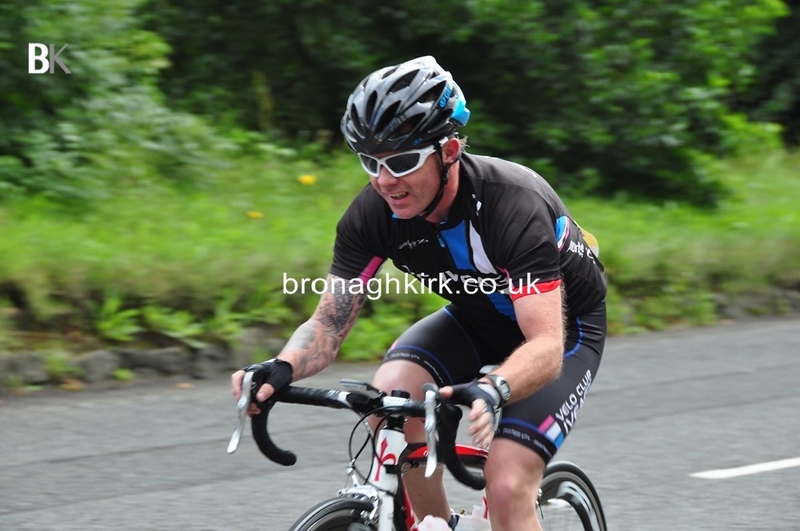 Adam Leach (North Down CC) won the King of the Hills prime on the first of the two 18 mile hilly laps. 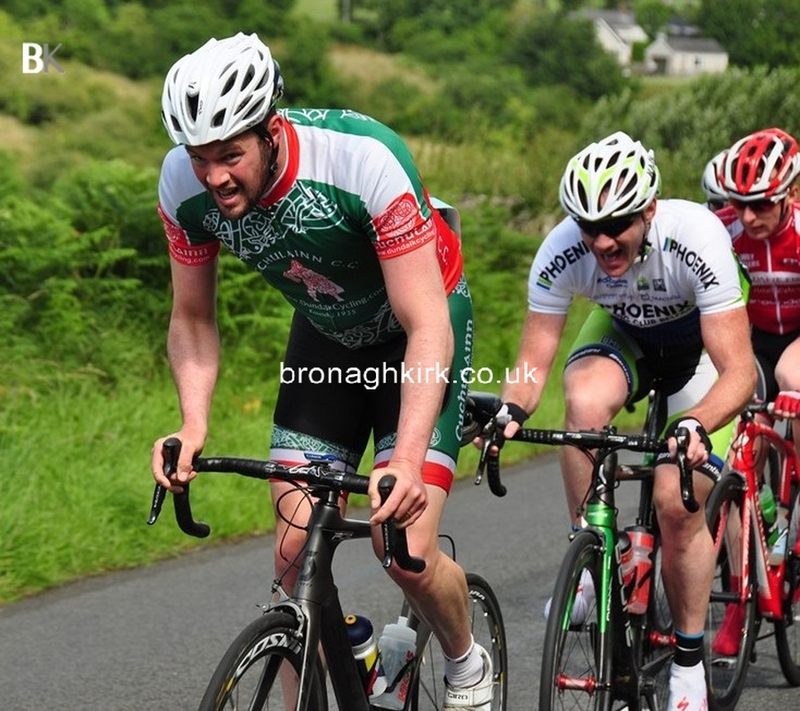 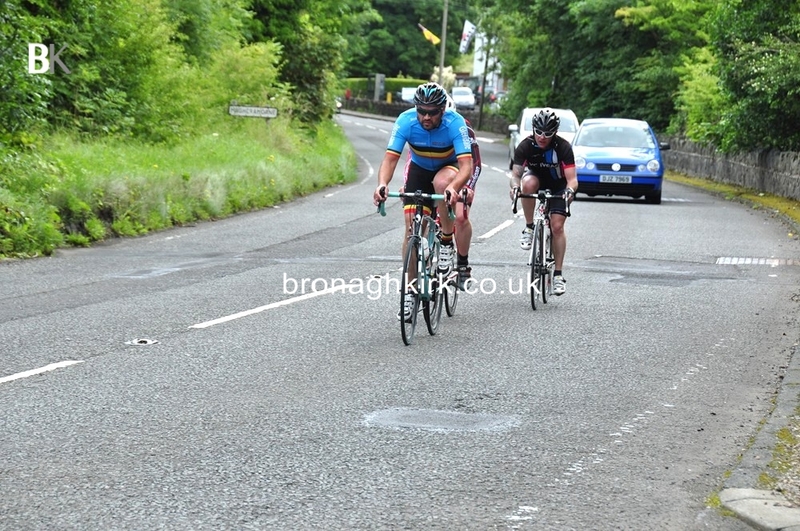 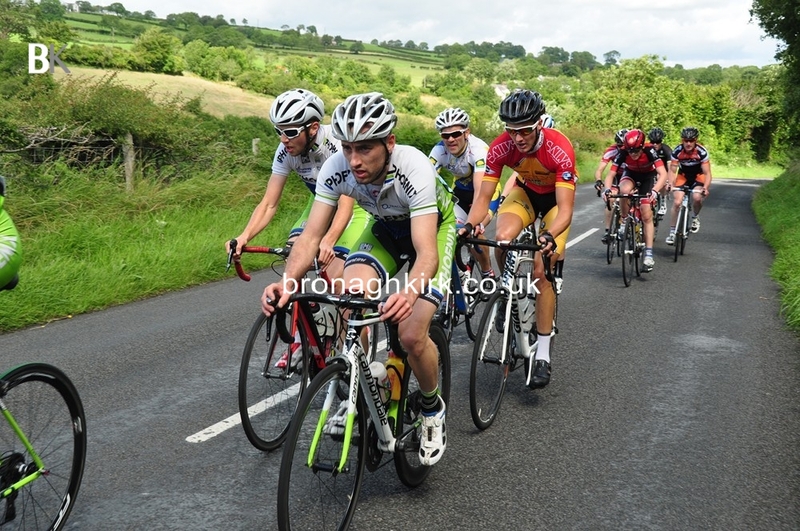 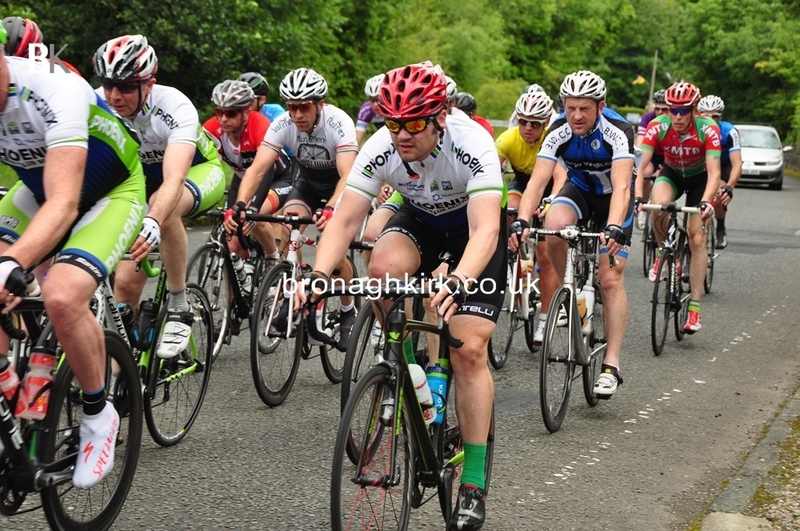 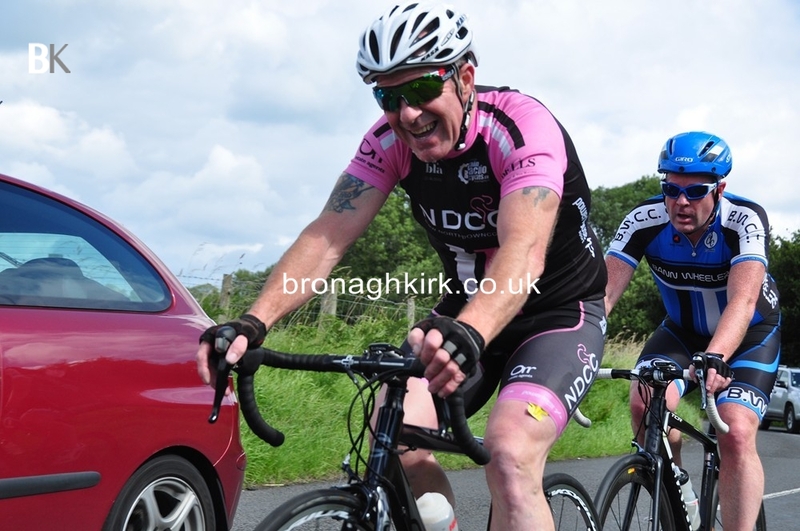 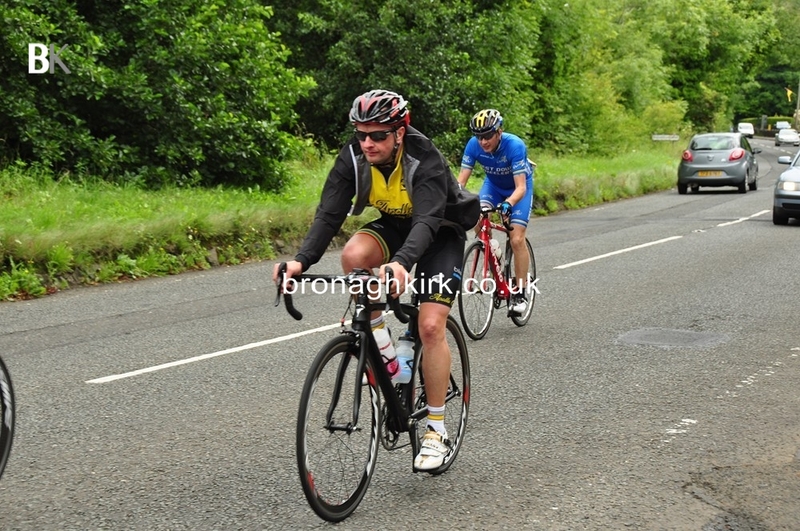 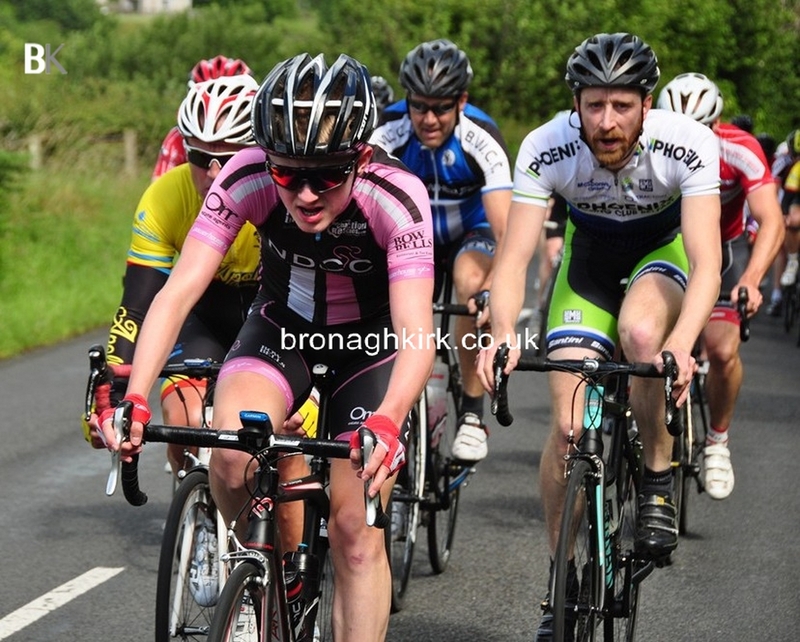 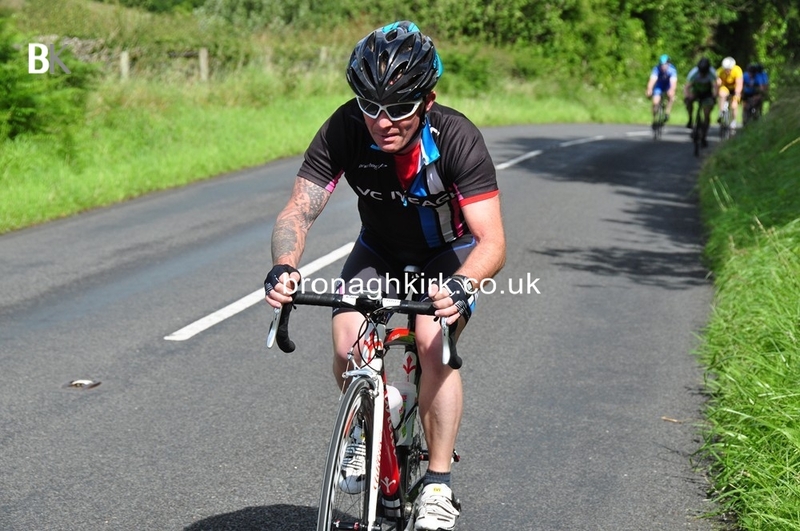 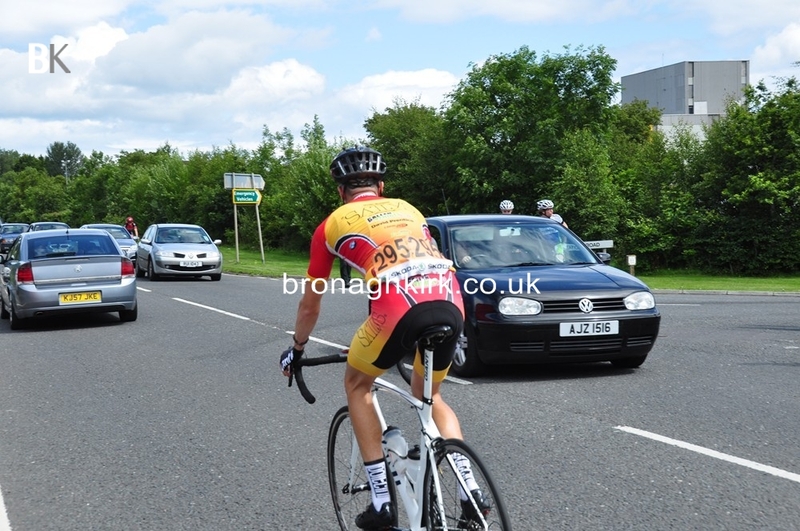 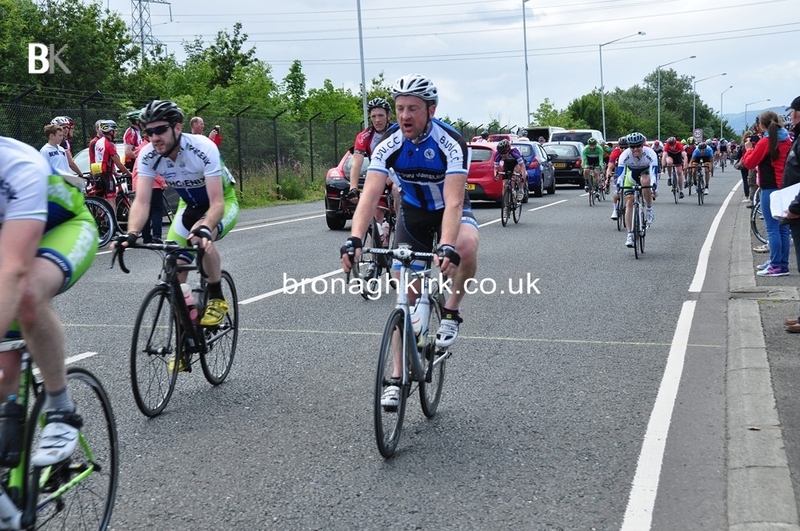 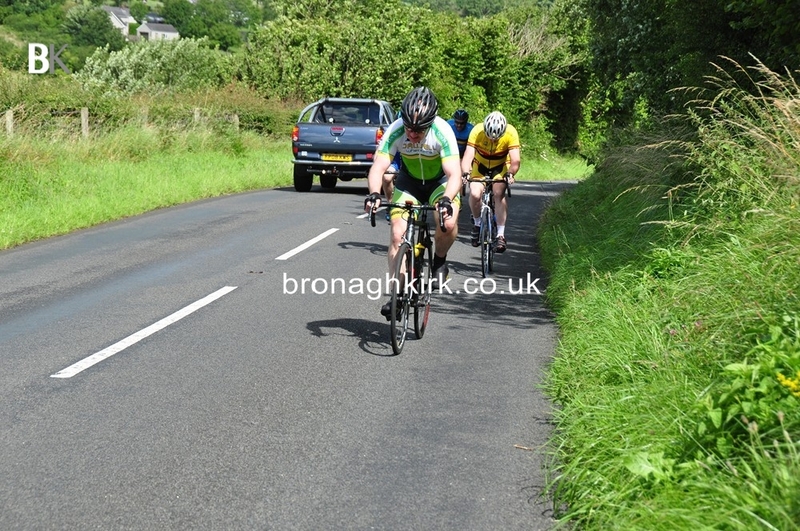 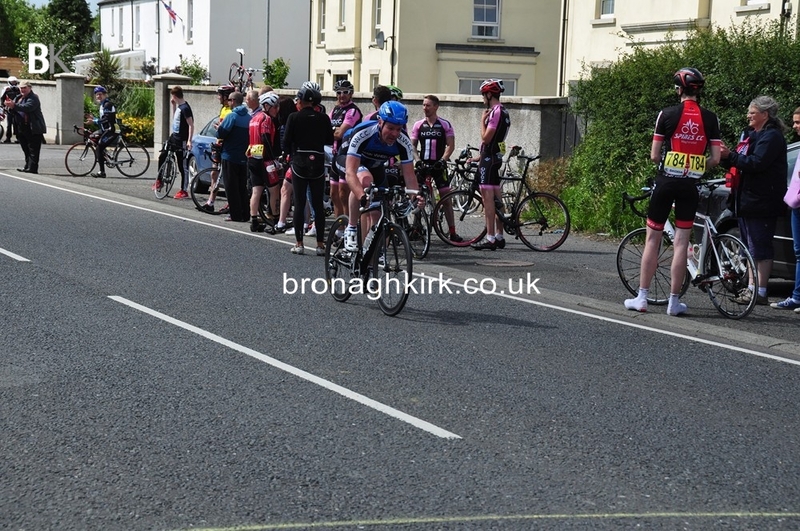 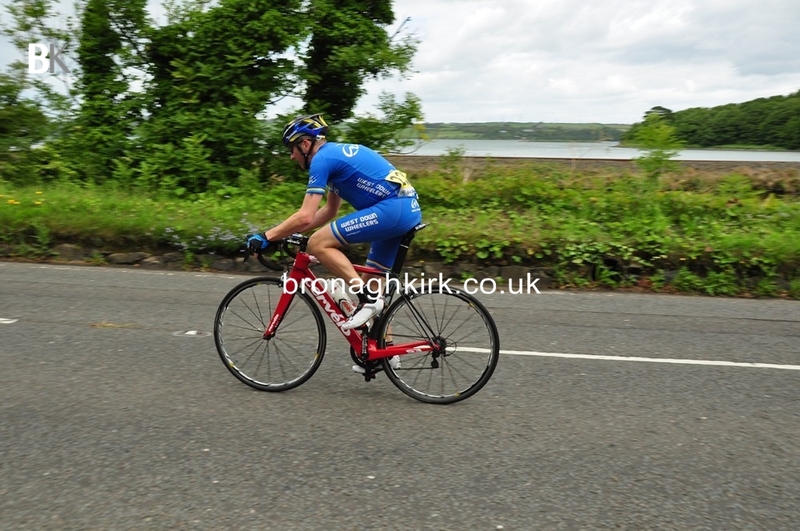 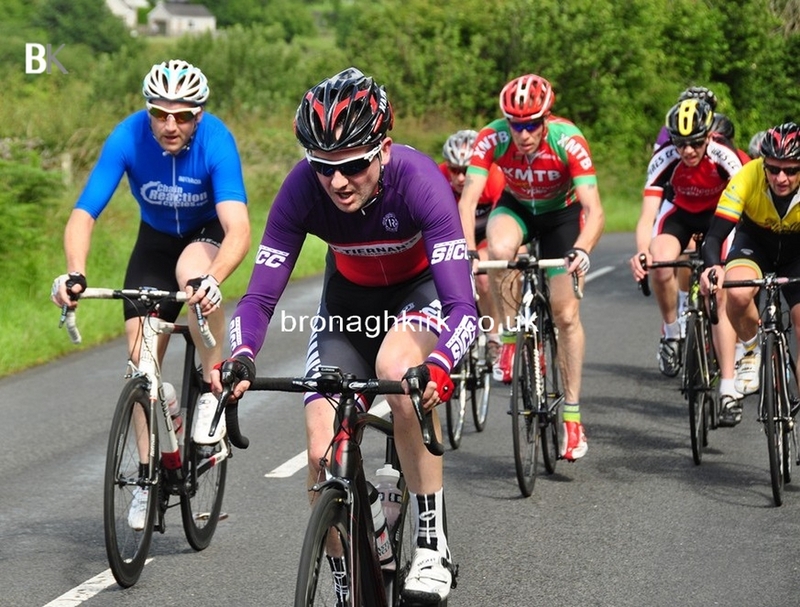 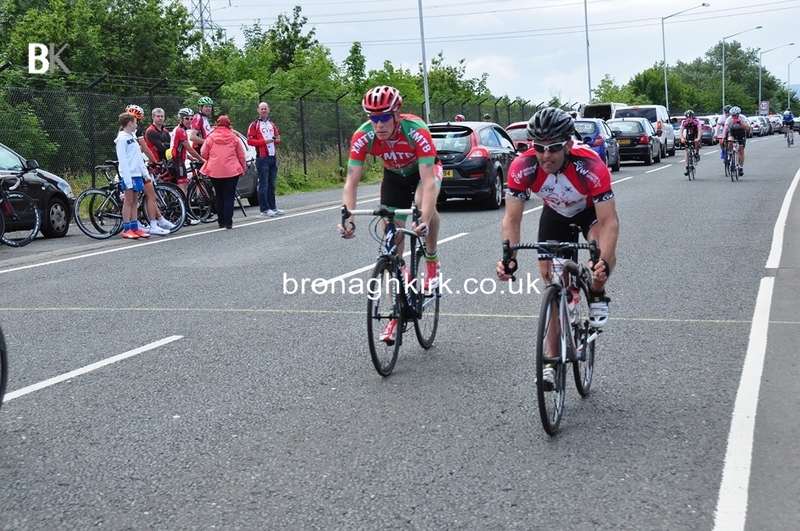 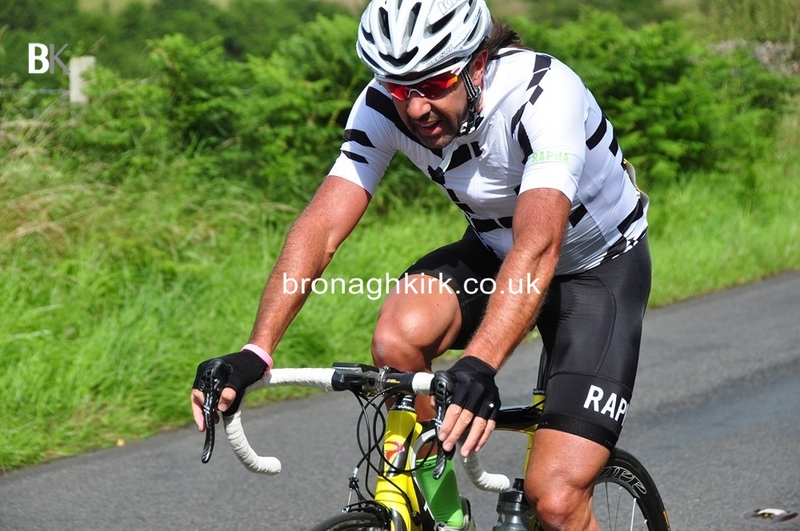 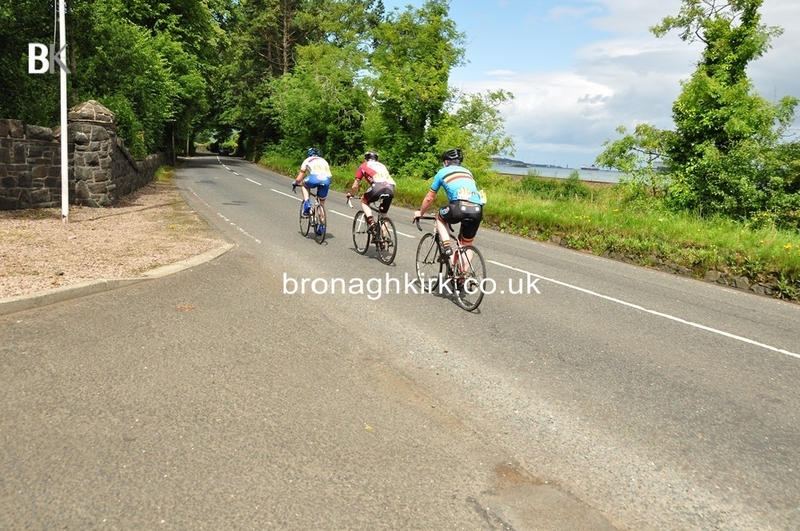 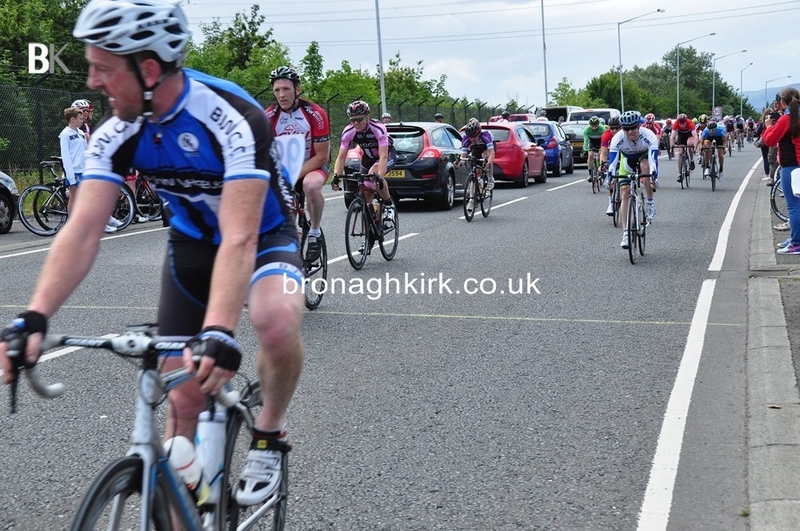 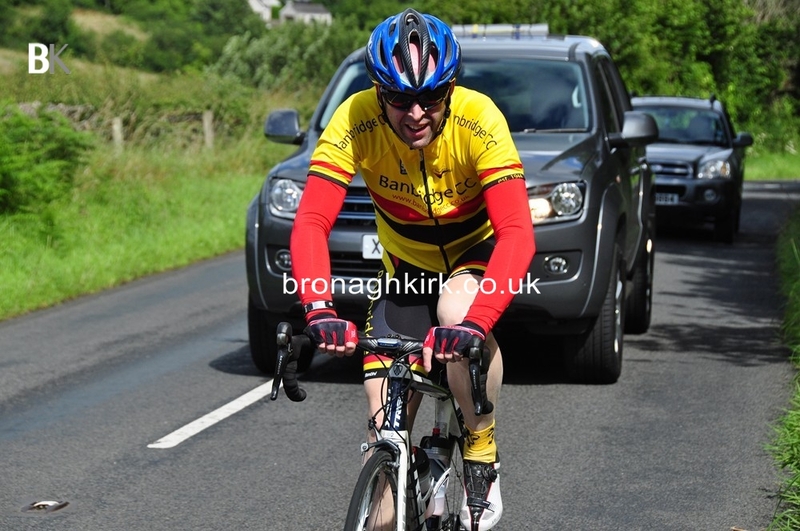 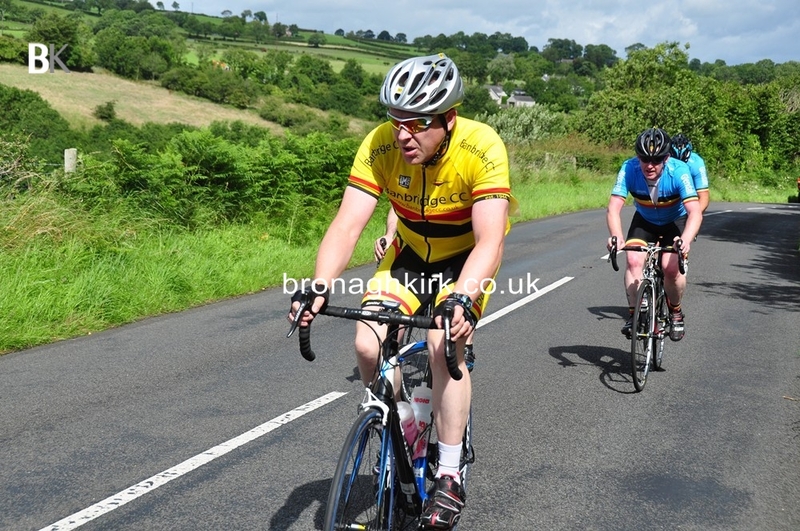 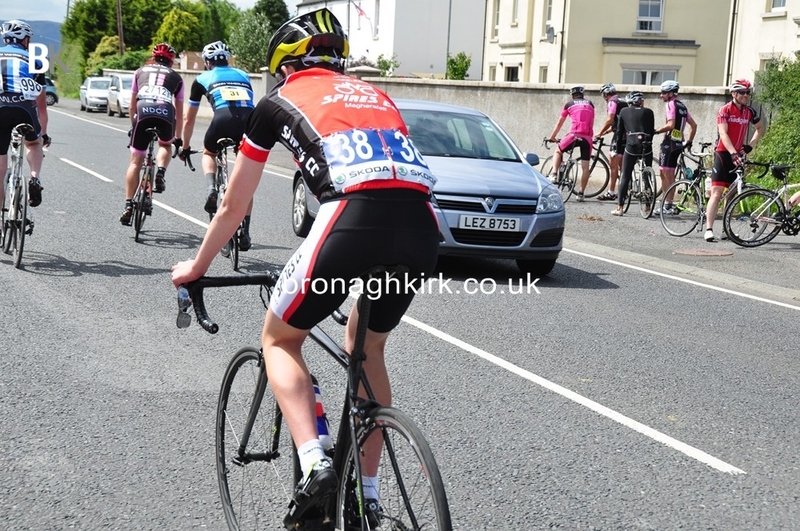 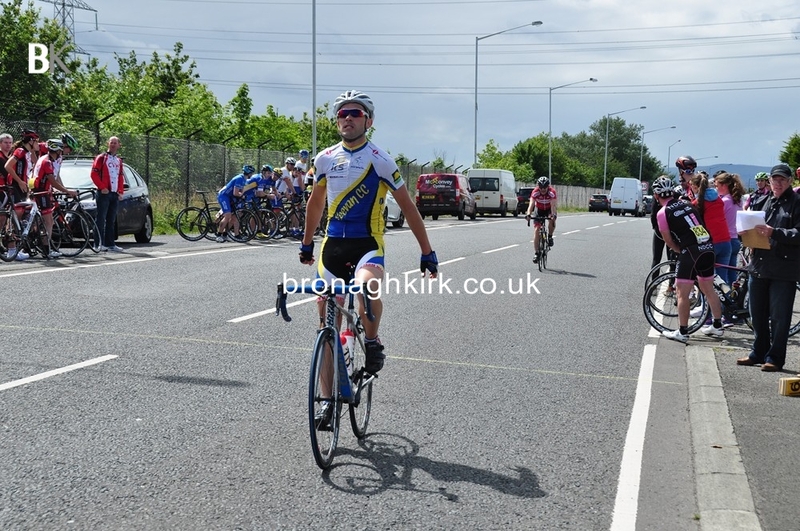 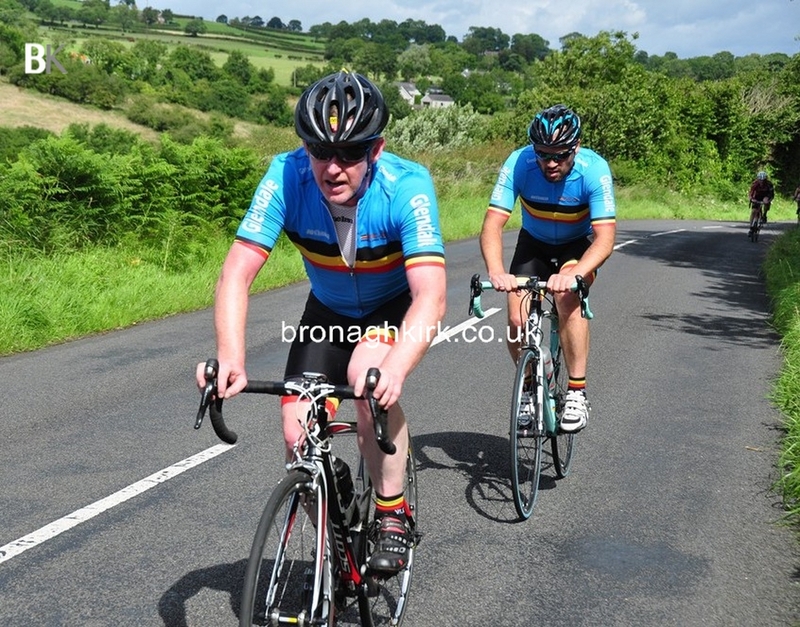 Adam and comeback man Alan Lavery from Bangor were active during the race sharing the work in a breakaway for some time. 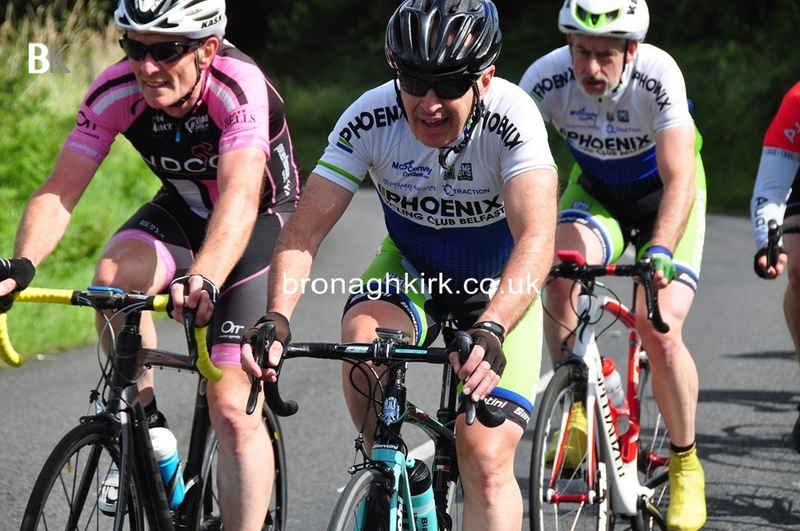 Alan was competing in his first open race for five years and it’s good to see him fully recovered from his serious accident in 2010. 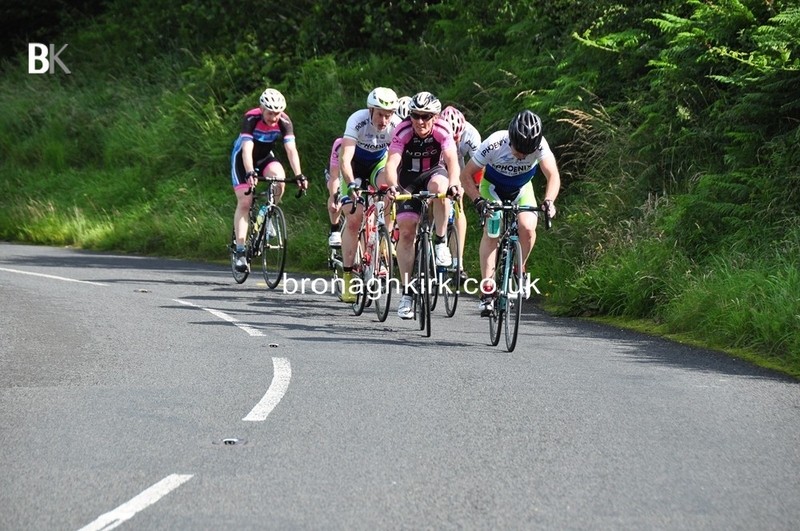 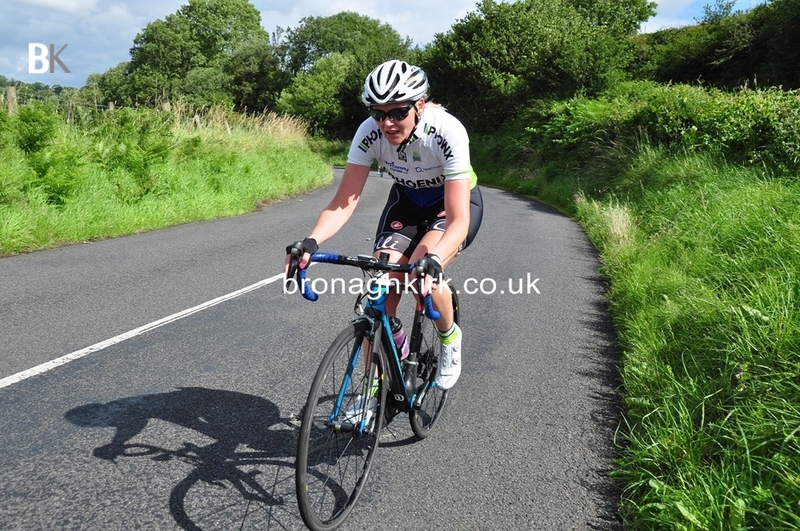 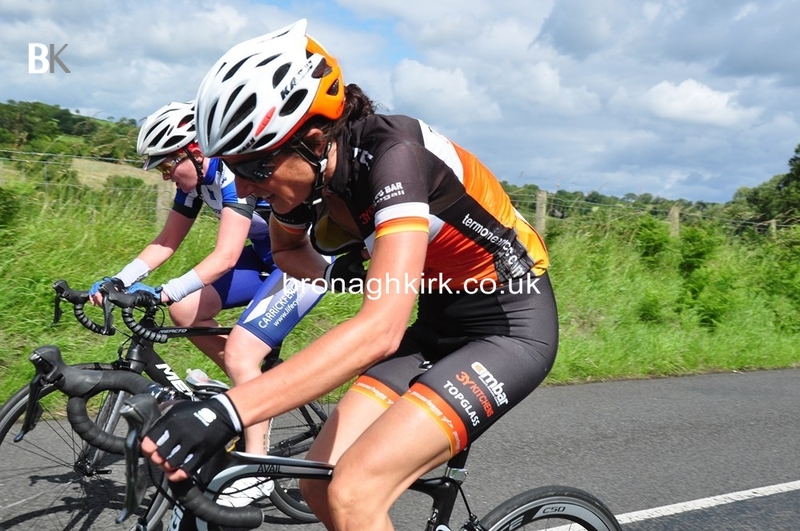 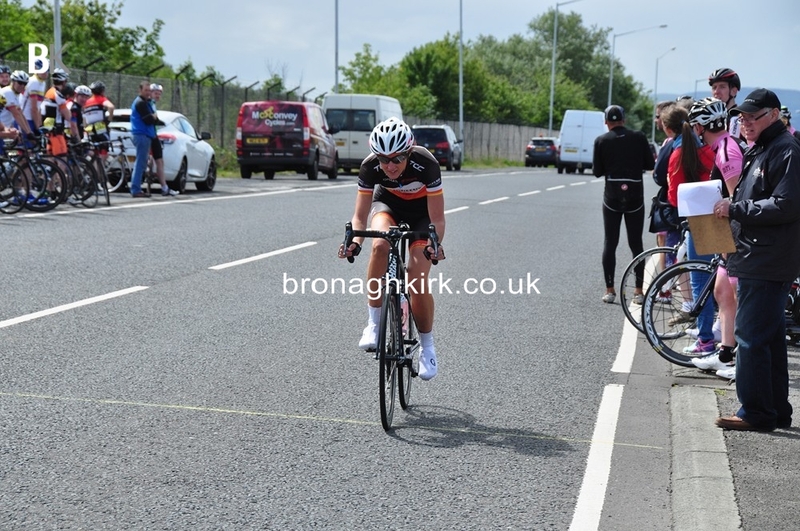 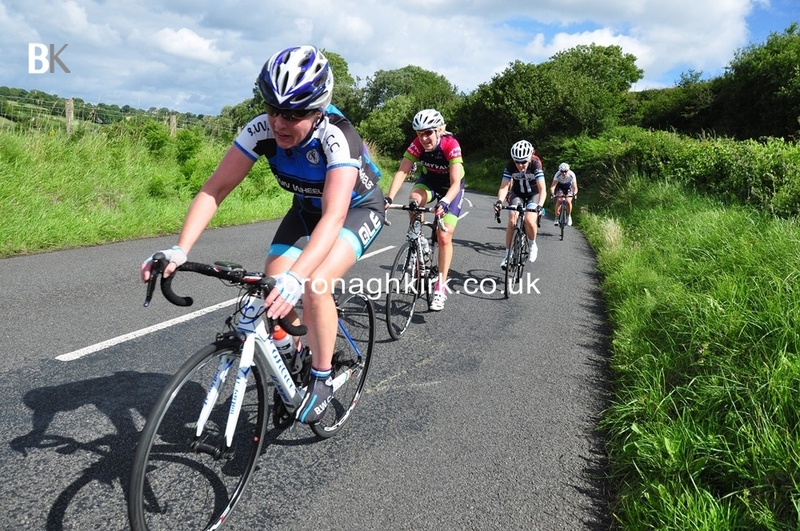 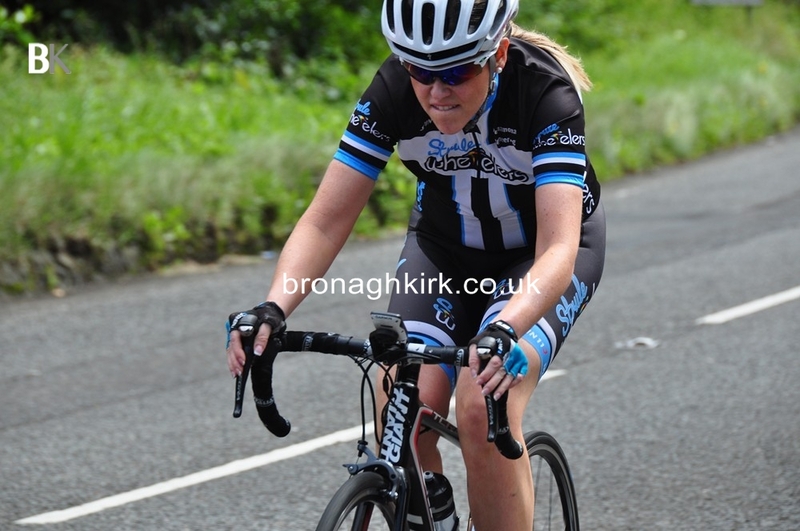 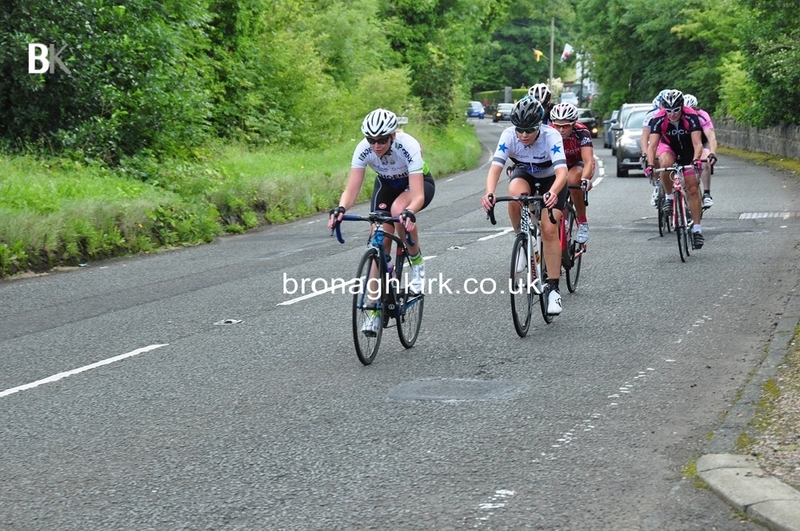 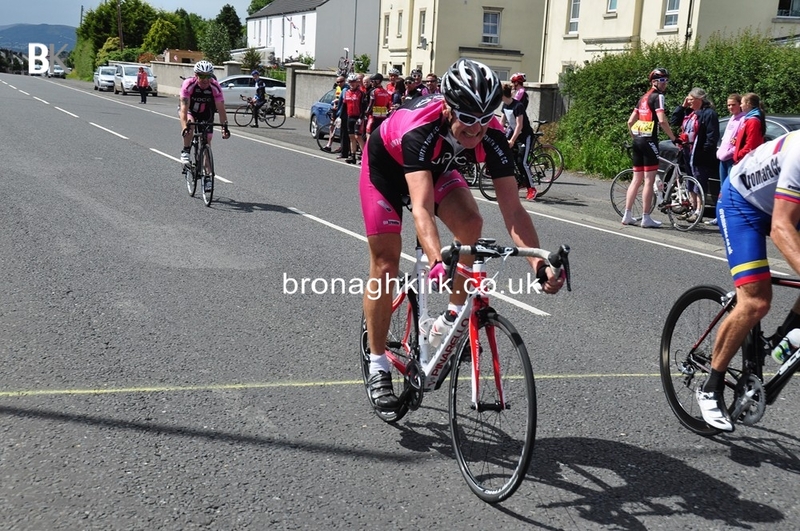 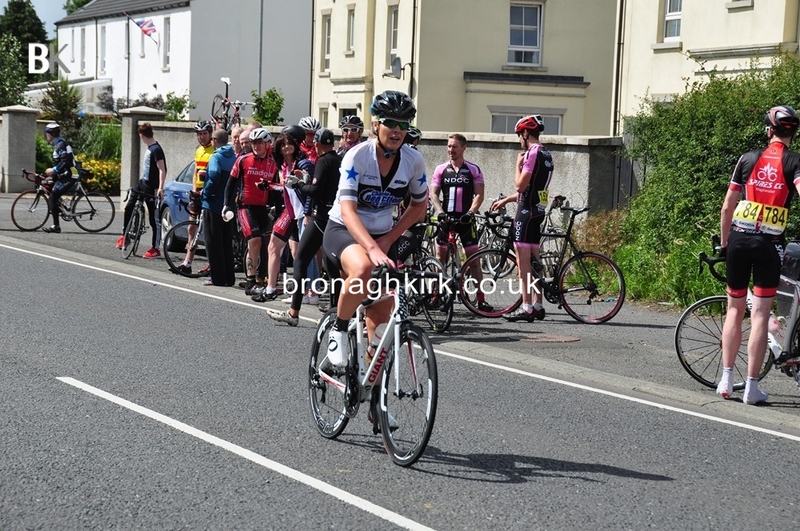 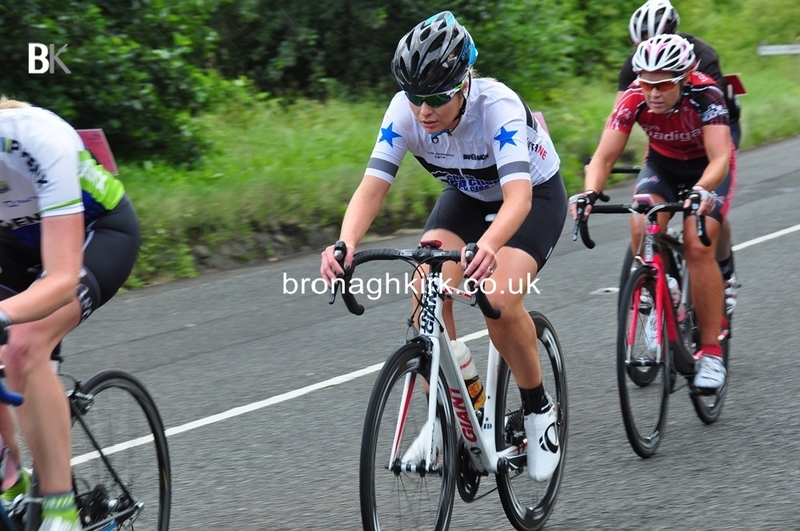 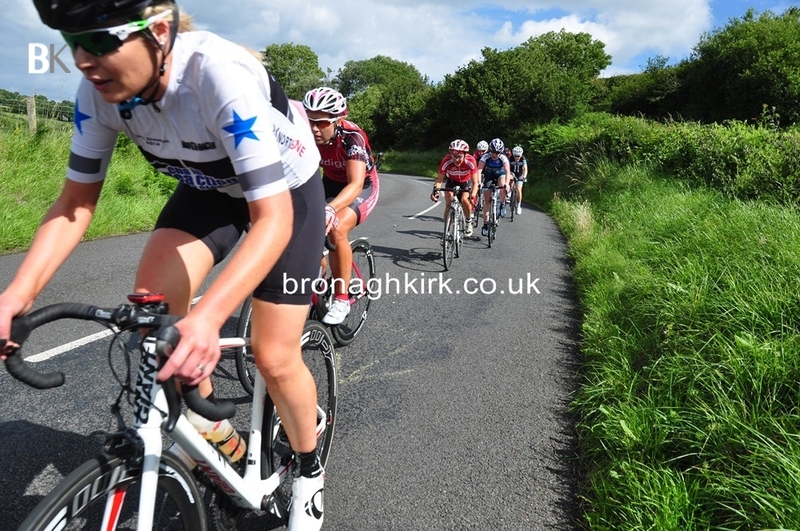 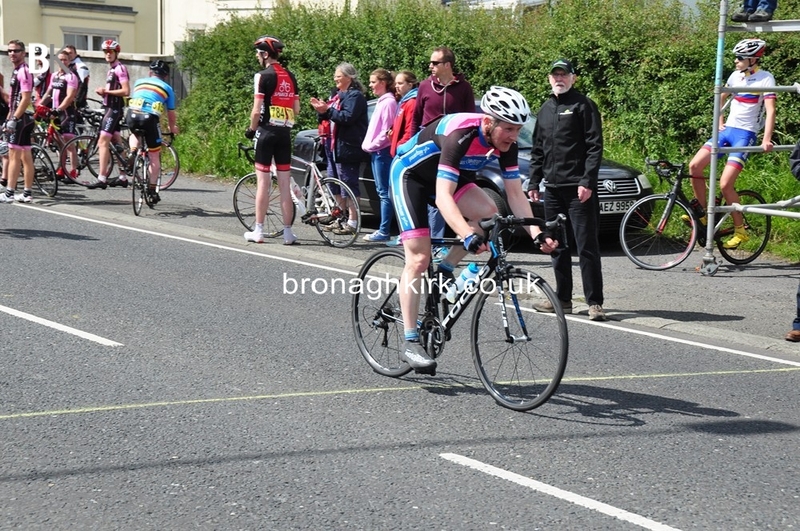 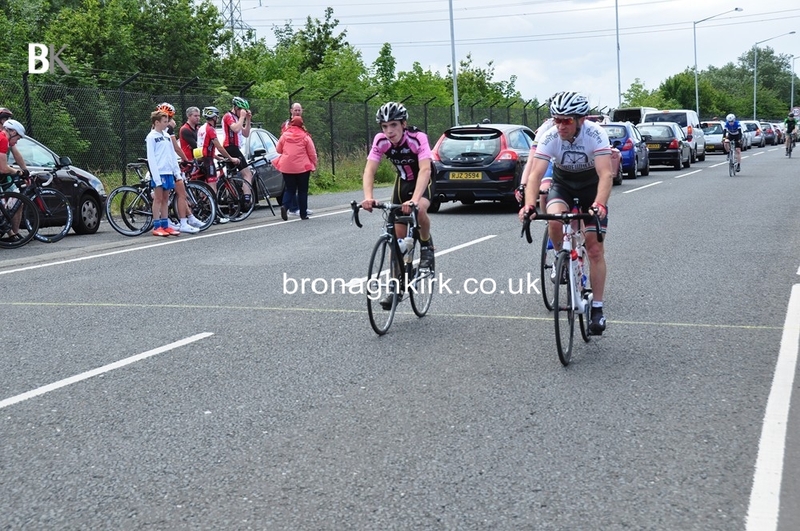 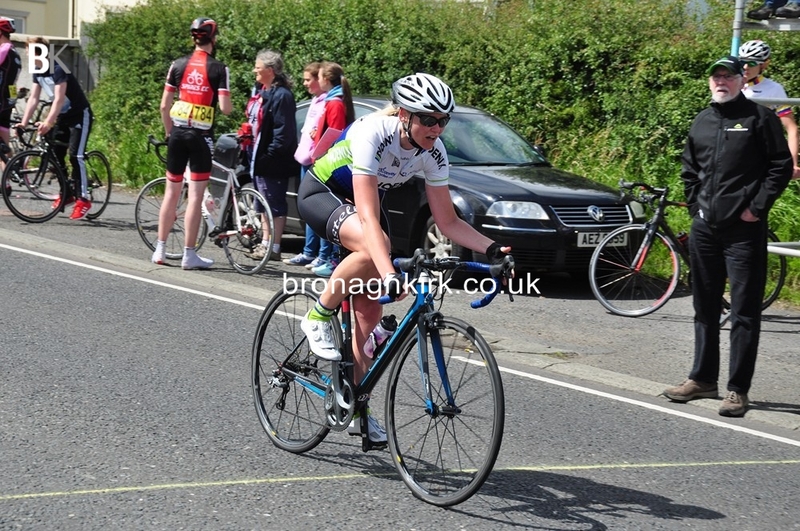 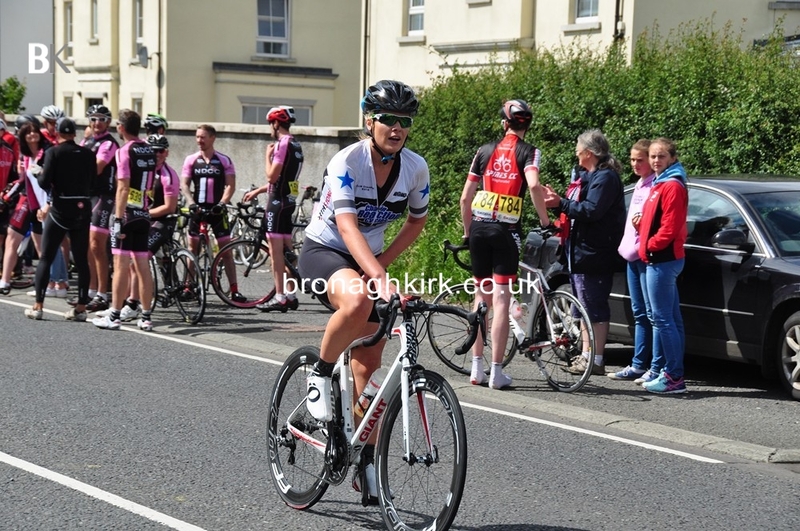 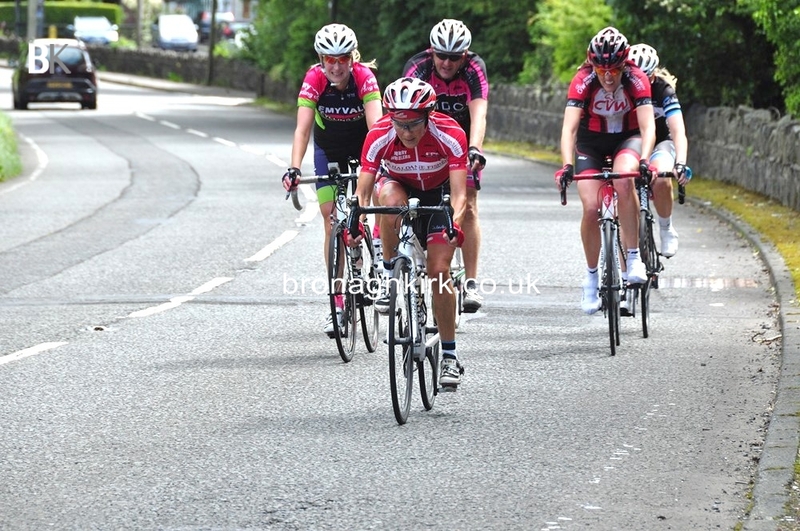 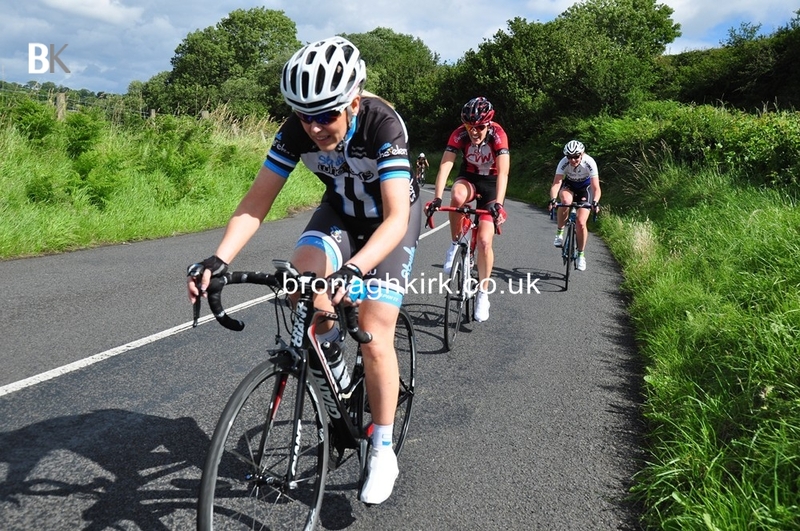 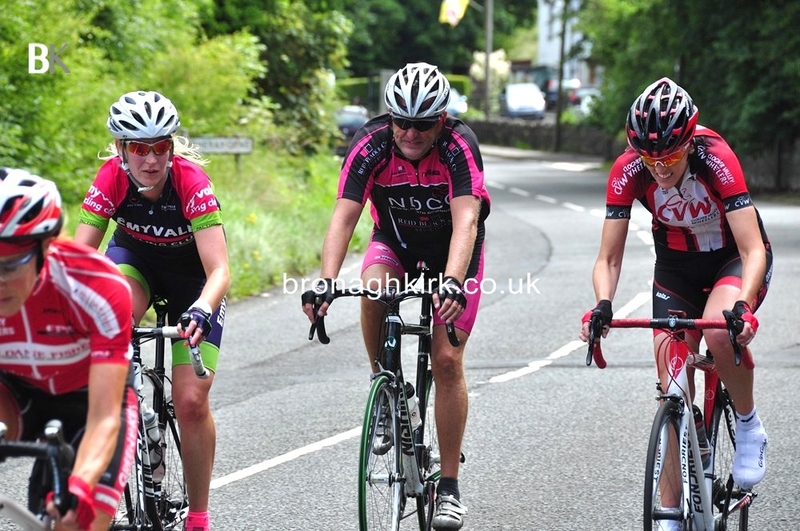 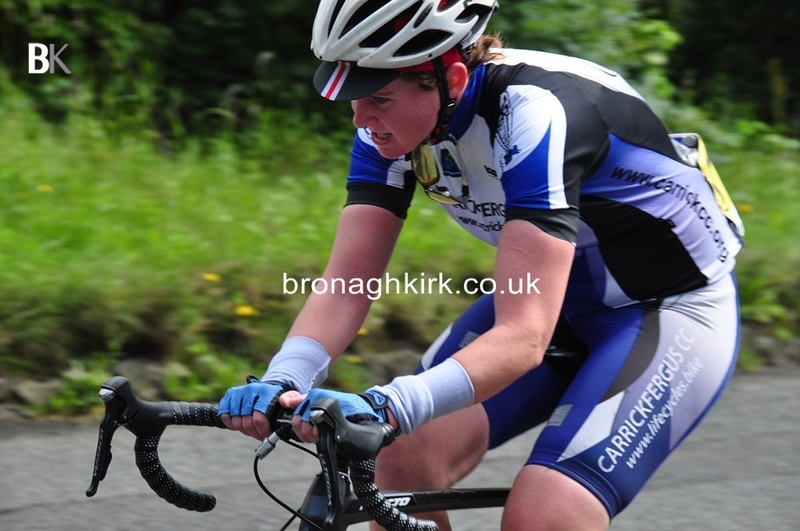 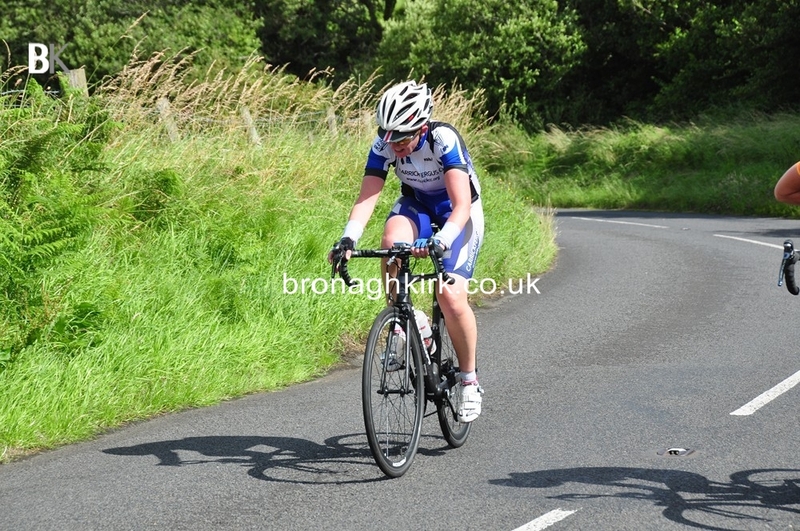 Eileen Burns (Ballymena RC) won the women’s race while Noel Boyce (North Down) was the victor in the Masters event. 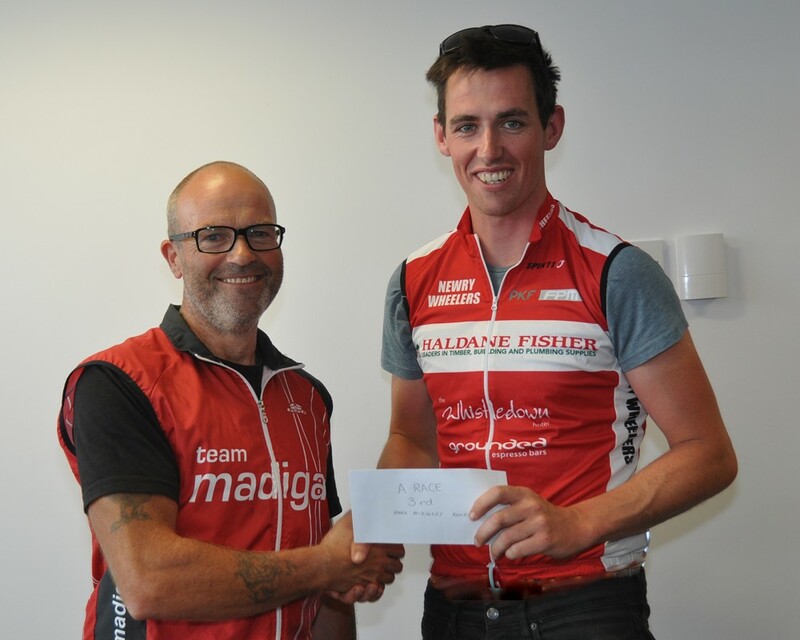 This was the 27th year of the Madigan Grand Prix and one of the best fields ever competed. 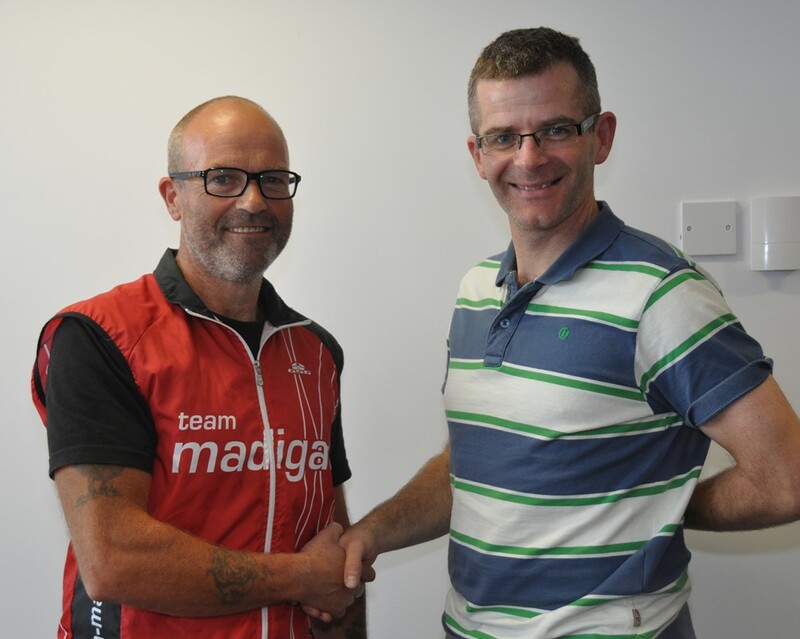 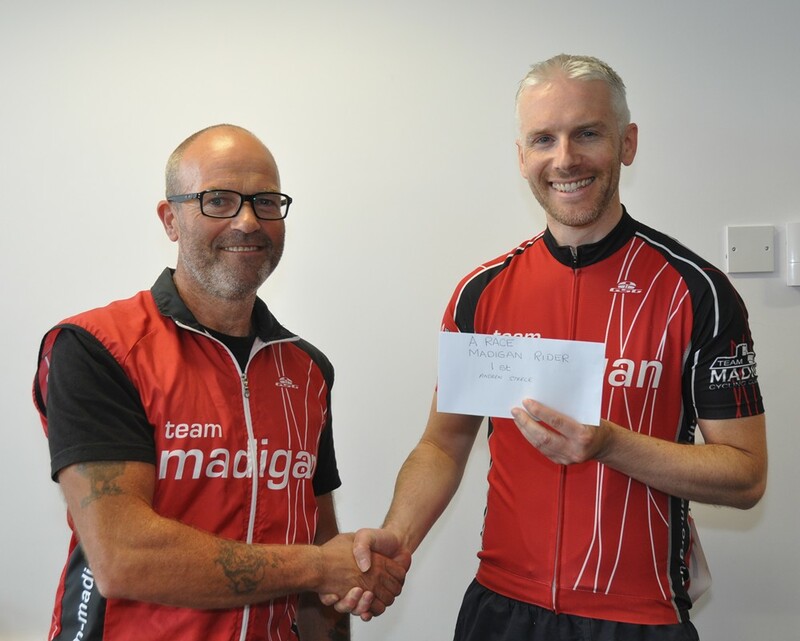 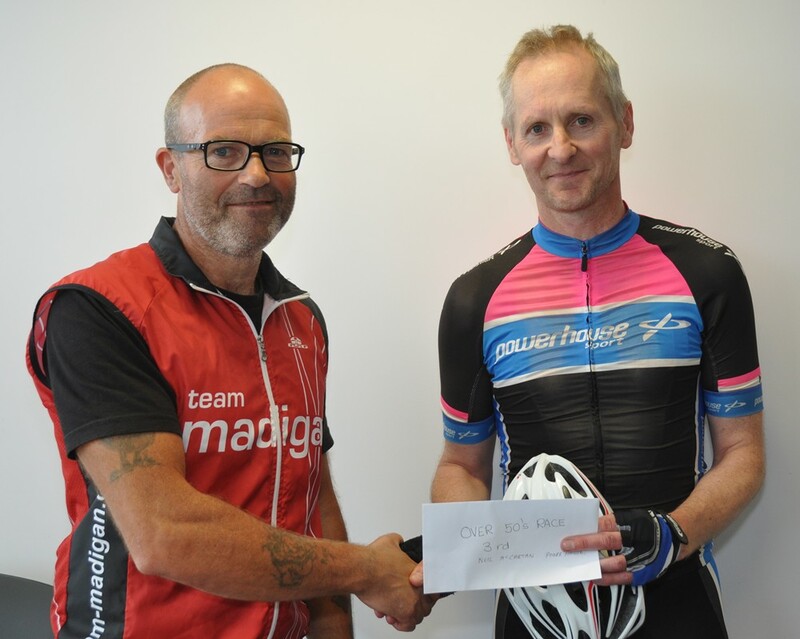 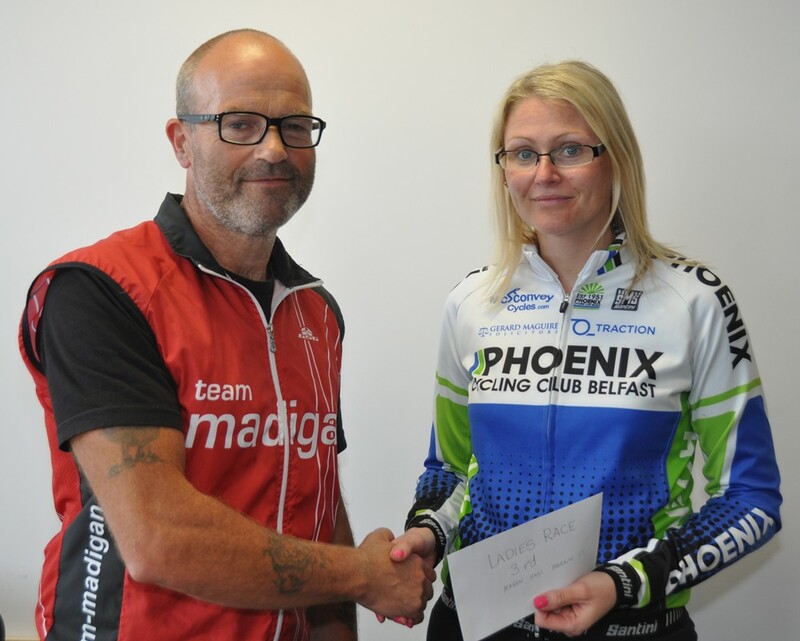 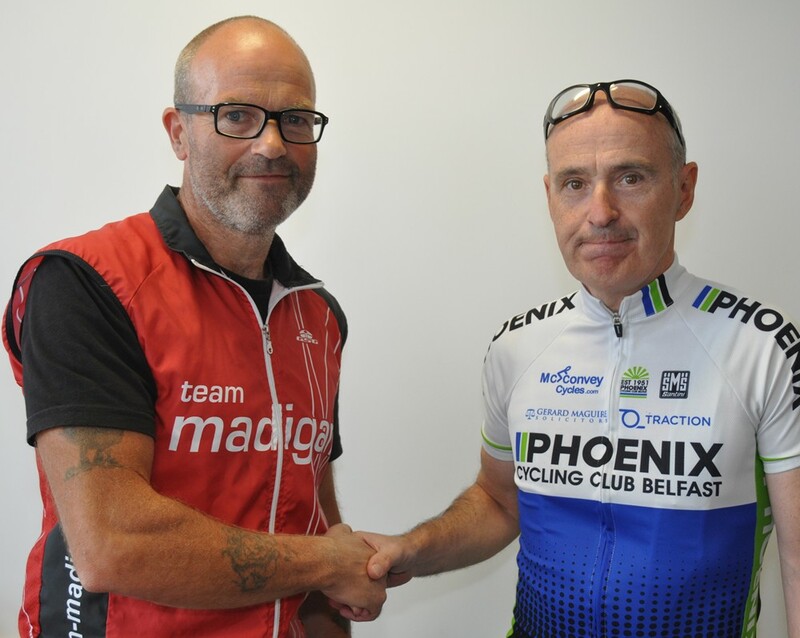 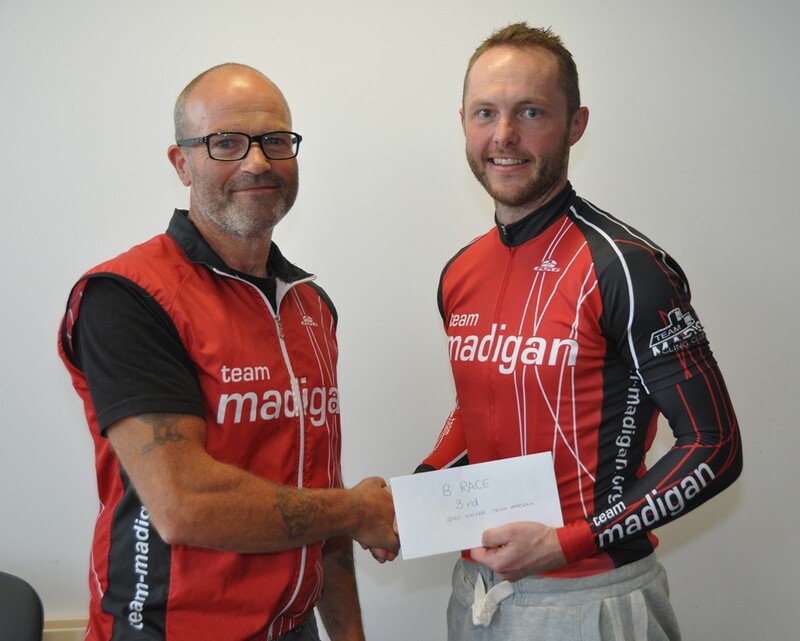 The local cycling community are indebted to Ronnie McKeegan, the proprietor of Madigan cycles who has sponsed this event for all 27 years. 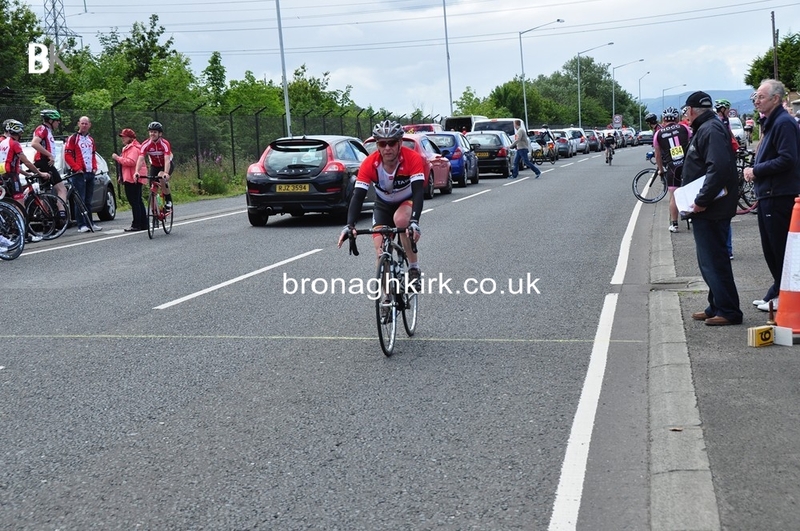 Davy Ross extends thanks to all who helped in any way to make this the successful event it was. 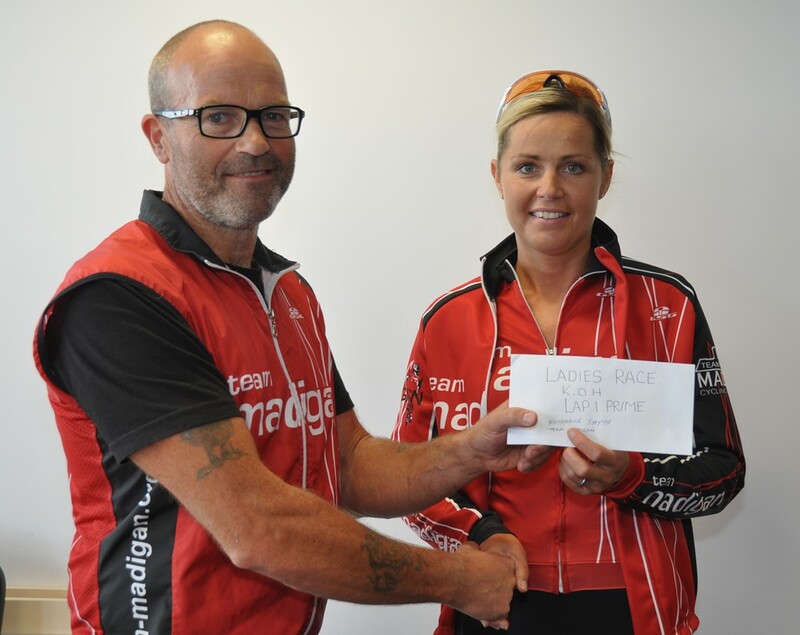 Everyone enjoyed the tea afterwards in the Eden Playing fields pavillion.